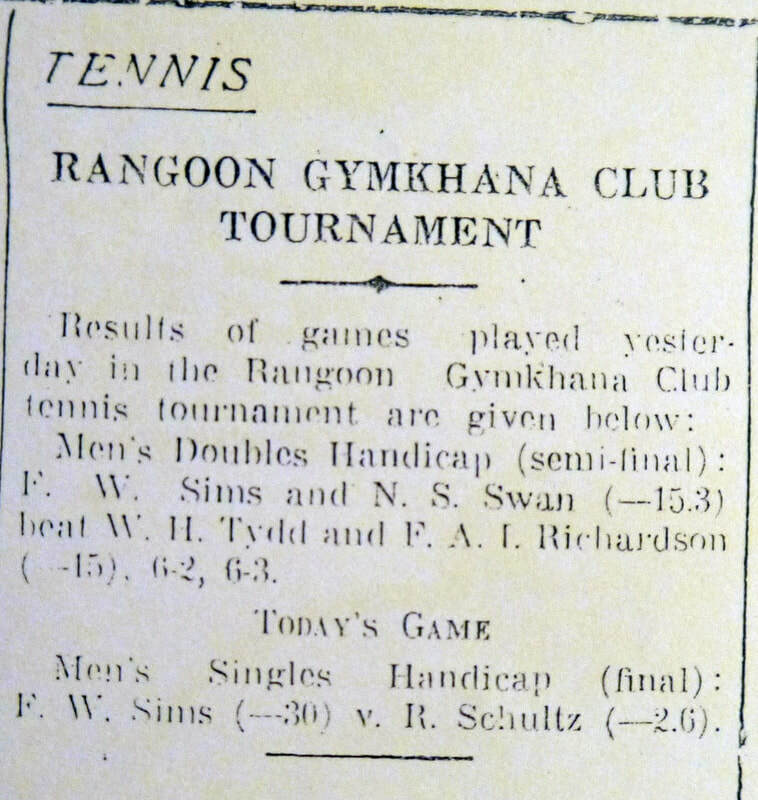 Dated: Rangoon, 2nd Jan. 1940. B.E. Blaney, Executive Engr., ​Amherst Dist. Nautical Adviser and Principal Officer, Mercantile Marine Dept., Rangoon. A.F.R. Brown, Divnl. Forest Officer, Prome Divn. E.G. 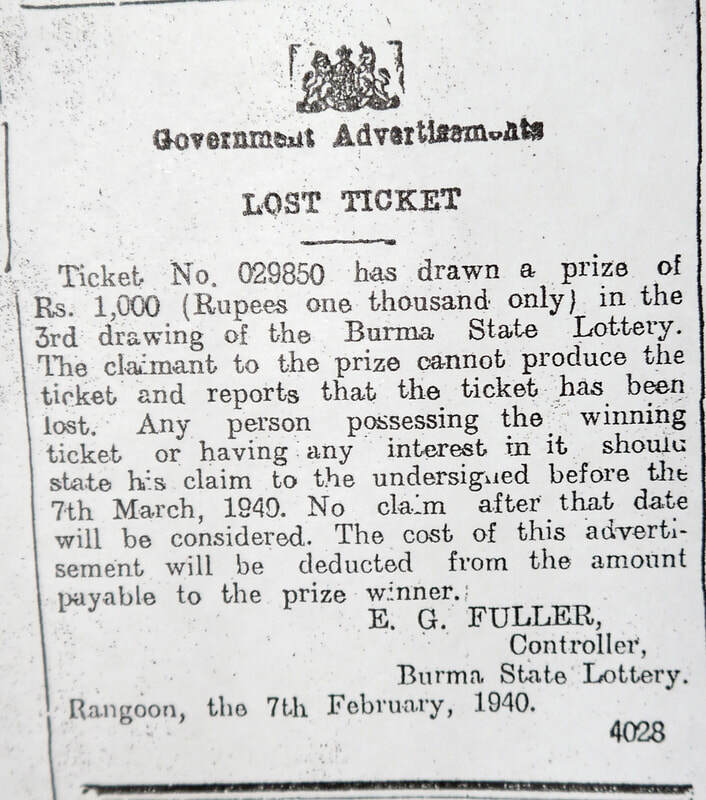 Fuller, Controller, Burma State Lottery. D.P. Greenep, Deputy Conservator of Forests, Depot & Agency Divn. 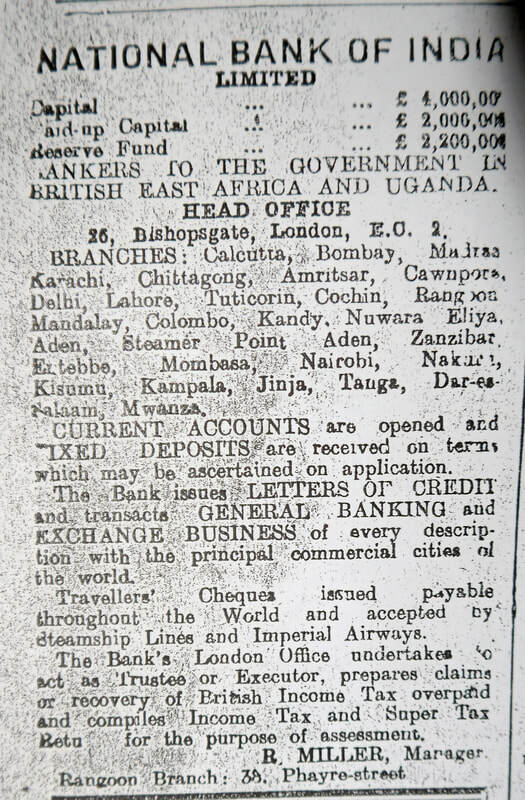 The last date for creditors to submit claims against the under mentioned enemies is 31st Jan. 1940. Thereafter the assets will be distributed and the undersigned will not be responsible to creditors claiming against them who have not submitted and proved their claims. On Pe, Custodian of Enemy Property. 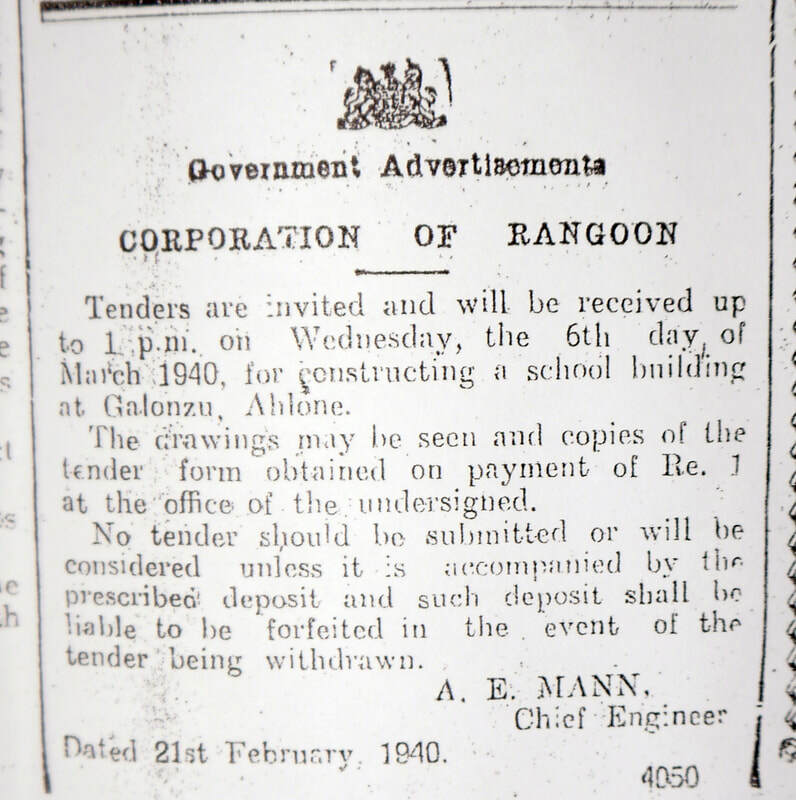 Dated: Rangoon 15th Jan. 1940. ​W.I.J. Wallace, Deputy Commissioner, Amherst Dist., Moulmein. 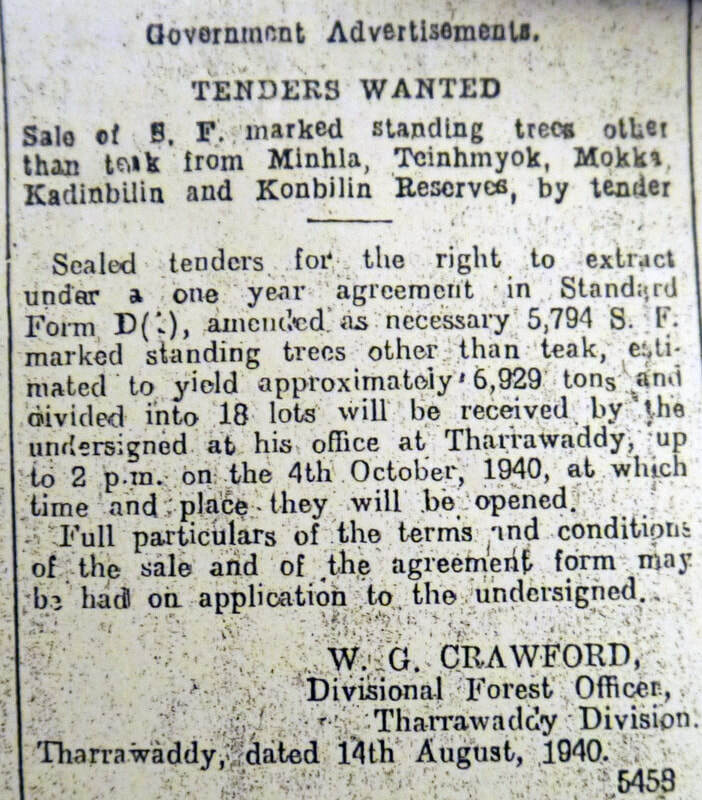 Sealed tenders for the right to work, under the terms of a 3 year agreement ... hard wood trees estimated tonnage 3414 in compartment 27 Yeni Reserve, Pyinmana Division ... on application to the undersigned. F.G. Burgess, Divnl. Forest Officer, Pyinmana Divn. L.C. Robertson, District Judge, Thaton. The following are the nominated members of the Advisory Committee of the Rangoon General Hospital. ​Mr Lane said that he was addressing the meeting on behalf of the out-going President, Mr Toller, whose work for the Association was very much appreciated. ..
Charles Joseph & Co., Sule Pagoda Rd. A. Benjamin & Co., Mogul St.
Sir John Darwood, care of J.W. Darwood & Co., 503-5 Merchant St.
L.P.S. Bourne, 114 Halpin Rd. ​A.T. McCreath. 62 Signal Pagoda Rd. M.H. Bholat, 125 Sparks St.
Dr. Max Slazenger, 134-8 Sule Pagoda Rd. Staff of the Rangoon Sanitary Divn., P.W.D., photographed with J.J. MacMahon, a senior official of the department, who is retiring, and Mrs MacMahon. ​​Breakey - On January 1st 1940, at Namtu, to Hilary, wife of A.W.H. Breakey, I.C.S., a daughter. Both well. Broatch - At the Dufferin Hospital on January 5th 1940, to Nancy, wife of A.D. Broatch, a daughter. Both well. ​Reddin - On January 16th 1940, at the Dufferin Hospital, to Josephine, wife of J.M. Reddin, a daughter. Both well. ​Soord - At the Dufferin Hospital, Rangoon, on January 18th 1940, to Phyllis, wife of Hector Soord, a son. ​​​Minas - To Ripsy (Tommy) wife of A.C. Minus, at the Dufferin Hospital on Jan. 23rd 1940, of a son. Both well. McLean-Brown - To Mara, wife of Capt. R. McLean-Brown, at the Dufferin Hospital on January 24th 1940, a daughter. Both well. Fyfe - To Kathleen (nee Hansen) wife of J. Fife, Engineer, B.I.S.N., at the Dufferin Hospital, Rangoon, on January 24th 1940, a son. Both well. 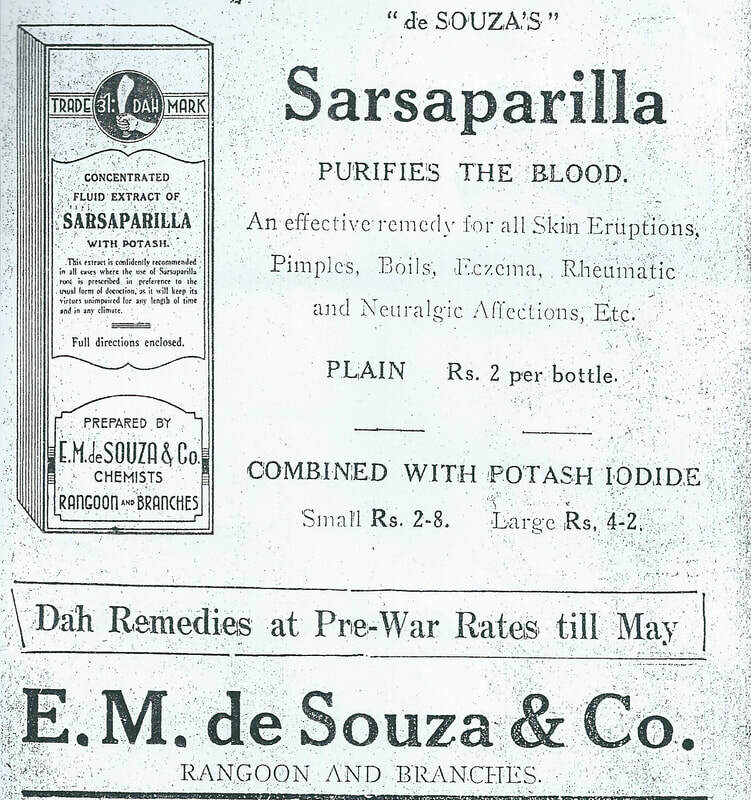 ​Samuels - At Chindooroy’s Clinic on Jan. 24th 1940 to Teresa Cynthia (nee D’Cruz) wife of Mr D. Samuels, of Govt. Telegraphs, Rangoon, a daughter. ​Roberts - To Joyce (nee Pettit) at the Dufferin Hospital, Rangoon, on Monday, January 29th 1940, a son. At Lucknow, on January 4th 1940, Ronald Ashley Morton, I.A.C.C. of Ilford, Essex, to Violet Cec..ia Clare, eldest daughter of Mr and Mrs J.A. Hartnell, of Rangoon. 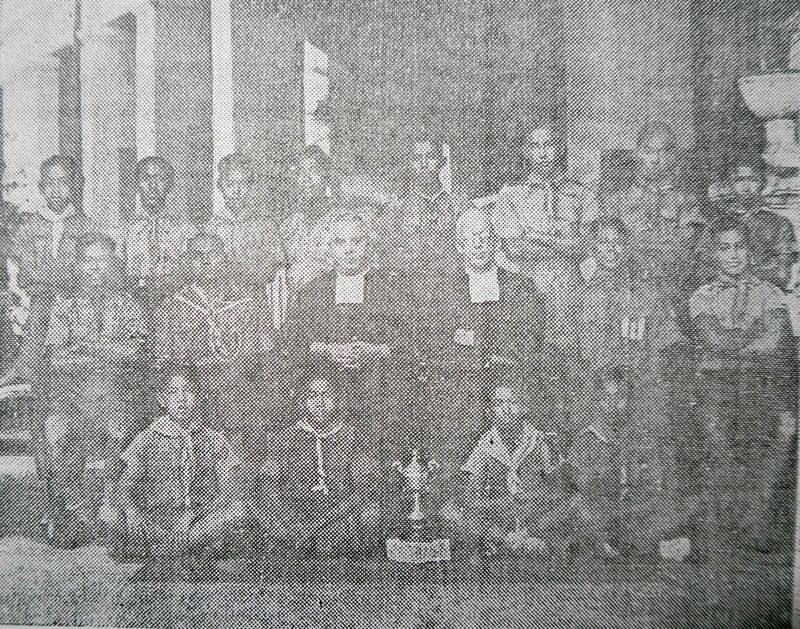 At the Cathedral of the Holy Trinity, Rangoon, by the Rev’d. Donald Moxon, on January 5th, 1940, Donald Alexander Thomas to Dilys Alphra. 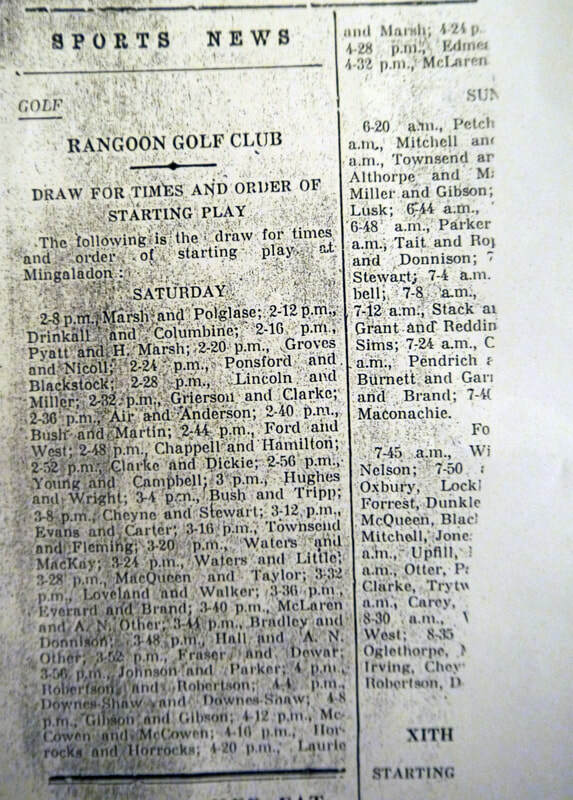 At Rangoon on January 10th 1940, Ernest Hugh, of Salisbury, Wiltshire, to Mary Gill of Arbroath, Scotland. George Eric Aloysius to Gemma Marie Caroline, daughter of Dr. and Mrs S.A.R. 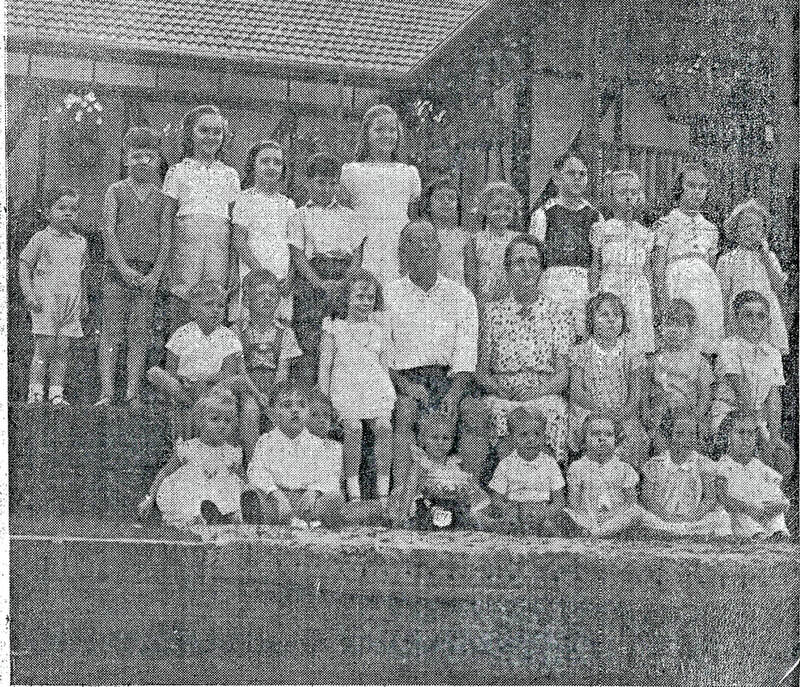 Valles, at St. Mary’s Church, Moulmein, on Monday January 22nd 1940. At St. John’s Church, by the Rev’d. Fr. Picot, on January 11th 1915, Gerald Victor to Josephine. Alfred Edward David, son of the late Mr J.D. Kirk, 2nd Battn. the 67th Hampshire Regt. and husband of Daw Nyein May, at his residence No. 59, “The Nook” Kamayut, aged 59 years, on Jan. 5th 1940. Funeral on Sunday, 7th? January 1940, to the New Kemmendine Cemetery at 3.30 p.m.
Bryan Edward Blaney, P.W.D., beloved husband of Bee Blaney, at Tavoy, on January 3rd 1940. Cecelia Hadford (nee Hutton) at 4.30 p.m. on January 11th 1940 at 304 Prome Road. Funeral at 4.30 p.m. on January 12th 1940, to the Old Kemmendine Cemetery, Hanthawaddy Road. Daw Pu, relict of the late J.F. Hodgson, on January 11th 1940 at 27 Railway Quarters, Thingangyun, aged 83 years. Funeral at 4 p.m. today to Tamwe Cemetery. Friends and relations kindly accept this the only intimation. George Valentine, late of Irrawaddy Flotilla Co., Rangoon, on Monday, January 15th 1940 at 2.30 p.m. aged 60 years. Funeral will take place today [16th] at 8.30 a.m. from his residence, 395 Sparks St., Rangoon to the Methodist English Church and thence to the New Kemmendine Cemetery. Isaac Antioch, father of George Antioch, on January 16th 1940 at no. 15 Shinsawbu St., West Myenigon. Funeral today [16th] at 4.30 p.m. to the Cantonment Cemetery. Capt. R. Llewellyn Jones, M.C., A.B.R.O., Censor Depart., Burma, on January 11th 1940 at the British Military Hospital, Mingaladon. Deeply regretted by all ranks of the Department. Funeral took place at 5 p.m. on January 11th 1940 at Mingaladon Cantonment Cemetery. At 5.15 p.m. on January 11th 1940, aged 77 years, dearly beloved mother of Mrs L. Allmark, Mrs Grey and Mrs J. and Mrs M. Cowell. ​Funeral from 123, 43rd Street, at 4.15 p.m. today to St. Mary’s Cathedral and thence to Tamwe Cemetery. Clara, relict of U Loo-Nee, Advocate, Chief Court of Lower Burma, on January 14th 1940, at 16 U Loo-Nee St., Kemmendine, of old age in her 93rd year. Funeral service on January 16th 1940 at 9 a.m. in Franc Chapel, Pegu Karen High School Compound, Mission Road, Ahlone and thence to the Karen Baptist Cemetery, Bagaya Road, Kemmendine. Friends please accept this intimation. Lilian (Daw Pyu) wife of A.S. Richardson, retired Dy. S.P., at “Hazelhurst” Moulmein, at 5 p.m. on January 19th 1940, aged 63 years 9 months. R.I.P. Frank Hector Kruse, of the Burmah Oil Co. at Syriam, on Jan. 21st 1940, aged 72 years. Lillian Margaret, wife of Mr W.J. Carew (Driver) Burma Railways, sister of Mr G.C. Davis of the Baptist English High School. Funeral from no. 64, Railway Quarters, King George Avenue, at 4.30 p.m. today [24th Jan.] to the New Kemmendine Cemetery. W.A.W. Dawn, at “Beaulieu” Moulmein, on January 23rd 1940. Mercy, the dearly beloved daughter of Z.B. 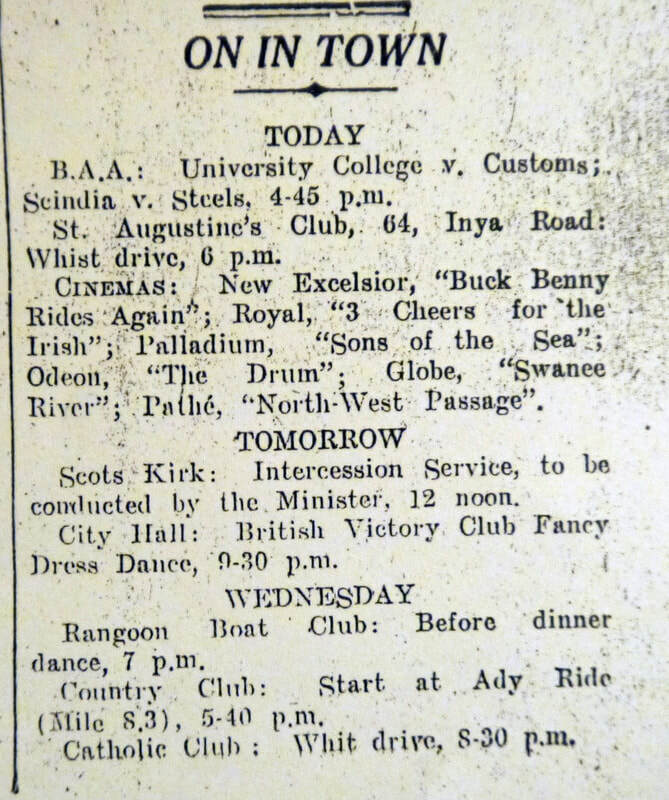 Samuel, Rangoon Boat Club, on January 26th 1940. Funeral at 4 p.m. today [27th Jan.] from no. 33, 87th Street, Kandawglay, to the Baptist cemetery, Sparks Street. Joe Arratoon, at the General Hospital on January 28th 1940, aged 64 years. Funeral from the mortuary to the New Kemmendine cemetery at 4 p.m. today. [29th Jan.] Friends and relatives kindly accept this the only intimation. 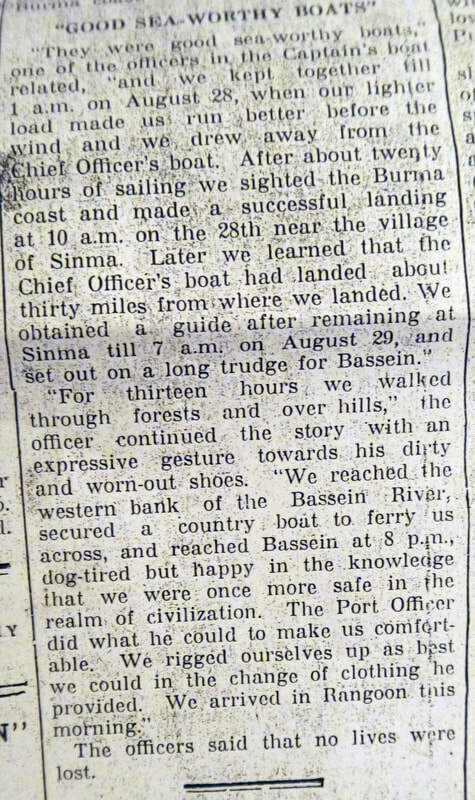 Urban Alberi, Permanent Way Inspector, Burma Railways, (retired,) in his 57th year, at the Civil Hospital, Toungoo, at 2 p.m. on January 25th 1940. Aged 85 years, relict of the late U Tun Yike, retired Salt Revenue Inspector and mother of Mrs H.A. Francis (Daw Thin Kyu,) late Mrs C.R. Wales, (Daw Thin Hline) Mrs U. Tha Htu (Daw Thin Myine) and the late U Tun Tha, on January 30th 1940. Funeral at 4 p.m. on February 1st 1940 from her residence “Rustic View” Gyogon Road, Insein, to Kyeikkala Cemetery, Thamaing. Friends please accept this the only intimation. ​Mr J. Winder and family thank their relatives and friends for their floral tributes, messages of condolence and help in their recent bereavement. ​Mr R.G. Pyne and family thank their friends and relatives for their kind assistance, messages of sympathy and floral tributes during their recent bereavement. F.H.C. Mullerworth and family thank their friends for their kind messages of sympathy and floral tributes in loss of their dear relative, Mrs Cecelia Hadford Andrews. The children of the late Mrs Cecelia Hadford Andrews thank their friends for their messages of sympathy and floral tributes in their bereavement. They also thank the doctors and nurses in the General Hospital for their very attentive, patient and kind treatment during her illness. ​The daughters of the late Mrs Marcks sincerely thank all their relatives, friends and acquaintances for their kind sympathy, messages of condolence and beautiful floral tributes in their sad bereavement, not forgetting Nurse Oliver for all the help and assistance rendered in the hour of need. Abbott Loo-Nee and Naw Dwe Aung Sahtoo (son and niece respectively of the late Mrs Clara Loo-Nee) and their children thank their friends for the kind messages of condolence and floral tributes in their recent great bereavement. Mrs B.E. Blaney sincerely thanks all friends for their sympathy and messages of condolence and especially those of Tavoy, for their great sympathy and help so generously given in her sudden bereavement. Mrs G.V. Wood and family sincerely thank their relatives and friends for their kind sympathy, messages of condolence and floral tributes in their recent bereavement. ​Mr and Mrs A.W. Colkers thank their friends and relatives for their most sincere wishes and useful gifts received on the occasion of their marriage. ​Mr A.S. Richardson and children thank their many friends for their kind help, mesages of condolence and floral tributes in their recent great bereavement. Mrs Dawn and Mrs La Touche gratefully thank all their friends for their floral tributes and kind messages of sympathy in their great bereavement. Mr & Mrs Z.B. Samuel (Rangoon Boat Club) and family sincerely thank their relatives and friends for their help, messages of sympathy and floral tributes in their recent sad bereavement. The death occurred early yesterday morning at the British Military Hospital, Mingaladon, of Capt. R. Llewellyn Jones, M.C., A.B.R.O. Capt. 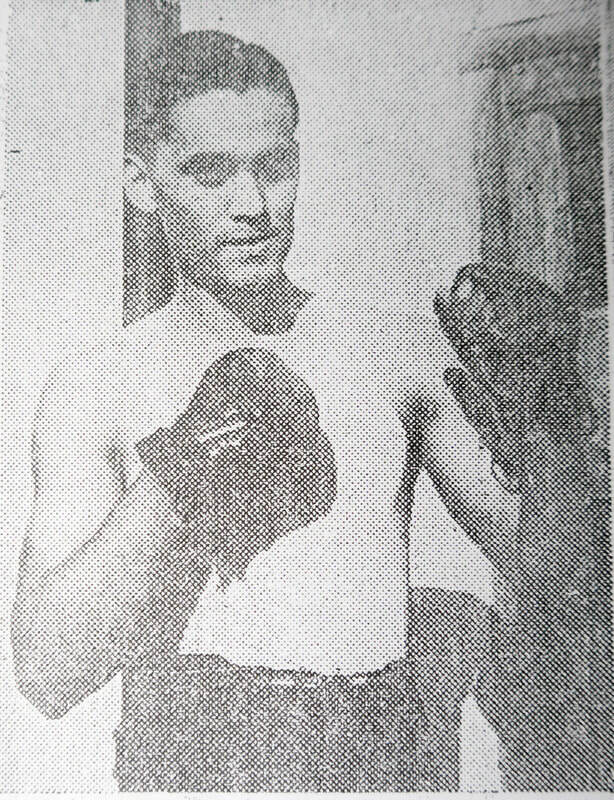 Llewellyn Jones will be remembered as a sportsman, whose keenest interest lay in boxing and racing. He refereed many star professional fights and was connected with the controlling body of professional boxing in Burma. 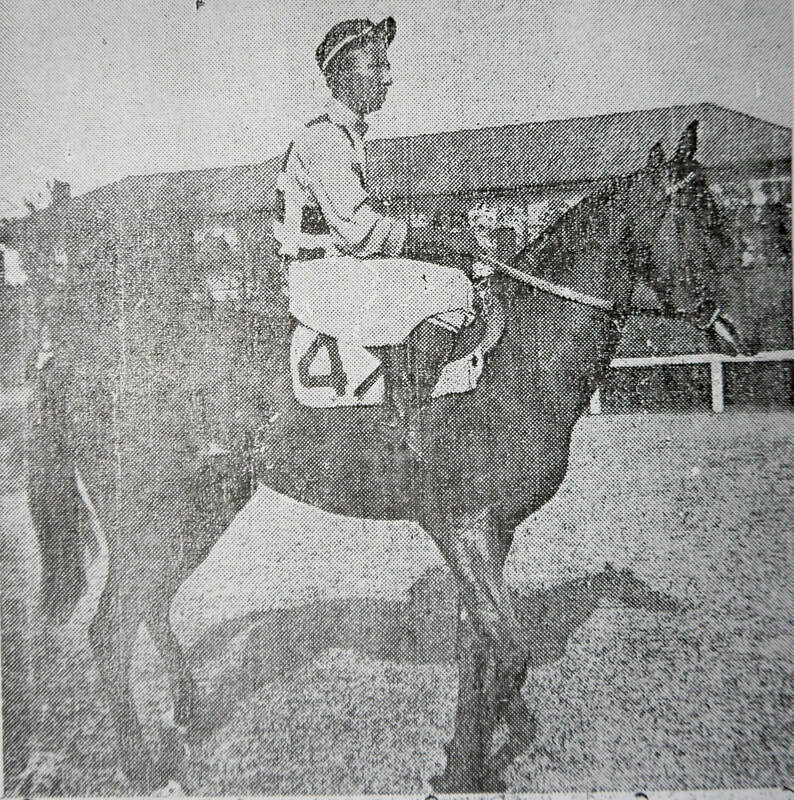 In racing circles he was well known and was for a time Stipendary Steward of the Rangoon Turf Club for up country racing. Capt. Llewellyn Jones was born in Australia fifty seven years ago. In the South African war he served as a Trooper with the Australian contingent. After that war he interested himself in journalism in Shanghai. On the outbreak of the Great War he joined up and served with the King’s Royal Rifle Corps, rising to the rank of Captain and was awarded the Military Cross. He was taken prisoner in the Passchendaele campaign in 1917 and held until the Armistice. He then rendered assistance in the evacuation of large numbers of Allied prisoners of war. He came to Burma after the war and again took up journalism, contributing to the “Rangoon Gazette” under a pen name and confining himself mainly to authoritative articles on sport. 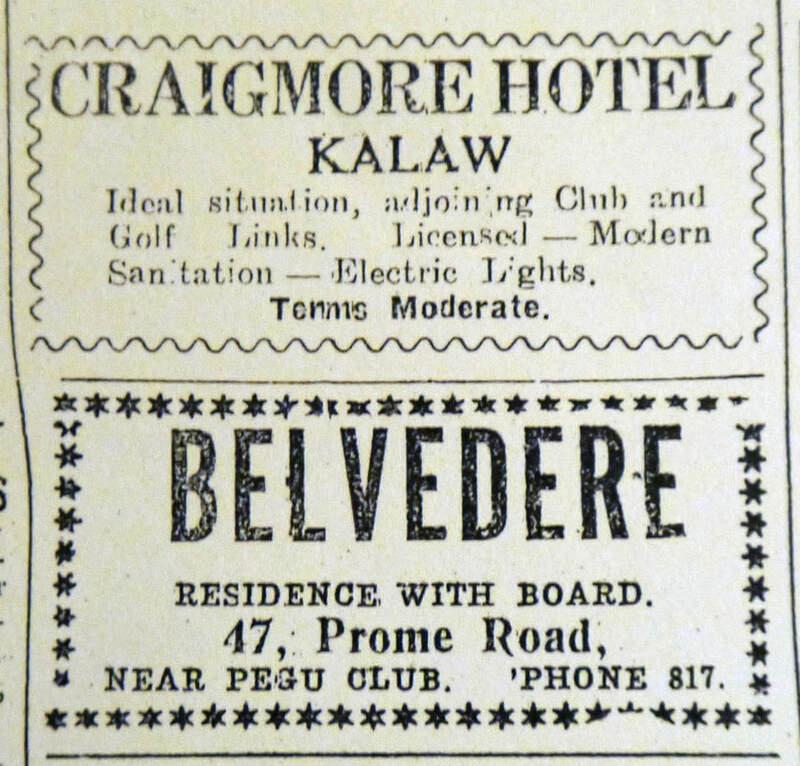 He became interested in the hotel business and was for a spell manager of the Strand Hotel and later took over the Allandale Hotel, with which he was connected up to the time of his death. Soon after the outbreak of the present war Capt. Llewellyn Jones offered his services to the Government and was gazetted into the Army in Burma Reserve of Officers with the rank of Captain and was appointed to the Cable Censor Department. His devotion to duty and his long hours of work took toll of his health and on December 30th he fell ill with double pneumonia and was taken to the Military Hospital. Capt. Llewellyn Jones was buried yesterday evening at the Military Cemetery in Mingaladon with full military honours. Among those who attended the funeral were Lt.-Col. M.C. Raymond, C.I.E., M.C., Chief Censor, Burma, Major Columbine and other officers of the Censor Department, Major R. Nesbitt-Hawes, Director-General of Posts and Telegraphs, Burma, Mr C.M. Scott, Chief Telecommunication Officer, Burma, Sir John Darwood , Mr J. Kaye, Mr W.N. Norbury and Mr A.J. Samson. The Late Mr Bryan Edward Blaney, who died at Tavoy on January 3rd, was born in 1895 and was appointed to the Indian Service of Engineers in 1918 as an Assistant Engineer. He spent the early part of his service in the Irrigation Branch of the P.W.D. 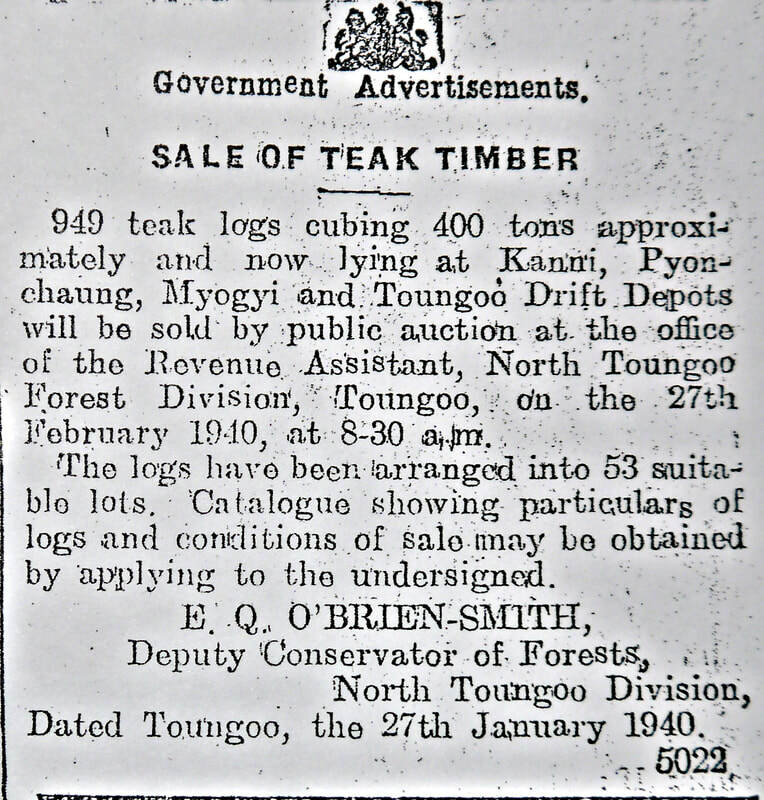 and in 1919 was promoted to Assistant Executive Engineer at Kyaukse. After serving in several districts he was given district charge in 1924 and was made a permanent Executive Engineer in 1930. Mr Blaney died at 6 a.m. on January 3rd of heart failure soon after his return to Tavoy from a Christmas holiday at Maungmagan. He was buried the following day. Mr Blaney leaves a widow. 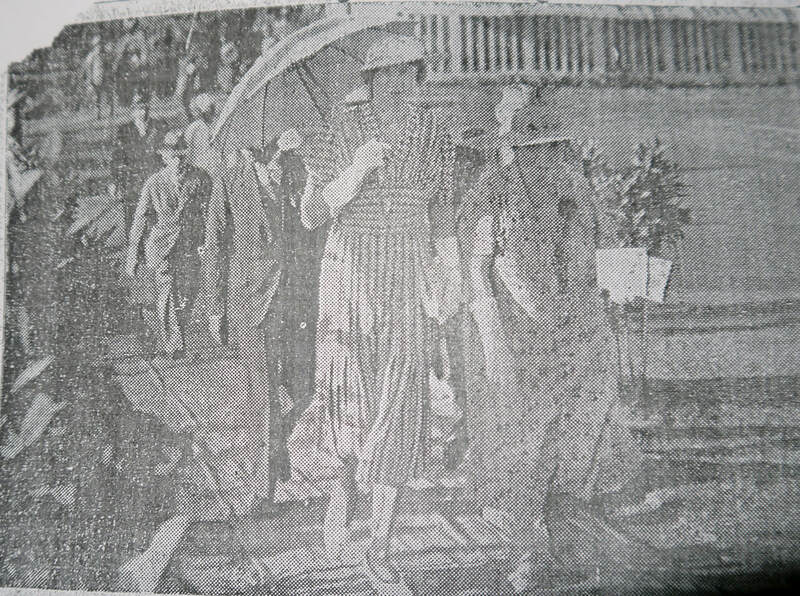 With the death on Monday afternoon of Mr George Valentine Wood, there passed a figure well known in Rangoon sporting circles. Mr wood had been ailing for a considerable time as the result of a strained heart and complications. He was buried yesterday morning in the New Kemmendine Cemetery. 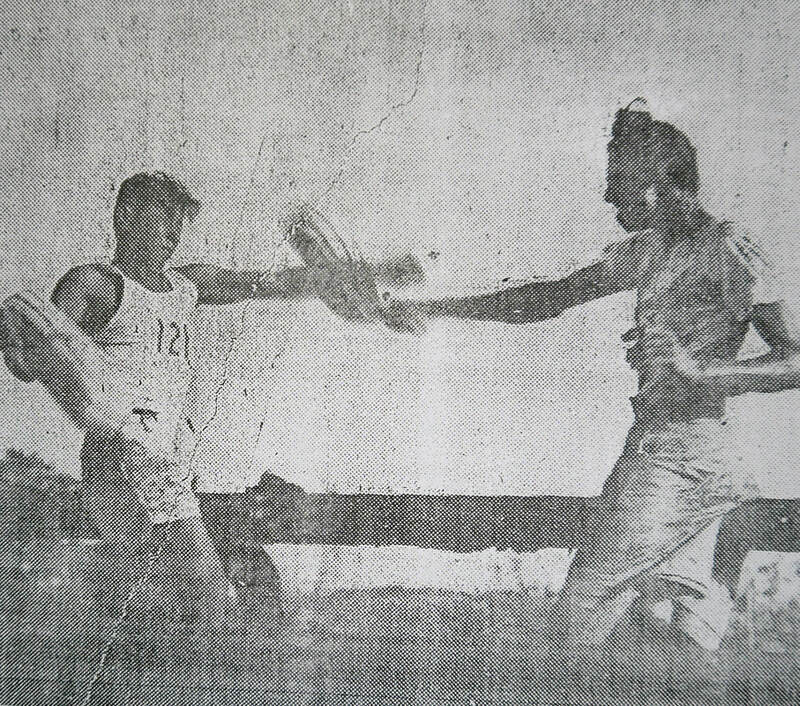 Known to all his friends as “Lukree” the late Mr Wood was an enthusiastic sportsman and till two years ago was a familiar figure at the B.A.A., [Burma Athletic Assoc.] when illness prevented him from attending B.A.A. activities with his usual regularity. His favourite game was cricket and he was one of the leading members of the Lusitanian Cricket Club. The late Mr Wood, it will be remembered, also interested himself for a time in professional boxing. The late Mr Wood, who retired from the Irrawaddy Flotilla Co. a few years ago, served with the company’s steamers in Mesopotamia during the last war. He was 60 years old at the time of his death and leaves a widow and six daughters. Members of the Journalists’ Association and other Burmese associations, members of Burmese volunteer organisations and a number of hpoongyis attended yesterday afternoon, the funeral of the late Mr P. Monin, a well known journalist and author of Burmese books. The funeral cortege left the Khaloke Kyaung in the Thayettaw Kyaungdike, Godwin Road, at 2 p.m. and the burial took place at the Kyandaw Cemetery, Kemmendine. Mr Monin’s books, including translations of English novels, are much appreciated by the Burmese reading public. He also wrote stories for Burmese film companies. Mr Monin was fifty six years of age at the time of his death on Jan. 6th 1940. The late Mr W.A.W. Dawn, whose death took place at Moulmein yesterday. The offices of the Rangoon Electric Tramway & Supply Co. will be closed today from 1 p.m. [24th Jan.] as a mark of respect ​on account of the death of Mr W.A.W. Dawn, late Chairman of the Board of Directors. 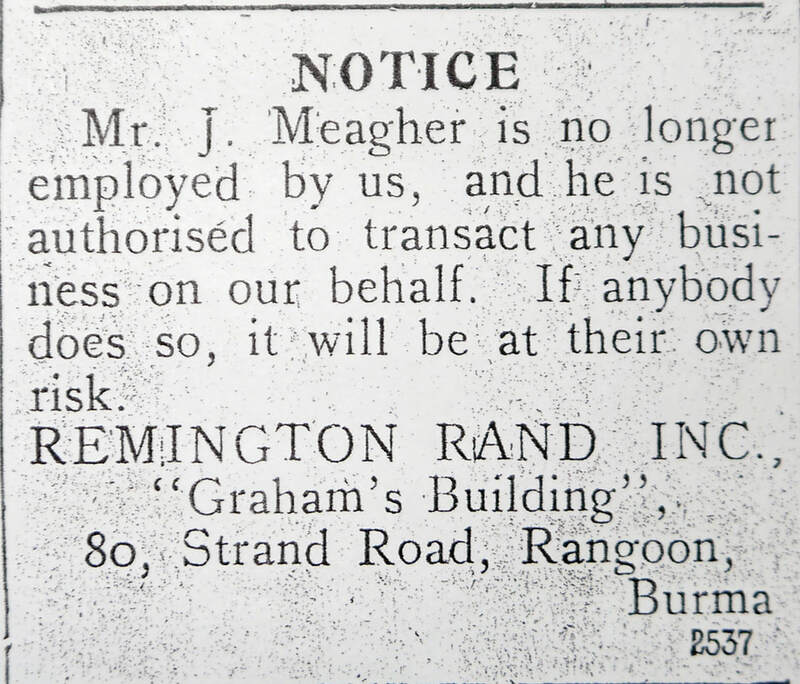 Notice is given that all persons claiming debts or liabilities affecting the estate of the above named Charles Henry Sparshott, deceased, late of Steel Brothers, who died in Rangoon on 3rd January 1940, should send in their claims to Messrs. Steel Bros., Oil Dept., 622 Merchant St., Rangoon. Love’s sacred tribute to the treasured and never to be forgotten memory of my dearly beloved husband and our father, who left for his Heavenly Home on January 6th 1939. Lovingly cherished, sadly missed and silently mourned by his wife and children. In loving memory of John Chater, Barrister-at-law, who died at Calcutta on January 9th 1913. Inserted by his children. Love’s tribute to the undying memory of our dearly beloved father, Frank Jacob, who died on January 13th 1939. In loving memory of my dearly beloved husband, Louis Leonard (Doctor) who departed this life on January 15th 1936. R.I.P. In sad and loving remembrance of a devoted husband and a loving father, Alfred Richard Gardner, who departed this life on January 18th 1938. Gone but not forgotten. In sad and loving memory of Jayaceeli Ammal (late Mrs F.R. Amirtha Pillay,) who departed this life for her heavenly abode on January 17th 1931. A Solemn Requiem Mass is to be held at St. Francis’ Church, Kyaikasan, on Monday January 22nd 1940 at 6.30 a.m. Inserted by her beloved grandson L.M.D. Thomas. In ever loving memory of our dear one, Kathleen May, who left us for her Heavenly Home on January 23rd 1938. Gone but not forgotten. In tender and loving memory of my dearest wife, Eugene Constance, who passed to her Eternal Rest on January 25th 1939. Requiem High Mass at St. Joseph’s Church, Mandalay and on the same date every month. Affection’s saddest tribute to the treasured memory of a darling husband and father, Charles Henry, who was called away to his Heavenly Home on January 26th 1937. In ever loving memory of our darling son, Neville George Crisp, who fell asleep in Jesus on January 28th 1939. In affectionate memory of a devoted husband and father, Walter Edward, who passed away at Taunggyi, S.S.S., on January 30th 1937. In Tender and loving memory of my dearest father, Robert Patrick, who passed to his eternal rest on January 30th 1939. Inserted by his loving daughter. In sad and loving memory of my dear and devoted husband Alexander Frederick, who passed away on January 29th 1935. In ever loving memory of Elizabeth Jagadesvari, who passed away on January 31st 1938. Inserted by her beloved husband, C.R.S. Samuel, and children. Mrs Johnstone, Tha Htin and Johnstone (Medicals) (winners) 241. Tun Yee, Ba Bwa and Kwet Kaw (Dobama) 275. Burne, Pyne and Pereira (Findlay’s) 281. ​Anderson, Clark and Cook (Steel’s) 290. Bodeker, F.D. Bayly and D. Bayly (Optimists) 300. Rose, Green and Falwasser (Early Birds) 322. The captain’s Cup Competition held by the Bogale Gold Club was played off on the 24th over 18 holes. The winner was Thein Maung with a net score of 78. The runners-up were Thein Lwin 85, and Shwe Bah, 87. The competition was followed by a dinner in honour of Mr P.R.H. Molloy, the retiring Captain and Dr. V.M. Nair. 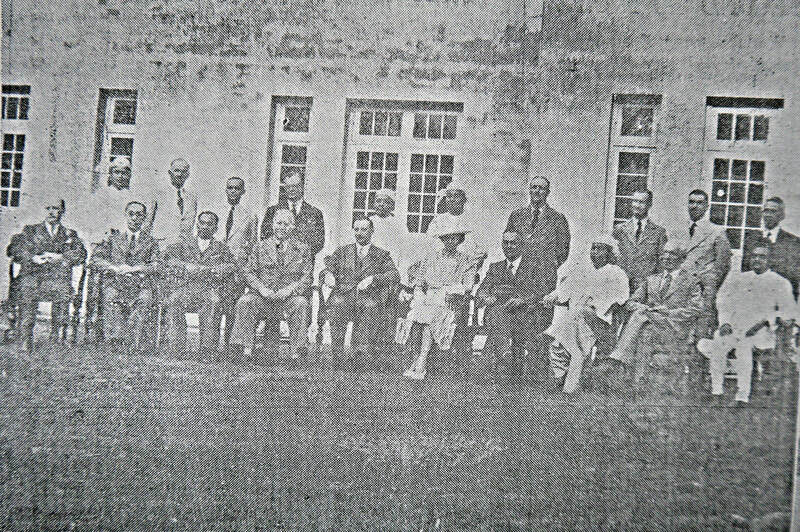 The January meeting of the Rangoon Batt. 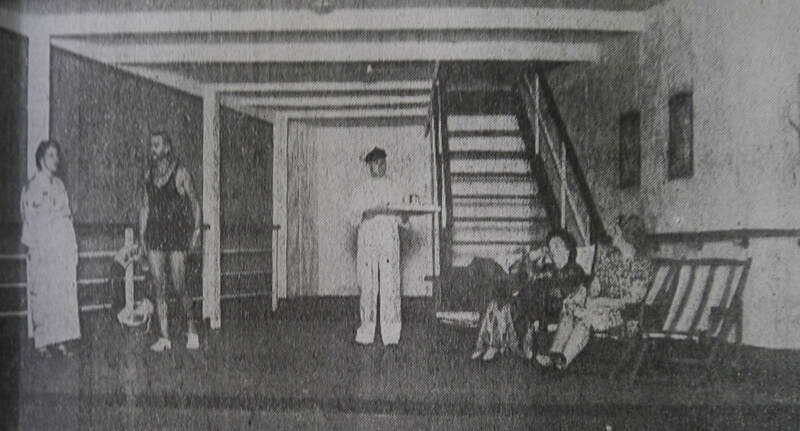 Rifle Club was held at No. 3 Okkyin Range on Sunday morning at 7 o’clock, when about thirty members participated. There was a slight cross-wind across the butts but this did not seem to worry the competitors, A feature of the shoot was the brilliant effort of Sergt. 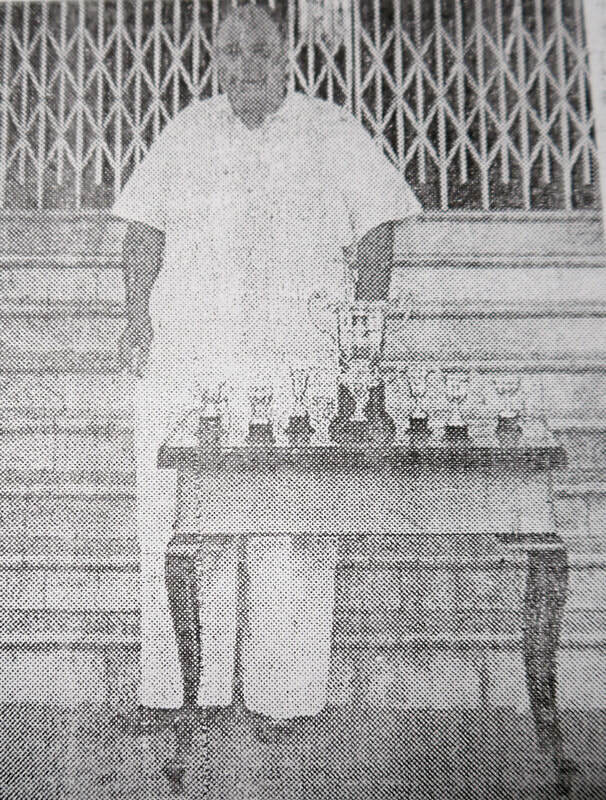 J. Aganor, who registered nine out of ten hits in the Snap practice, which enabled him to head the scoring list and win the monthly cup. R.S.M. 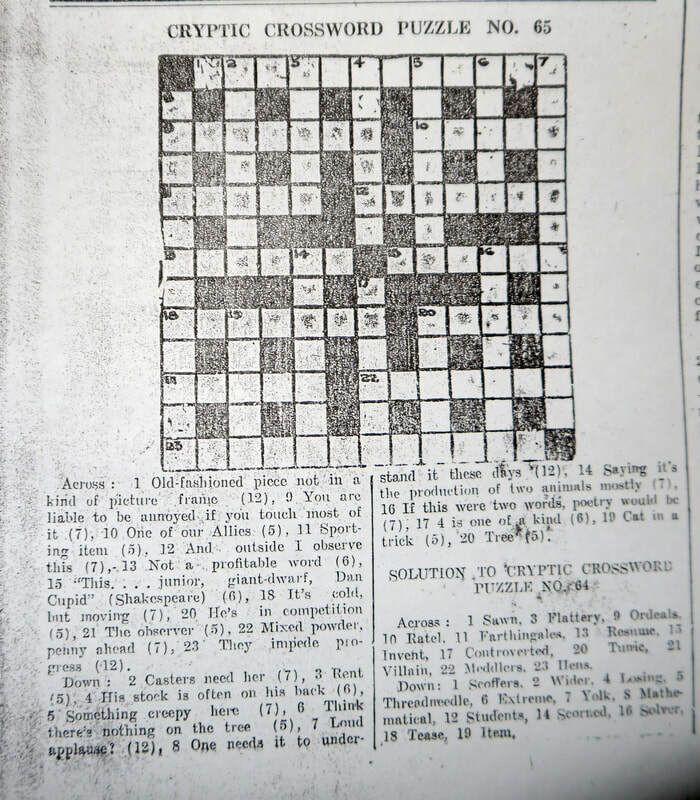 Irving, whose ultimate score was 105 points, secured second place, six points separating him from the winner. The highest scores returned in the other two practices were 23 out of 25 by Major H. Oppenheimer in the Slow practice and 26 out of 40 points in the Rapid pracrice by Sergt. R.H. Dyer. The Rangoon-Insein Rifle Club of the Burma Railways Battn., B.A.F., held its monthly shoot for January at Okkyin on Sunday. 1. 300 yards, slow. Sitting or kneeling two sighters and five to count. 2. 300 yards. Plate and target. Plate must be down before target appears. Seven rounds, but only five allowed on target. H.P.S. 20. 3. 300 yards 10 rounds. Rapid on Fig. 2 target. 45 secs. 2 points per hit. H.P.S. 20. ​The best scores in each practice were:- 1st Practice: Sergt. J. Hancock 18 ; 2nd Practice: Pte. A. D’Cruze 17 ; 3rd Practice: C.S.M. C.E. Baptiste 18. Prize winners:- Pte. V. Trinidad ; C.S.M. C.E. Baptiste ; Pte. A. D’Cruze ; Pte P.C. D’Monte. The following have been selected to represent the B.A.A. 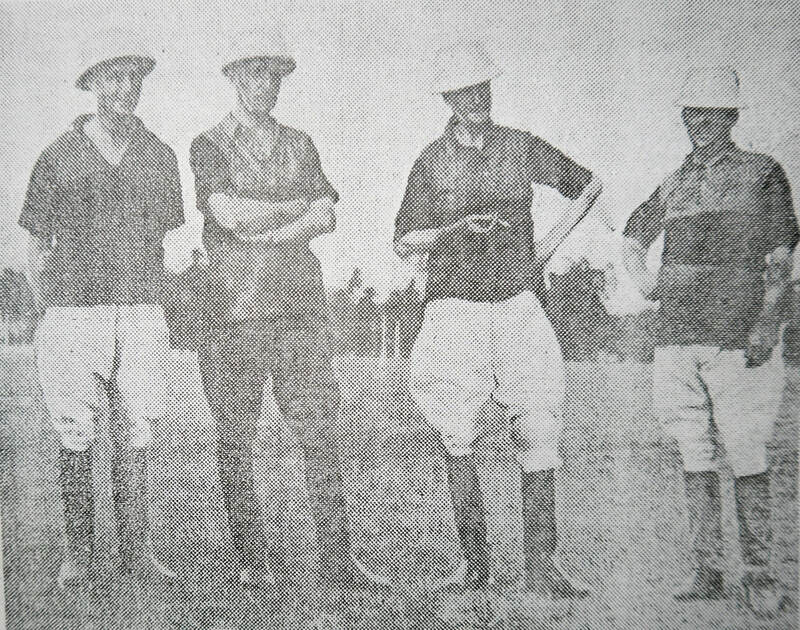 XI in the cricket match with the Rangoon Gymkhana C.C. to be played at the B.A.A. ground on Sunday at 10.30 a.m. In the match played on Sunday on the B.O.C. Recreation Ground, Yenangyaung, the Oriental Cricket Club, Rangoon, beat the Yenangyaung Cricket Club by 80 runs. Winning the toss the visitors chose to field. The home side sent in Barnes and Butlin against the bowling of Pinto and Joseph. Before a single had been scored Barnes gave a catch off Pinto but Roberts dropped him. 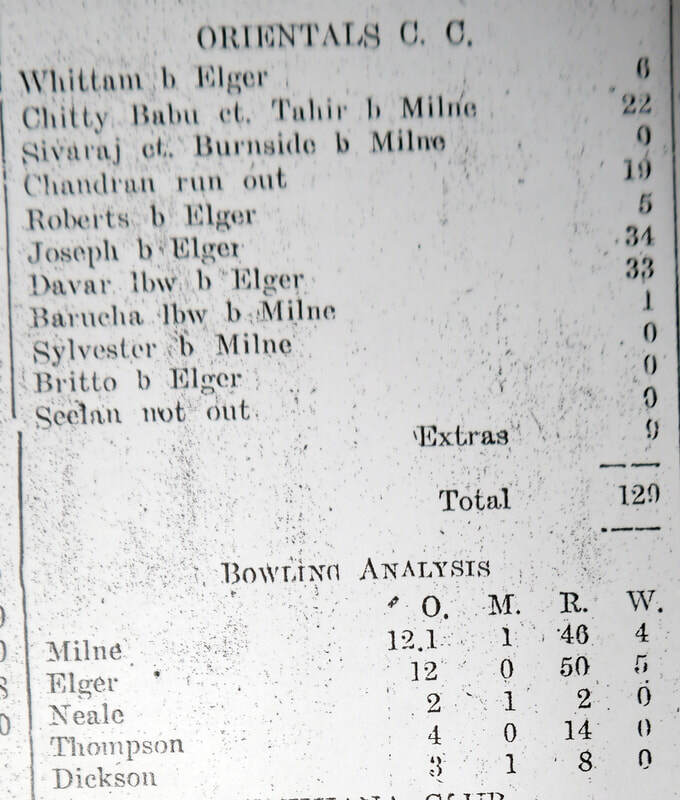 The Butlin-Barnes partnership lasted half an hour and was productive of 49 runs. Barnes was bowled by Roberts having scored a useful 30 which included four boundaries. Butlin was shortly after caught by Chandran, the Oriental’s Skipper when the score was 51. Roberts and Whittam took the remaining wickets for the addition of 48, Condon’s share of this being 15. Roberts’ fast bowling got 7 wickets for 26. 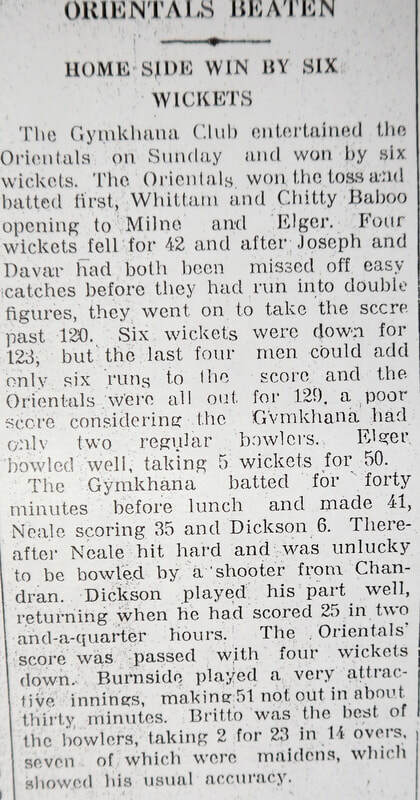 The visitors opened their innings with Baroocha and Siva Ra, the attack being entrusted to Barnes and Brown. The scoring was slower than the home sides but steadier. Before lunch the visitors had lost two wickets for 61. Siva Raj was out for 31 and Chandran was soon dismissed. Whittam made 25 and Pinto 29. Baroocha was unfortunate to be run out. Bowling honours went to Vickers with 4 for 48. 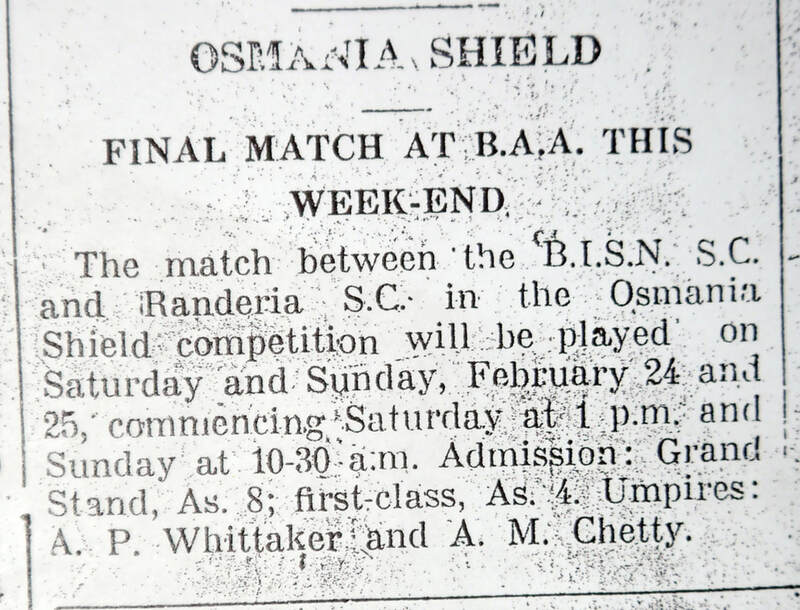 Two matches in the Osmania Shield competition will be played this weekend. On Theinbyu No. 1 Gyogon Sporting Club will meet Randeria Sport’s Club and on Theinbyu No. 2 the B.I.S.N. Sport’s Club will meet the Punjab Sporting Club. A team from the following will represent the Punjab Sporting Club:- K.C. Sharma (Capt.) Lal Chand, M. Hogan, Roor Singh, Khazan Singh, Henry Pereira, C. Twigg, S.J. 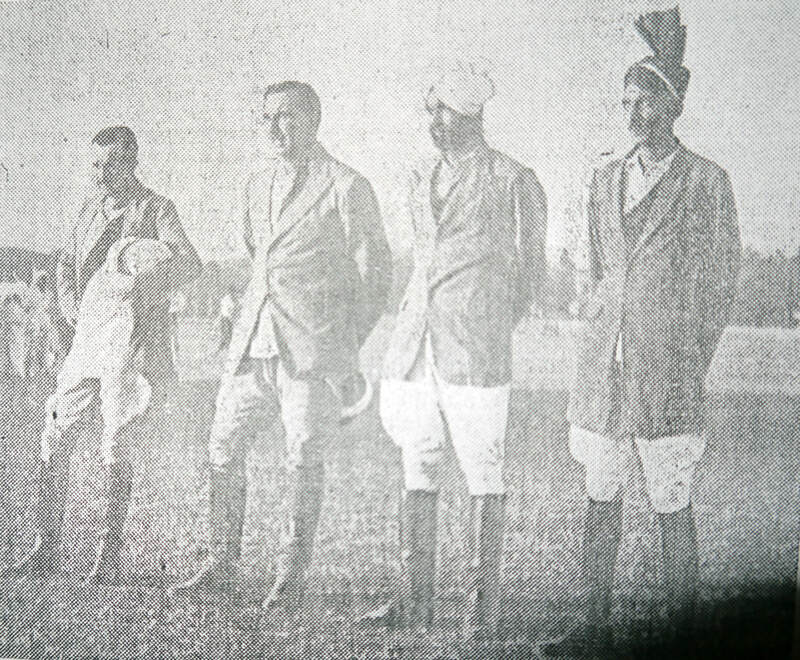 Singh, P. Joseph, Pritam Singh, Kartar Lall, Balwan Singh, Rajunder Singh and Gurhax Singh. in three straight sets in a match that was decided by the best of five sets. ​J.H. Diekmann Enters Third Round. Tun Myint beat A.N.K. Pillai, 6 1, 6 4. J.H. Diekmann beat A. Texeira, 6 3, 6 4. Ba E San Tay beat M.S. Dugal, 6 0, 7 5. Reg. Simons beat Ba Aye, 7 5, 6 1. G. Lynsdale and K.W. Foster beat Dr. Iyer and Iyer, 6-3. W.H. Lynsdale and Shan Lone beat S. Chakraborty and Rama Krishna, 7-5. 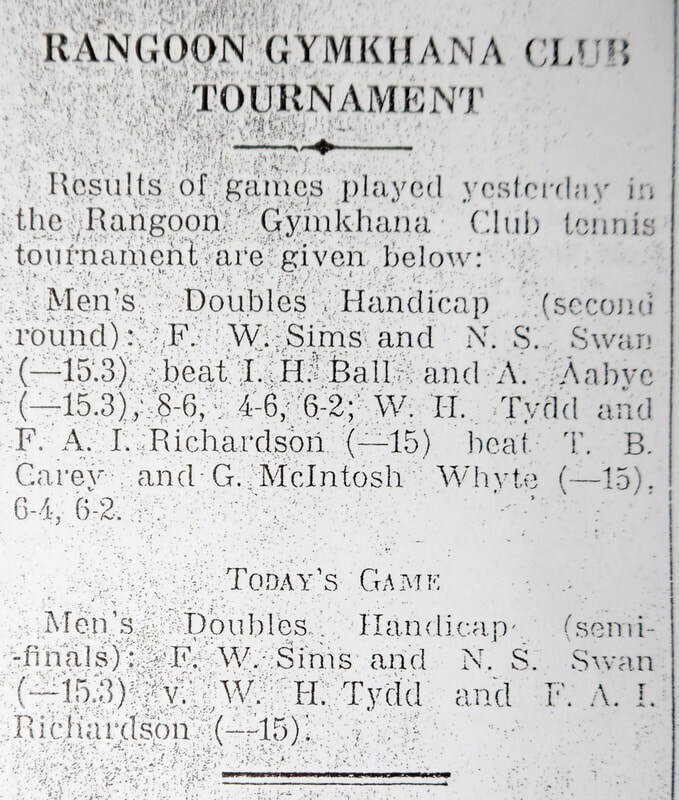 The open tennis championship commenced last evening with a match in the men’s doubles in which E.W. Wren and G. Keith beat P.A. Salvi and C.R. Ram. Mixed Doubles - K.W. 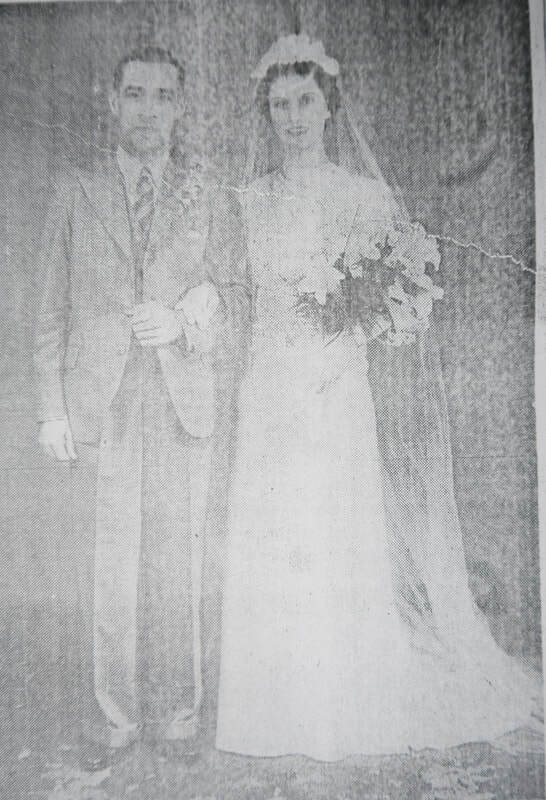 Foster and Mrs R.M. Friedlander v W.R. Pears and Mrs B. Lidbetter. D.P. Mukerjee and Saw Po Aung beat Ling Sing and Ohn Kin, 6.1, 6.2. Chit Ko Ko and R. Simons beat M.S. Dugal and Than Shwe, 4-6, 6-0, 6-4. S. Chakraborty and A.K. Dhar beat P.H. Wong and Y.H. Kwong, 6-0, 4-6, 6-2. M. Wooten and V. Simons beat U Kaung and U Paing, 3-6, 8-6, 6-0. Mrs A.P. Curry and Mrs I.B. Dixon beat Miss Dunkley and Miss Singleton, 6-2, 7-5. G. McIntosh Whyte beat A. Aabye, 3-6, 6-2, 6-4. ​​The Hard Court Championships ended at the B.A.A. with the finals of the men’s Singles and Mixed Doubles. 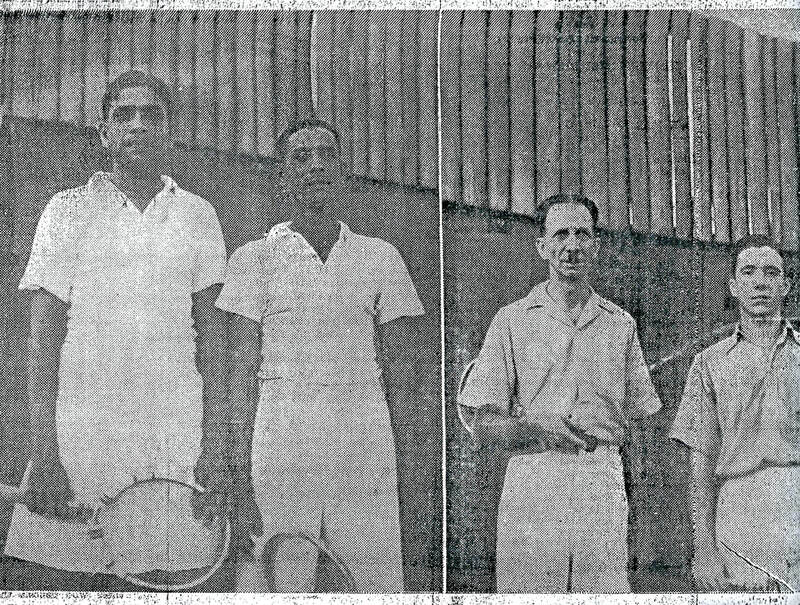 Amardil Lama (right) holder of the Men’s Singles, retained his title when he beat W.H. Lynsdale after four gruelling sets. ​The Mixed Doubles were won by G. Pears and Mrs Lidbetter (above) who beat W. Martin and Mrs Martin (right) last year’s holder’s. The Men’s Doubles in the Hard Court Handicaps commenced last evening at the B.A.A. but only three of the four matches scheduled for the day were played. Kyaw Thein and G.E. Ferguson, who were to have played H.W. Archer and E. James, scratched, giving their opponents a walkover. ​Results of matches played last evening. A. Conway beat F.G. Bestall, 6-3, 6-3. Mrs W.J. Air and Mrs J.D. Tucker, w.o. Miss R. Briggs and Mrs P. Jupp. 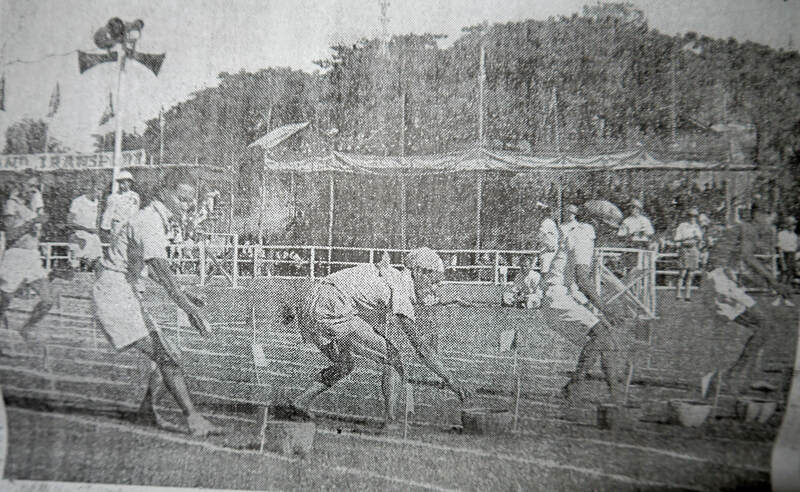 In the doubles semi-final of the inter-club competition at Bassein for the Hiralal Cup, played under the auspices of the Irrawaddy Athletic Association the Police Club “A” team represented by Messrs. Wemyss and Soe Mya beat the Government High School “A” team represented by Thein Maung and Soe Min, 6-2, 6-1. 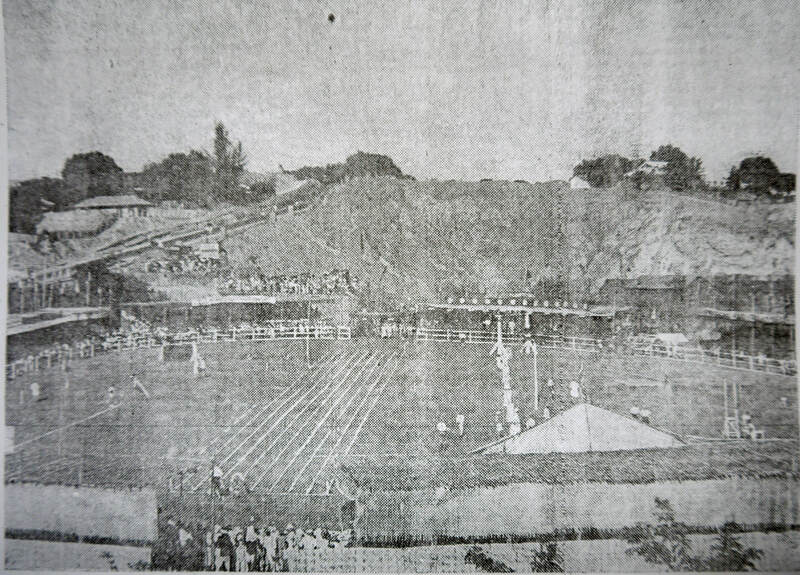 In the final, which took place on the I.A.A. Tennis Court on Monday, the Hospital Tennis Club “B” represented by Messrs. W. Trutwein and Kyan Sein, beat the Police “B” represented by Ko Ba Aye and Po Han, 5-7, 6-2, 4-6, 6-2, 6-3. C. Mohan Lal and R.C. Jaidka beat Dr. Tha Mya and Po Win, 6-4, 2-6, 6-0. F.A.I. Richardson and L.F. Cantlay beat Aung Chein and Hla Maung, 6-4, 2-6, 6-4. S.S. Dugal and Dr. Giyan Singh beat S. Raman and Aung Than, 9-7, 6 -1. U Cho and D. Cho beat Hla Thi and Dr. Gollerkeri, 6-3, 3-6, 6-2. B.K. Berry (R.M.E.A.) beat W.H. 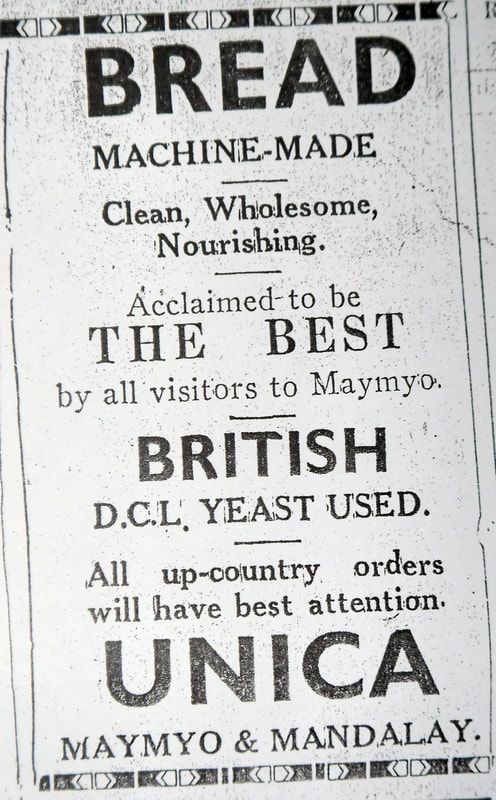 Lynsdale (B.S.C.) 6-2. A. Po Win and H. Hengshoon (R.M.E.A.) beat W.H. Lynsdale and Shan Lone (B.S.C.) 6-3. G. Lynsdale and Foster (B.S.C.) beat B.K. Berry and Ba Kyi (R.M.E.A.) 6-4. S.C. Bryant beat A.G. Dunn, 7-5, 6-2. E.H. Lawrence beat T.V. Clark, 6-3, 4-6, 6-3. Miss Dunkley and Miss P. Singleton v Mrs A.P. Curry and Mrs I.B. Dixon. ​winners of the Y.W.C.A. netball tournament, “A”” grade. A. Sen (Day-Science) beat Than Thin on points. A. Sen beat Tin Tun (Thaton) on points. R. Fenton beat C. Nicholas (Pinya) on points. Ba Hla Tin (Willingdon) beat Wellington (Willingdon) on points. Ba Hla Tin beat Fenton on points. P.E. 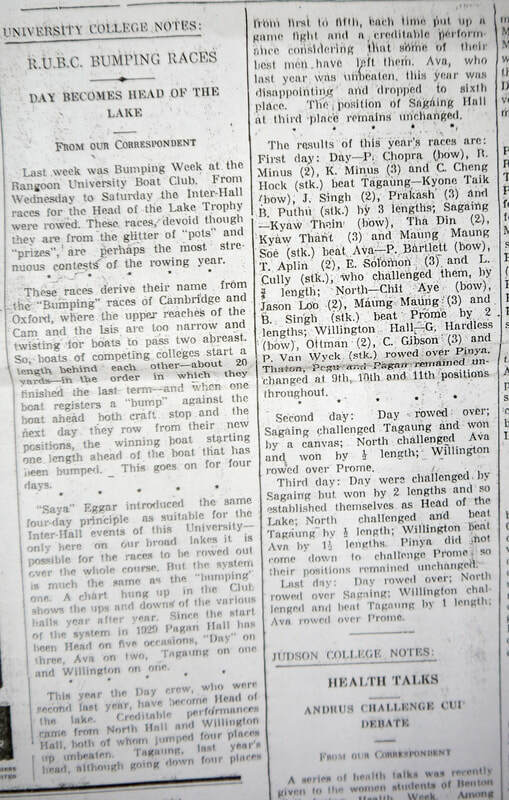 Cho (Sagaing) beat Kawl Soon on points. H. Aaron (Day-Science) beat W. O’Connor (Prome) on a t.k.o. H. Aaron beat Cho, again on a t.k.o. G. Robertson (Pinya) beat Zaw Hman (Prome) on a t.k.o. after a hectic tussle. He met Dutta (Day-Science) in the final and lost on points. P. McHarg (Prome) beat D. Thompson (Willingdon) in the final on points. R. Thompson (Prome) beat B. Tin Kyu (Sagaing) on a t.k.o. Thompson met A. Cowell (Day) in the final and lost the verdict by a narrow margin. B. Bennilick (Pinya) beat C. Seppings (Thaton) on points and so met Htoon Shein (Sagaing) in the final, winning again on points. 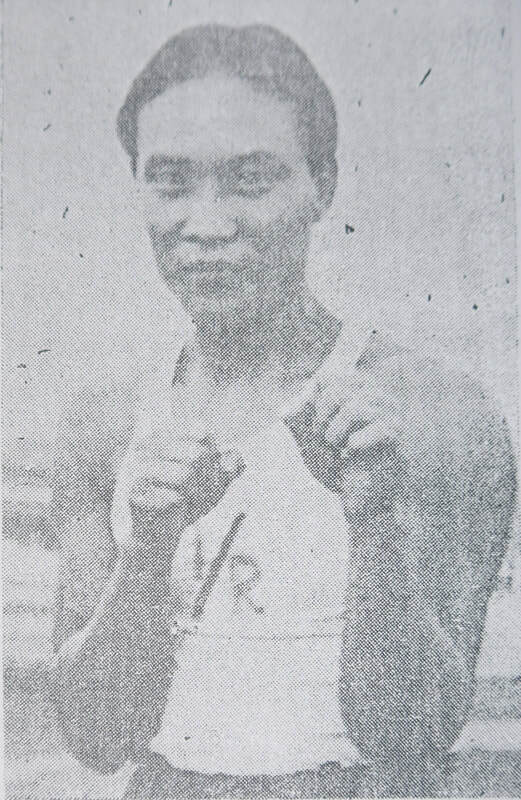 P. Archard (Prome) beat S. Ba E. San Tay (Willingdon) on points. Edward Maung (English Schools Champion) beat K. Khin Maung on points. R. Campagnac and Cooper, both of the III Field Brigade, gave an exhibition of terrific struggling, Campagnac gaining the verdict. J. Meecher (B.E.H.S.) beat S. Henry in one of the cleverest fights of the evening. The prizes were distributed by U Tin Tut, Chancellor of the University. 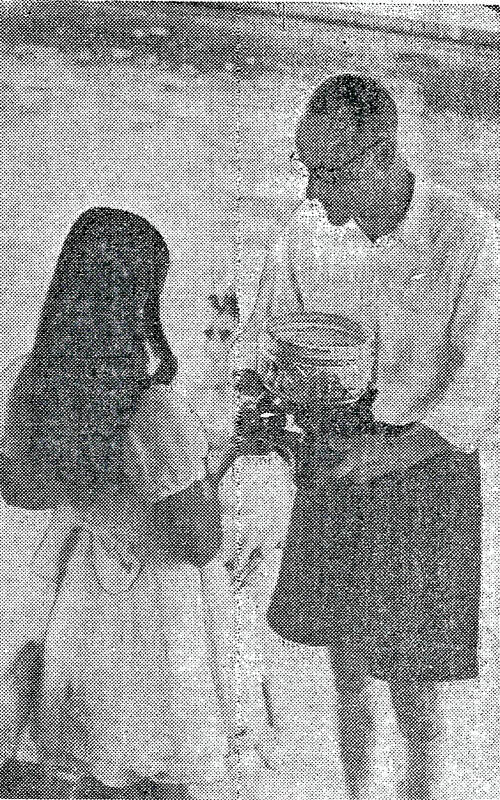 ​Children of members of the Kokine Swimming Club gave “Uncle Mac,” Mr J.J. MacMahon, who has taught them to swim and dive, a party at the Club on the eve of his retirement, Above he receives a Burmese Silver Bowl suitably inscribed as a token of their gratitude and, on the right, with his hosts and Mrs MacMahon. 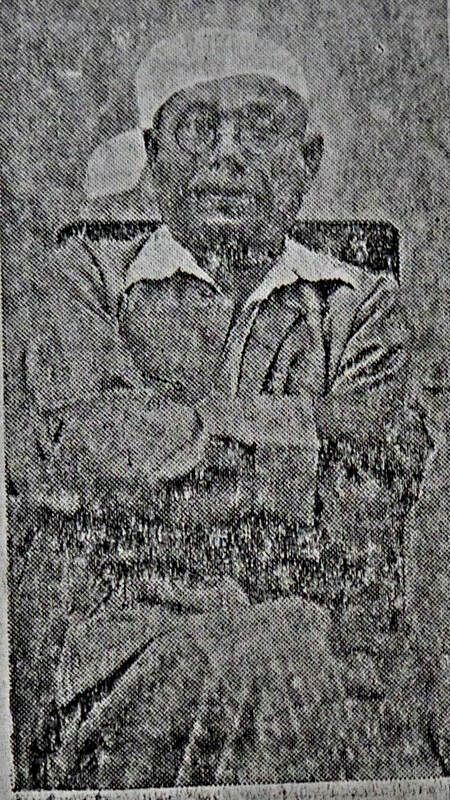 Kakar (bow) E. Solomon (2) P.N. Chopra (3) Khin Maung Bo (stk.) and Gyaw Ni (cox) beat Tun Shein (bow) P. Archard (2) Kyaw Thant (3) C. Cheng Hick (stk.) and Khin Hlaing (cox) by a nose in the final. A. McKerral (bow) G. Apcar (2) Kyaw Thant (3) Cheng Hick (stk.) and Tun Shein (cox) beat Kakar (bow) R. Lwin (2) Parkash (3) Raj Kumar (stk.) and Khin Maung Bo (cox) in the final. The Pentathlon Championship was won by Smart with 1969.32 points: deSantos was second with 1336.82 and On Bi third with 1235.32 points. 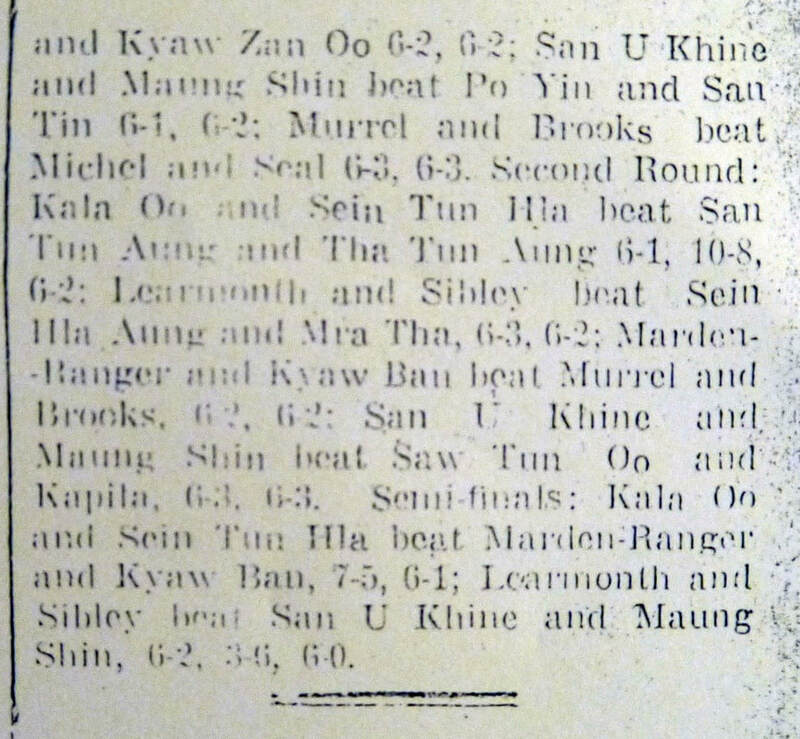 ​The Individual Championship was won by Ah San and HI Soon (tie) both of the Lanmadaw Branch. Last week the Rangoon University Science Assoc. arranged an adult debate on the subject “The good effects of Science are greater than its bad effects on mankind.” Professor D.H. Peacock and Dr. Chowdury spoke for the motion and W.D. Desai and Dr. Barbara Stewart, of the History Dept., opposed it. The debate was very well attended. The result was a draw. The relay team will consist of Blake, Tin Maung, Archard and Saw We Thaw. In the Port - The “Klipfontein” one of a line of ships that will be calling regularly at Rangoon on the San Francisco-Calcutta run. ​This line formerly ran between Holland and South Africa, but since the war the service has been transferred. A proposal made by U Ba Hlaing to change the name of Scott Market to Mingala Market was defeated at yesterday evenings meeting of the Public Health and Markets Committee, Rangoon Corporation. Those present were:- M. Auzam, the Mayor, U Ba Win, K.M. Dangali, S.T. Leong, Capt. Ba Hpu, U Ba Hla, A.R. Nizami, A. Sequeira, U Ba Hlaing, Dr. Maung Glay, M.B. Padgett, U Kyaw Zan, U Myo Kin, Secretary, G. Laval, Asst. Secretary, Dr. B.P. Srivalave, Health Officer, U Thein Min, Veterinary Officer, U Htoon Pay, Superintendent, Scott Market and Mr M. Rorke, Motor Transport Officer. ... 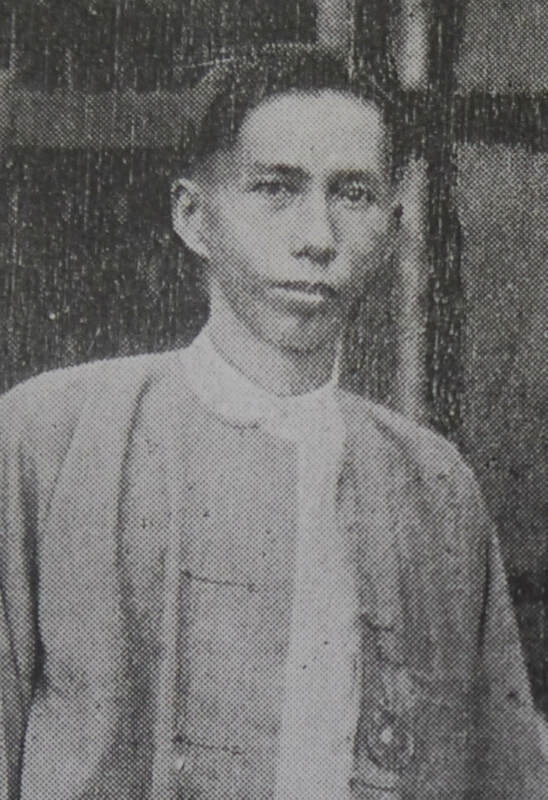 The following resolution moved by U Ba Hlaing at the adjourned meeting of the Corporation held on December 12th was considered : “That the name of Scott Market be changed into that of Mingala Market.” In support of his proposal U Ba Hlaing said that in Burma public institutions like Scott Market should have Burmese names. In his opinion there was no reason why the market in question should be named Scott Market. “Mingala,” a derivation from Pali, meant “auspicious” and would be a familiar word to Burmans. Mr Nizami said that the market was named after the late Mr Gavin Scott, who had been a Commissioner of the Corporation for a number of years. 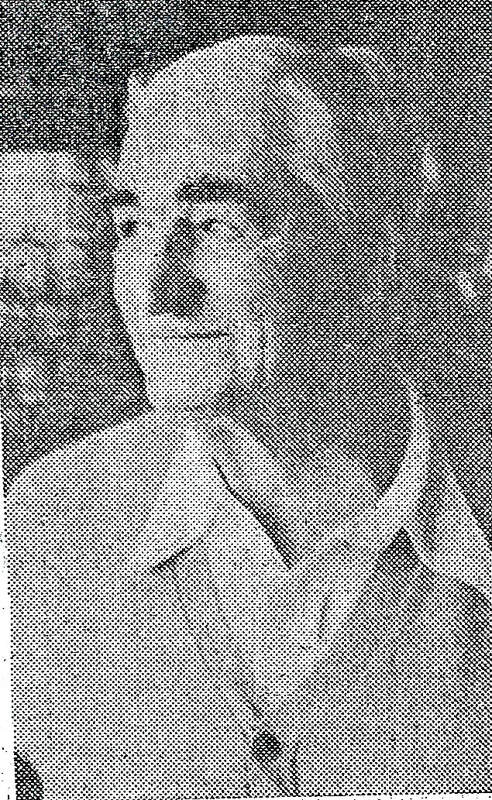 Dr. Murray said that the late Mr Gavin Scott had done more for the development of Rangoon than any other person. He had helped to build up the Corporation to what it was at the time he handed over the Commissionership to Dr. Maung Set. It could even be said that he had trained the Councillors and the Chairman of Committees. When the construction of the Scott Market was completed, the Corporation thought it only fit to perpetuate his name by naming the market after him. 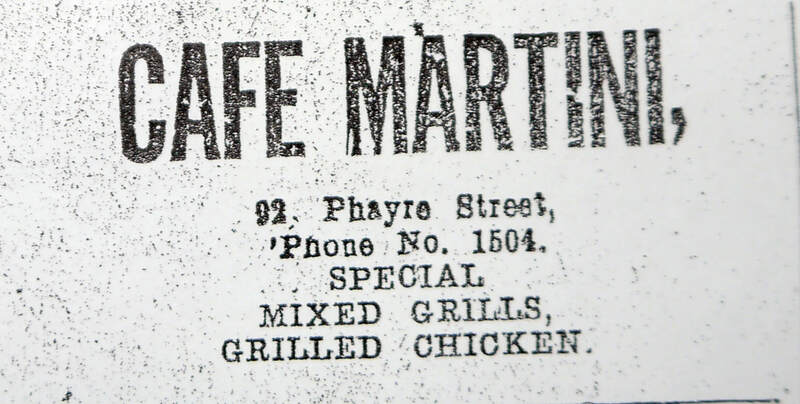 If U Ba Hlaing felt a desire to achieve success for a municipal market by giving it an auspicious Burmese name, he could rename the Morton Street Market, which was not doing well as a financial proposition of the Corporation. U Ba Hlaing, in reply, said that the late Mr Gavin Scott had done nothing for the benefit of Burma. He was just an ordinary bureaucrat of the Indian Civil Service, who had become Commissioner of the Corporation by the simple process of transfer. He was just like any of the numerous bureaucrats in the Civil,, Police and other services who were paid fat salaries to do whatever work they were called upon to do. ​U Kyaw Zan said that if U Ba Hlaing had known Mr Scott he would never have spoken as he had done. Mr Scott was not only very fine officer but one of the nicest men one could meet. The Secretary said that the late Mr Scott had not been keen about the Corporation’s desire to name the market after him. He expressed a preference to give it some impersonal name. With the completion of the market, there were two proposals, one to name it after him and the other to name it the “Municipal Zegyi.” The Corporation decided unanimously to name it after Mr Scott. U Ba Hlaing’s proposal was put to the meeting. Three votes against and two for it. The proposal was lost. M. Auzam, the Mayor, U Thin Maung, U Aye Maung, M.E. Dawoodjee, Capt. Ba Hpu, S.T. Leong, Daw Tin, U Chit Maung, G.S. Nicoll, J.K. Munshi, L.H. Wellington, U Yan Aung, U So Nyun, Commissioner, U Myo Kin, Secretary, A.E. Mann, Chief Engineer, H.J. Tonks, Executive Engineer and U Tun, Buildings Engr. The first business was the election of a chairman of the Committee for 1940. Mr Nicoll proposed that Capt. Ba Hpu, last year’s Chairman, be re-elected while Mr Dawoodjee proposed U Ba Soe. Five voted for U Ba Soe and four for Capt. Ba Hpu. Capt. 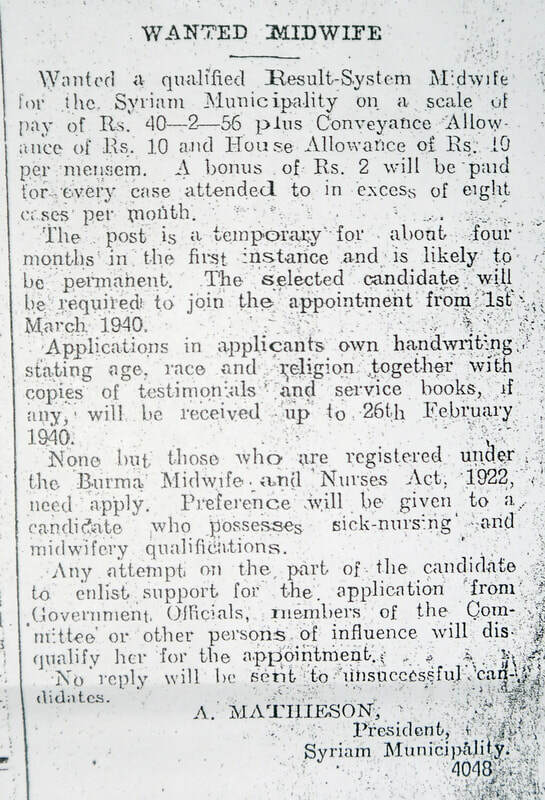 Ba Hpu said that in view of the fact that Mr Tonks would be shortly leaving Burma on leave preparatory to retirement, he would like to move the following resolution: “That this Committee recommends to the Corporation that it do place on record its appreciation of the meritorious service rendered to the Corporation by Mr Tonks.” Capt. 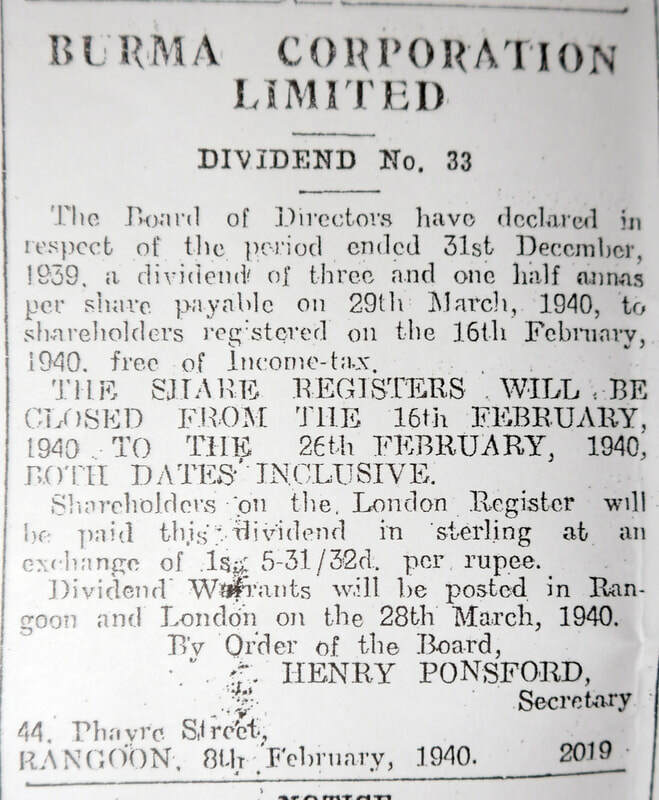 Ba Hpu added “Mr Tonks joined the Corporation in February 1925 as a temporary Asst. Engineer, Roads & Buildings Dept. The work done by him during the first few months in service was so satisfactory that in May 1925 the Corporation appointed him to officiate as City Engineer, Roads & Buildings. 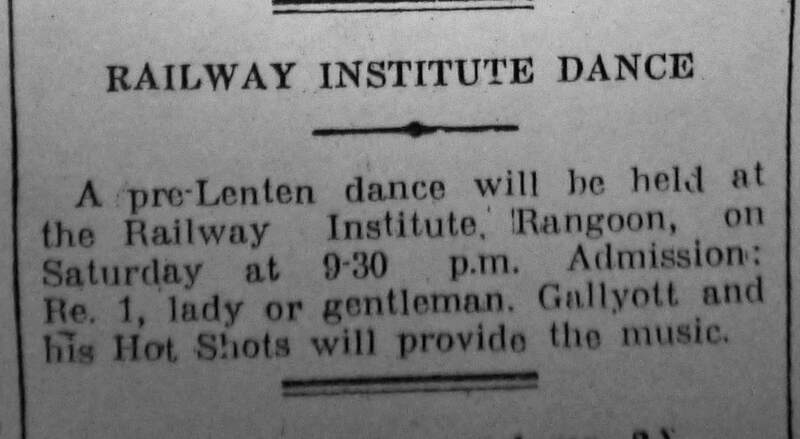 In February 1926 he was appointed Chief Asst. 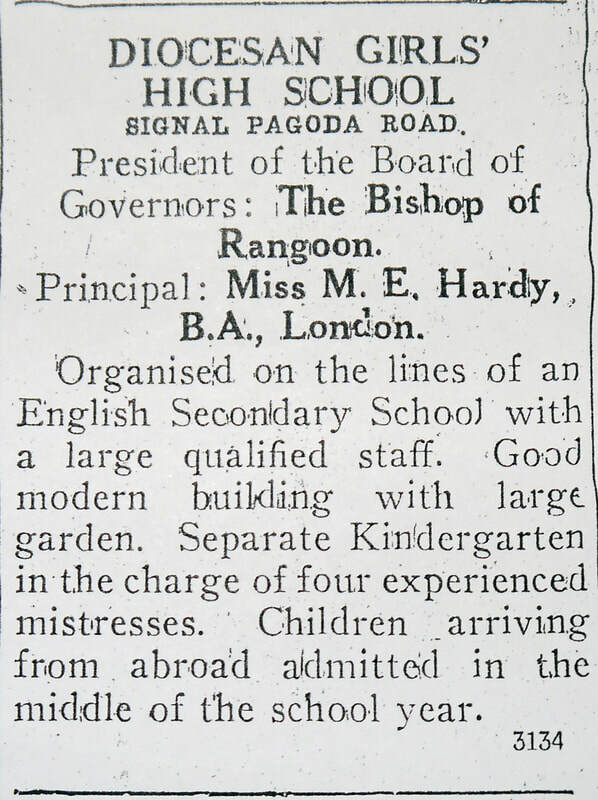 Engineer, Roads & Buildings and was confirmed in this appointment in April 1927. Later in the same year this appointment was converted to Executive Engineer, Roads & Buildings. Mr Tonks officiated once as Executive Engineer, Water & Sewage Dept. and as Chief Engineer on several occasions. Mr Auzam, the Mayor, and Mr Munshi associated themselves with Capt. Ba Hpu’s resolution and remarks. U So Nyun, the Commissioner, on behalf of the Executive, said that Mr Tonks had an excellent record of service in the Corporation. His unassuming ways coupled with his loyalty and his efficiency had won for him the affection of his brother officers and his staff and the admiration of all. Through he was retiring on account of superannuation, Mr Tonks was still young and he hoped that any work that Mr Tonks might take up on his return to England would meet with success. U Ba Soe, the Chairman, said that he endorsed all that had been said and he would take it that Capt. Ba Hpu’s resolution had been carried unanimously. On a proposal made by Capt. Ba Hpu, it was agreed to provide six road lights in 165th, 166th and 167th streets. 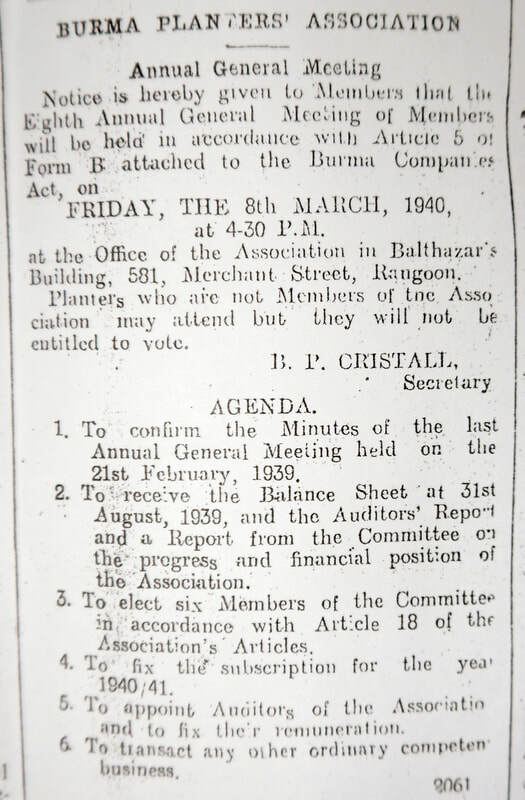 A proposal to permit Lady Booth-Gravely to use the Promontory near the Rangoon Boat Club free of charge on March 25th and 26th instead of on March 20 and 21st as previously decided, for a Carnival in aid of War Relief and local charities, was considered. A.N. Strong, Dr. 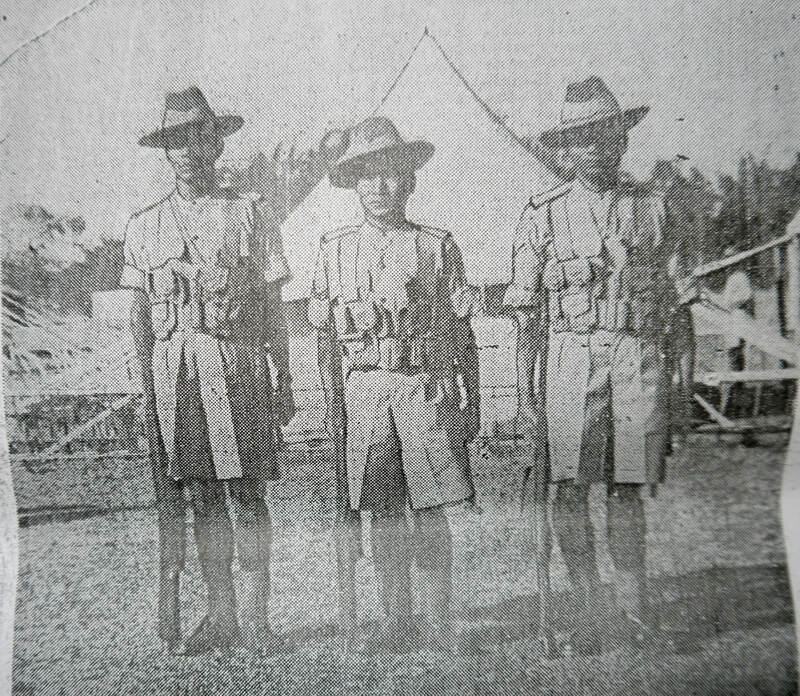 A.M. Murray, U Ba Hlaing, Capt. Ba Hpu, A. Kim Hmein, G.S. Nicoll, J.K. Munchi, R.G.B. Prescott, U So Nyun, Commissioner, U Myu Kin, Secretary, C.B. Rennick, Assessor and L.E. Mitchell, Chef Accountant. The first business was the election of a Chairman of the Committee for 1940. Mr Ganesier proposed Mr Strong. Mr Nizami proposed Mr Munshi. ​Reasons Given For Present Price of Rubber. “Difficult” Year Under Review. “The present price has been reached by the desire of manufactures in the insecurity of war to expand their stocks of materials and by the treaty under which the British Government has to supply the Government of the U.S.A. with about 85,000 tons of rubber which, in the absence of a major war emergency, will be retained for seven years as a frozen reserve. The haste with which American manufactures endeavoured to increase their stocks and the clumsy method adopted by the British Government to cover its “bear” commitment have accentuated the influence both these events have had on prices. When these abnormal requirements and others which perhaps may arise have been satisfied, reliance will have to be placed on a substantial increase in consumption or a reduction in the permissible exportable quantity to maintain prices.” Thus remarked Mr W.J.C. Richards, the Chairman, in the course of a speech which he delivered at the thirtieth annual general meeting of the Moulmein Rubber Plantations Ltd., which was held at the registered offices of the Company, nos. 67-69 Lewis St., Rangoon, on December 29th 1939 at 4 p.m.
F.W. Lunt ; R.M. Lunn ; T.B. Carey ; S.G. Richards ; C.W. Carleton ; C.F. Featherston ; E.C.V. Foucar ; D. Sucaram ; G.A. Brown. 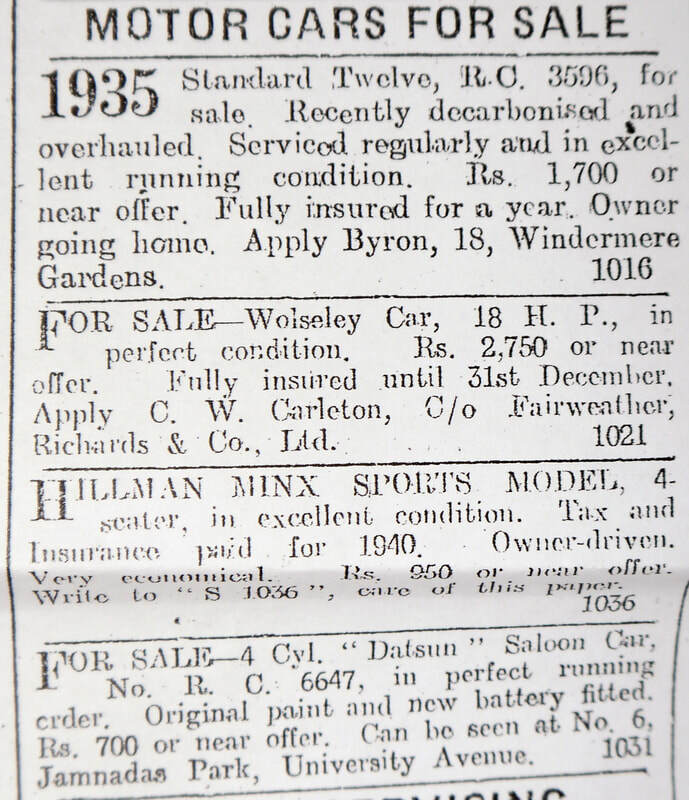 Morris 14, series III (1938) saloon, sliding roof, seats 5, used only 7000 miles, R.C. 6728, as new, Rs. 2800 or offer. Apply Blake, “Russell Square” Forest Rd., Maymyo. Ford Tourer, R.B. 3000. “A-Model” Lovely engine, excellent condition. Rs. 550 nearest. Dodge Saloon. Practically new. R.C. Milage 9000. Bargain Rs. 3250 nearest. Another Morris Tourer, Rs. 250. Durrad & Co., 121 Sule Pagoda Rd. Callender’s Cable and Construction Co.
Electric Cables of all kinds. 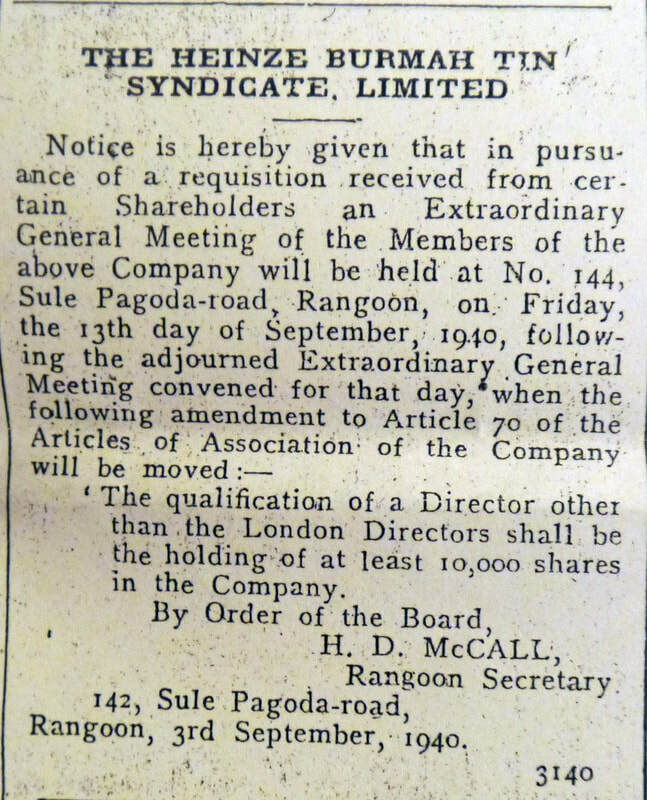 Stocks held by Sydney Webster & Co., 88 Strand Rd., Rangoon. Engineers & Builders, Steelwork, Sanitation, Building & Plumbing. ​A two storied pucca building, a ready-made home. ​All the latest kinds of artistic electric fittings. Standing in two and a half acres of pretty grounds. Fares from Massink & Co.
Mercantile Bank of India, 66 Merchant St.
E.M. de Souza & Co.
R.C.G. Radio & Electric Co.
53/55, room 27, Barr St. Specialises in Radio repairs and servicing. Electrical works of any description undertaken. Expert European Supervision. “Hill Side” no. 10 Hermitage Ave., Kokine, a spacious two-storied semi pucca building with sanitation. 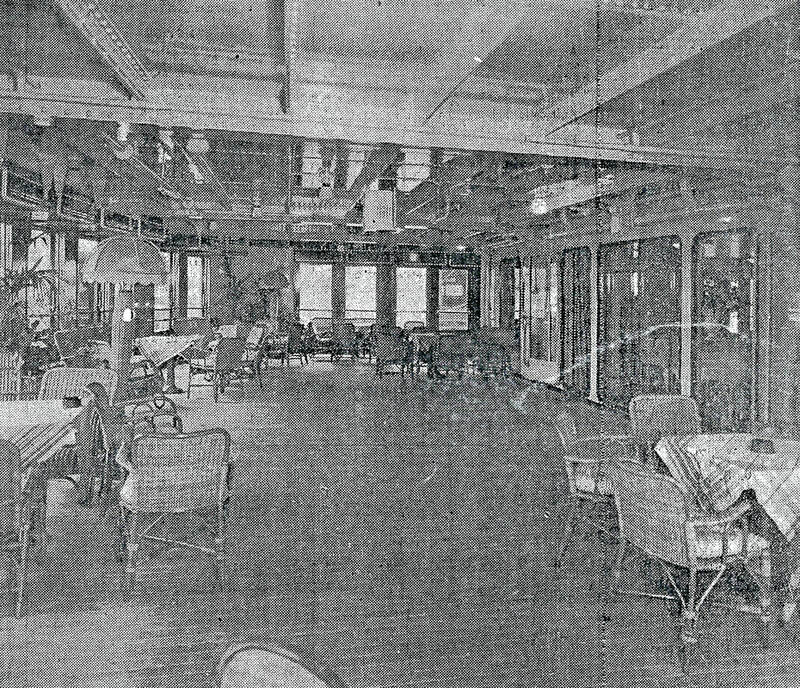 English baths, electric lights and fans. Apply R.R. Khan 625 Merchant St.
No. 298 Rangoon/Insein Rd. Upper floor, Rent Rs. 55. Sitting room, dining room, 2 bedrooms, 2 bathrooms, pantry and kitchen. Garage and servants quarters. Light and sanitation. Newly painted. Desirable office accommodation comprising the first floor of our building with frontage in Merchant St. and measuring ... Immediate entry. Apply A. Scott & Co.
Popular Dagon Cinema Hall on Sule Pagoda Rd. Complete with Philips talkie machine, furniture and all its fittings. Apply R.R. Khan, 625 Merchant St. Apply Arthur Flavell & Co, 153 Ahlone, Strand Rd. Upper flat. 9 Franklin Rd., cool and airy, near tram and train. 2 bedrooms. 2 bathrooms, garage. Rent moderate. Write to ... care of this paper. Mount Pleasant, 6 Churchill Rd., 5 Wingaba Rd., Royal Lakes. Residential Hotel, High Airy situation. Modern sanitation. Select-Cool-Quiet. Cuisine a Speciality. Rhode Island Red and Light Sussex Hatching Eggs for sale, as well as a few cockerels. All birds imported direct from England. Apply to E.M. de Souza & Co. 465/69 Dalhousie St. Apply J.W. Darwood & Co., 505 Merchant St.
​Commodious lower flat, 53 Newlyn Rd., opposite Pegu Club. Water laid on. Rent Rs. 75. Apply J. Hormasji, 118 Phayre St. 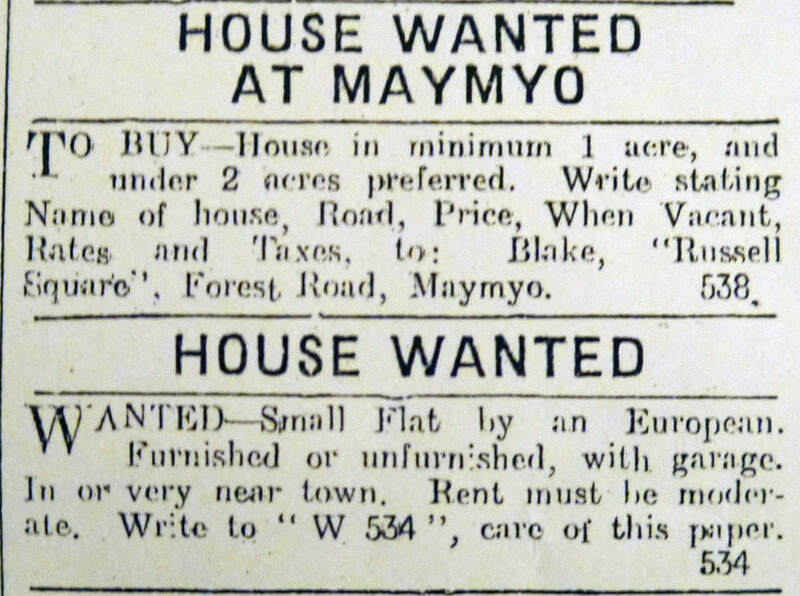 Available for occupation on and from 1st Feb. 1940. 3 comfortable bungalows at 515 Lower Kemmendine Rd. Electric lights and fans, garage. Rent Rs. 90 each. May be inspected at any reasonable time. Apply Manager, Irrawaddy Flotilla Co.
From 1st March. Self contained, furnished or unfurnished, upper flat for Europeans, consisting of three bed, dressing and bathrooms, modern sanitation. English baths and showers. Tennis court, garages. Newly built furnished cottage in Thingangyan. Substantially constructed of 1st class teak and pyinkado, standing on 354 acre freehold land, flower and vegetable garden, well and garage. Rs. 3500. Owner leaving Burma. ​Write to ... care of this paper. As a going concern, a small European Hotel – cheap, with prospects. Advantage of full house if purchased immediately. Owner intends retiring from Burma. Write to ... care of this paper. ​The comedy “Winter Sunshine” produced by Mr L. Groves, opens tonight at the Minto Mansions Theatre. ​It is in aid of the Rangoon Vigilance Society. 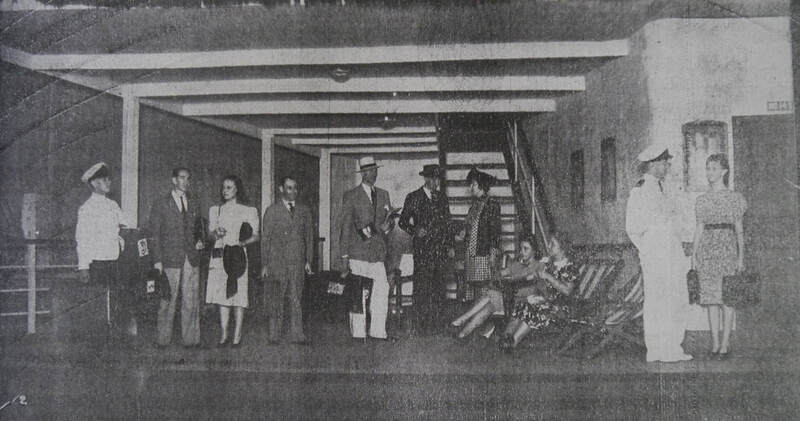 Below, going ashore at Sydney. Alfred Hulley. George Wilkie, Barbara Salmon, Alfred Millem, Duncan Coward, Richard Gardiner, Gwellyan Coward, Pamela Bowles, Marjorie Forrest, Peter Neale and Daphne Brown. Gallyott & His Hot Shots will provide the music. ​with her partner Maurice Collette. Mr E. Haque, Deputy Inspector for Urdu and Hindi Schools, Upper Burma, Mandalay, on relief by Mr F.A. Faizi, is granted leave on average pay for four months preparatory to retirement on June 16th. Mr J. McSamuel, Senior Master, Government High School, Insein, is transferred from, Insein and posted as officiating Headmaster, Government High School, Kyaukpyu, vice U Ba U, offg. Headmaster, transferred. C.N. Wells,, Inspector of Police,, has been appointed to officiate as a Deputy Superintendent of Police owing to the departure on leave of U Kyaw Tun Zan, Deputy Superintendent of Police. R.P.W. Monteiro, Asst. Registrar, is, on return from leave, posted as Asst. Registrar, Appellate Side, High Court of Judicature at Rangoon, in place of U Kha, Asst. Registrar, proceeding on leave. A list of names of the guests who stayed at the Strand Hotel during the week ended Jan. 24th. ​Construction at Gyobyu on the Waterworks scheme is proceeding apace. 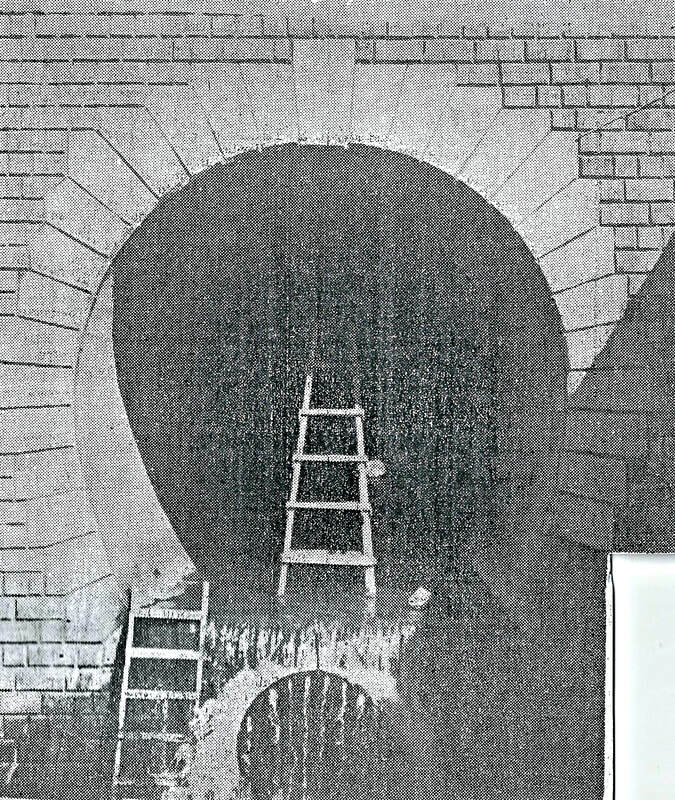 Left, the stream diversion tunnel 13ft. in height through the ridge on the left bank and two views of the coagulating basin. Left - His Excellency the Governor opened the new administrative building at the Zoo on Friday, he is with the Hon. Lady Cochrane and the trustees. Right - As he is leaving the new building with Mr Justice Dunkley, the President of the Society, followed by the Hon. Lady Cochran. There seems to be some misapprehension among a few people that the Burma Sappers and Miners are a regiment of labourers, perhaps because it is not sufficiently realise that the Sappers and Miners have to undergo the same training as that of the Infantry, states a Press communiqué. The Burma Sapper and Miners are Regular soldiers in the most complete sense of the word and in war time there is scarcely a more honoured position than that of Regular soldier. If the war proves long, what is called “the civilian armies” also come into it but in such a time as this, when a great war is in the stage of development, month by month, the Regular – Burman, British, Indian or of the Dominions – is in exact truth the saviour of the Empire. Sappers and Miners are not only soldiers but in a sense they are super-soldiers for they learn the weapons of attack and defence; they learn drill and tactics as well, like the Infantry Regular, such as the Gloucestershire or the Punjab Regiment and besides this they learn a trade which is of use in war or peace. The term “Sappers and Miners” sounds very soldierly to the soldier’s mind, but may suggest digging and only digging, to the civilian mind. The regimental title, like other regimental titles, such as Lancers and Fusiliers, is somewhat a relic of the past. As for actual sapping and mining, in the sense of burrowing towards the enemy’s trenches, it is done by all who have to. And most certainly by infantry. If Infantry can get sapper help in making a sound technical job of trenches or mining, they naturally do so. Any notion that the Sapper is particularly used for digging and carrying is ridiculous. The Burma Sappers and Miners were first raised on July 9th 1887. They saw service in the Chin Hills in 1888 and in Mesopotamia during the last war. They also served in Afghanistan after the war. When Burma was separated from India, the Corps became the first all Burman unit in that non-Burmans were no longer recruited for it. Recruiting has been proceeding steadily since then and it is now nearly up to the full establishment of a Corps Headquarters and a field Company. During the early period, recruits do exactly the same work as those of the Infantry, such as drill, physical training, musketry, bayonet-fighting and education in English, with the only difference that they, in addition to normal work, have to learn one of the trades, such as carpentry, brick-laying or engine-driving. After the preliminary training they learn field-work, trench-work, bridging over land and water, making of obstacles, demolitions and other interesting subjects. After some years with the Corps they become very proficient in their trades, which are of great assistance to them to find suitable work when they leave the Army. While in the Army, if they show aptitude for a certain trade, they become artificers or skilled tradesmen, for which they draw extra pay. On enlistment, a recruit gets Rs. 16 a month and the pay rises as his service becomes longer and as he becomes more proficient in a trade. He gets free uniforms, free rations and free quarters. Sappers get more pay than infantry soldiers because they draw engineer pay in addition to their basic pay. In all races there are men who are suited to soldiering and others who are not. If a young Burman feels that army life is the one for him he can join the Burma Sapper and Miners resting assured that he will enjoy all the honour of a soldier’s calling. Deputy Conservator of Forest, N. Toungoo Divn. Apply to:- H.W. Warner, O.S.D., for Commissioner of Police, Rangoon. Apply to:- Major W. McAdam, I.M.S.
​Apply to:- F.G. Oliver, Supdt. in charge. Apply to:- A.E. Mann, Chief Engr. ​Mr J. 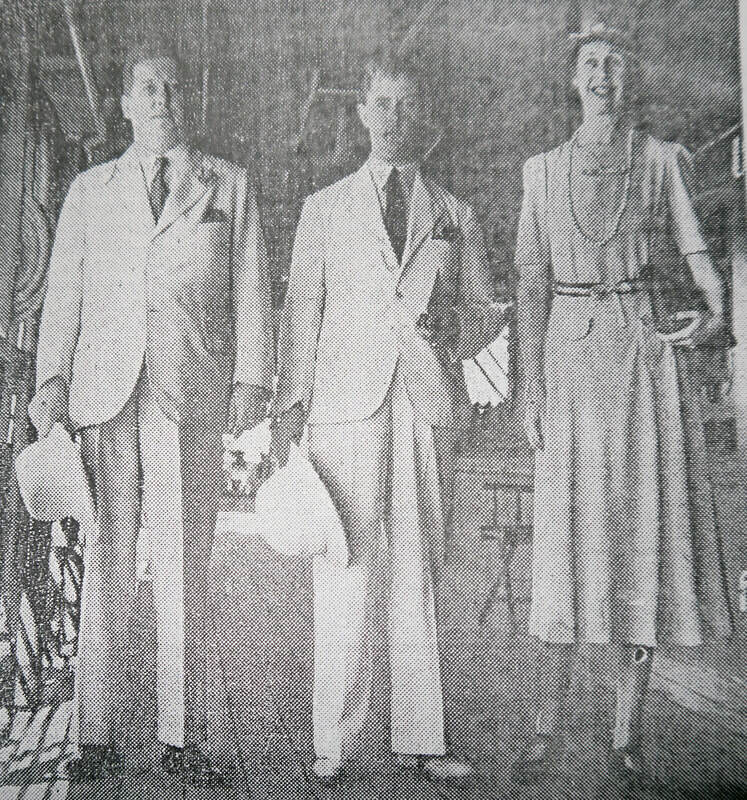 Basil Blagden, Barrister-at-law, who is to be sworn in as a Judge of the High Court on Monday, arrived in Rangoon yesterday [16th Feb.] accompanied by Mrs Blagden. He was met at the wharf by Sir Ernest Goodman Roberts, Chief Justice, Mr Justice Sharpe and Mr J.B.G. Bradley, I.C.S., Registrar of the High Court. H. Andrews (25) an Anglo-Burman fitter working in the Rangoon Corporation workshop and residing at no. 70 Awba St., Tamwe and Maung Hla Maung, an electrician, living in the next house, were removed to hospital in the early hours of Tuesday morning [13th Feb.] They had been assaulted with dahs by a group of two or three Burmans. According to Andrews he was watering some plants outside his house earlier in the night when he was set upon by the Burmans. Maung Hla Maung, his neighbour, came to his aid and he also was attacked. He was unable to say why they were attacked. Andrews was injured on the head and hands and was admitted into the wards. Maung Hla Maung was cut on the head and after his injury was dressed he was sent home. The names of the alleged assailants have been given to the police. Dr. A.J. De Souza, of the Rangoon General Hospital, lodged a report with the Latter Street Police yesterday concerning the theft of over Rs. 300 worth of jewellery from his room in the doctors’ quarters. A meeting of the managing committee of the Burma Amateur Billiards Control Association was held at the Customs Club yesterday with F.A.I. Richardson, Vice-president in the chair. There were also present:- U Ba Sin, T. Eng Chwan, E.O. Millar and Ben. A. Shadrack Hony. Secretary. It was decided to organise a Triangular Relay Amateur Billiards Tournament ... the three communities represented will be the Burmese, Chinese and the Anglo-Burmese. U Ba Sin, Amateur Billiards Champion of Burma and U Gaw Ya will represent the Burmese community, T. Eng. Chwan and partner, the Chinese community and E.O. Millar and T.E.M. Cameron the Anglo-Burmese community. ... prices ... Plans will be open at Messrs. Misquiths shortly. ... Lastly, gentlemen, may I be allowed to express my very sincere thanks to the gentlemen of the retiring committee ... and to Mr Blackadder during the past year for having acted as Honorary Auditor to the Society. ... ​The election of the office bearers then took place. ​Before the meeting ended ... Rev’d. Mr Liddell expressed the retiring committee’s appreciation of Mr Hepburn’s work as President. Mr Hepburn, he said, had been faithful in his attendance at all meetings and had give the best of his attention to every detail. As Convenor of the Case Committee, Mr Hepburn had brought the benefit of his advice whenever the Committee had felt that more valued advice was needed. The meeting passed a vote of thanks to the officers of the Rangoon Battalion R.A.F. for lending their premises for the use of the meeting. Rev’d. R.H.R. Liddell, M.C., M.A. During the year J. Blackstock and W.S. Mitchell proceeded Home on leave and their places on the Committee were taken by J.G. Rollo and E.C. Fleming. In July R.T. Elliot tendered his resignation as Hon. Secy. and E.C. Fleming was elected Hony. Secy. in his place. Later in the year W. Stuart-Smith was obliged to resign from the office of Hony. Treasurer owing to his being called away to the A.B.R.O. at Maymyo. The vacancy on the committee was filled by G.H. Paterson, who also took over the duties of Hony. Treasurer. ... At the close of the thirteenth year the Society’s activities the membership stands at 260 composed of 25 Life Members and 235 Annual Members. As a result of sixteen new members being enrolled during the year our numbers have been more or less maintained but the Committee would again stress the importance of every member endeavouring to obtain new members. The Society sustained a great loss in the tragic death during the year of Mr Herbert Smiles, one of our Past Presidents. We have also to record with regret the death of Mr H.F. Leslie. The following Case Committee was appointed for the year:- Rev’d. R.H.R. Liddell (Convener) Dr. A.D. Broatch and R.T. Elliot. In the second half of the year E.C. Fleming too the place of R.T. Elliott on this committee. During the year assistance was given in eight cases involving an expenditure of Rs. 2,412-12-9. 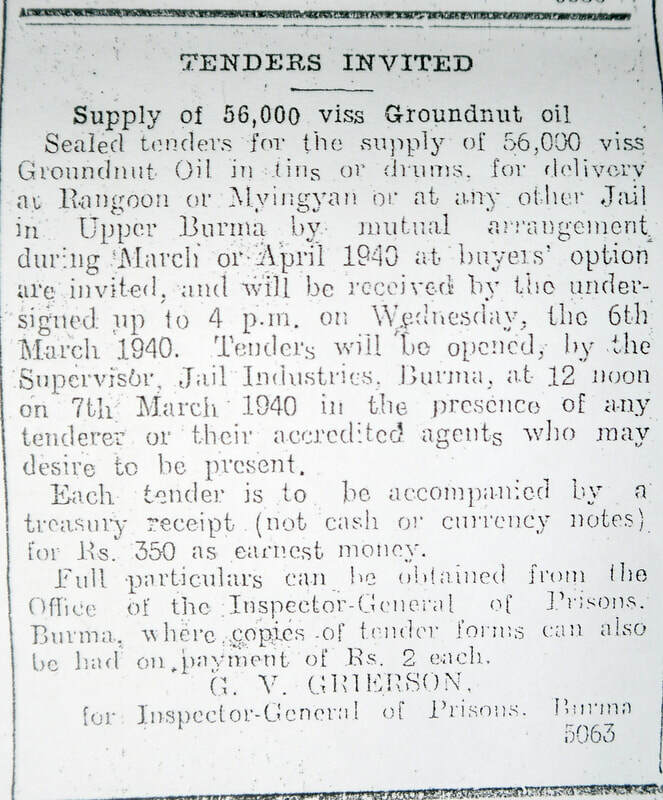 Cost of granting temporary relief in Rangoon to a family of three and subsequently sending them back to India. 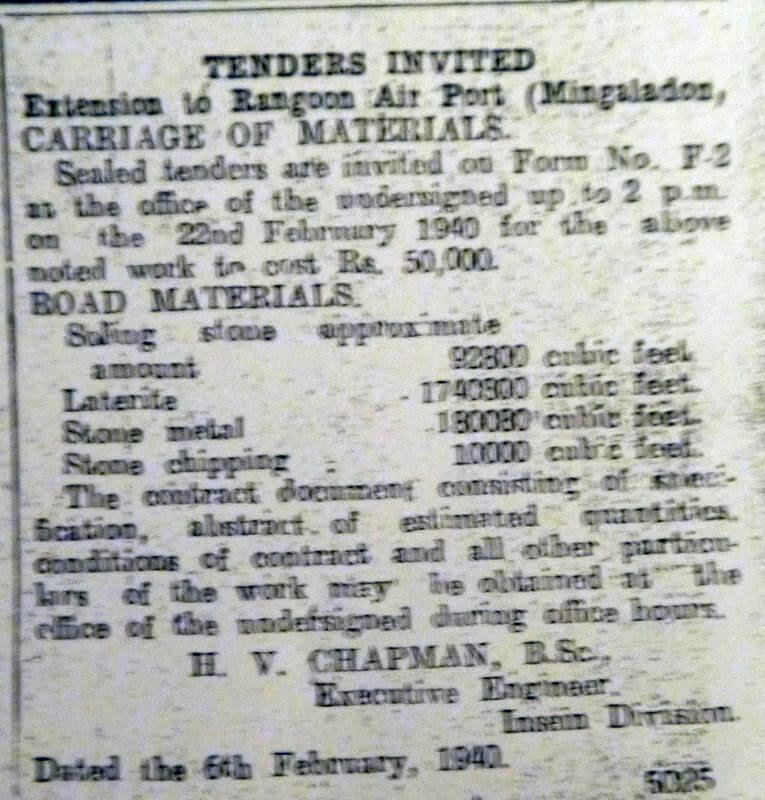 Temporary relief afforded to Scots in straitened circumstances in Rangoon. During the year the Society received a donation of Rs. 400 from the Trustees of the Rangoon Club, which was wound up and the assets distributed to local charities. The Committee wish to record their thanks and sincere appreciation of this handsome donation. ... a letter from the Scottish Branch British Red Cross Society appealing for contributions to their War Fund and it has been decided that £50 be sent meantime. ... Donations sent to the Hony. Treasurer, G.H. Paterson, the Irrawaddy Flotilla Co., will be forwarded to the Scottish British Red Cross Society. The annual general meeting of the B.K.A. was held yesterday evening at the offices of Messrs. Fairweather, Richards & Co. with Mr R. Clarke Glover in the chair. Reading the committee’s annual report Mrs M. Durrad, the Hony. Secy., said “Ladies and Gentlemen ... The year under review has undoubtedly been a progressive ... total membership of 102 to Oct. 1939. The sixteenth Championship Show was held in the B.A.F. Drill Hall ... with Mr A. Dalzell from Ireland as judge. This ​financial success was in the main due to Mr Palmerino’s generous efforts towards the show funds and the Committee’s gratitude is recorded. ... Your Committee would like to record their warm wishes to Mr R. Clarke Glover who gives unstintingly of his time to the chair ... and his services as Hony. Veterinary Surgeon on the occasions of the Shows. Without his continued interest the Association would be so very much the poorer. It is the earnest wish of the members that Mr Clarke Glover will consent to stand for the re-election as President of the Association. Committee:- Mrs A.T. McQueen, S.A. Christopher, J.W. O’Reilly, P. Palmerino, G.E. De-Bern, B. Misquita, B.R. Peacock and U Ba E.
Lady June Hobson has kindly helped in securing the honorary services of Dr. Alan Murray, Dr. Burgess-Barnett, Mrs Anderson, Mrs MacQueen, Miss Briggs, Miss Thorton, Mrs S. Walker, Mrs Dingemans, Mrs P. Walker, Mrs McArtney, Dr. Mrs . Talwar and Dr. R.S. Dugal to lecture to or examine the many classes which people have been eager to attend. A class of Burmese ladies organised by Mrs Thein Maung, wife of the Advocate-General of Burma, is also taking a course of lectures in Burmese given by Dr. Ma Thein Nyunt. The work has been cheerfully undertaken by all concerned, but it must be acknowledged with gratitude that Dr. Alan Murray has done a great deal of the work of these classes and Capt. Ameen has continued his honorary services and has re-examined five of the Nursing Divisions and four of the school classes. To cope with the increased work Mrs McArtney, Mrs Dingemans, Mrs Macqueen, Mrs Anderson, Miss Briggs, Mrs P. Walker, Mrs S. Walker, Mr T.S.N. Rajan, Dt. T.G. Dharam and U Hla Gyi have been recognised as Honorary Lay Lecturers and have rendered useful help in lecturing to some classes. His Excellency is with Mr Justice Ba U, President of the Society. Flowers grown in pots, baskets etc. Under the auspices of the Science Masters’ Assoc. Mr W.H. Eva, Inspector of School, will give a talk to science masters on the proposed new syllabus in science at 4.30 p.m. tomorrow at St. Paul’s High School. At the Rangoon Rotary Club dinner at the Strand Hotel at 8 p.m. today, Mr Dunkley, the President, will speak on “Rotary in Burma,” the Rev’d. J. Tyndale-Biscoe on “Rotary and Youth“ and Mr H.W. Bryant, Rotary International Secretary, on “Rotary in Wartime.” The speeches will be broadcast. U Pu, the Premier will be the chief guest of honour. At the tea picnic at Mingaladon on Sunday at 5 p.m. members and guests will have occasion to inspect the new transmitting plant installed at the Mingaladon Wireless Station. 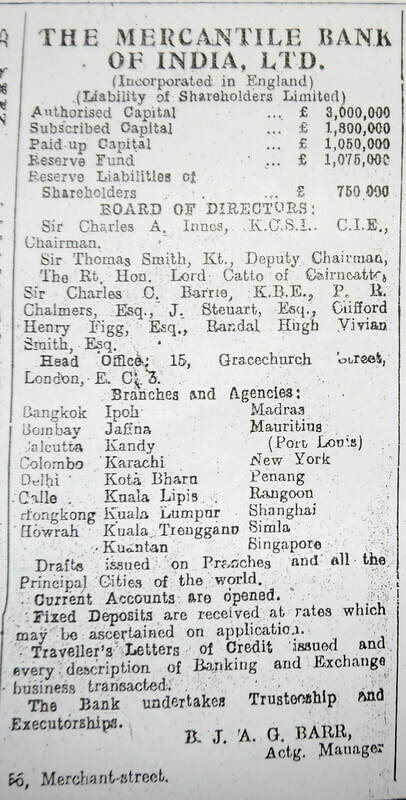 Under the auspices of the Burma Society of Accountants, Professor I.R. Andrus, M.A., Ph.D., Professor of Economics, University of Rangoon, will lecture on “Exchange” the second lecture of the series, at 7 p.m. today at the Burmese Baptist School. Corner of 18th and Canal Streets. Admission is public. 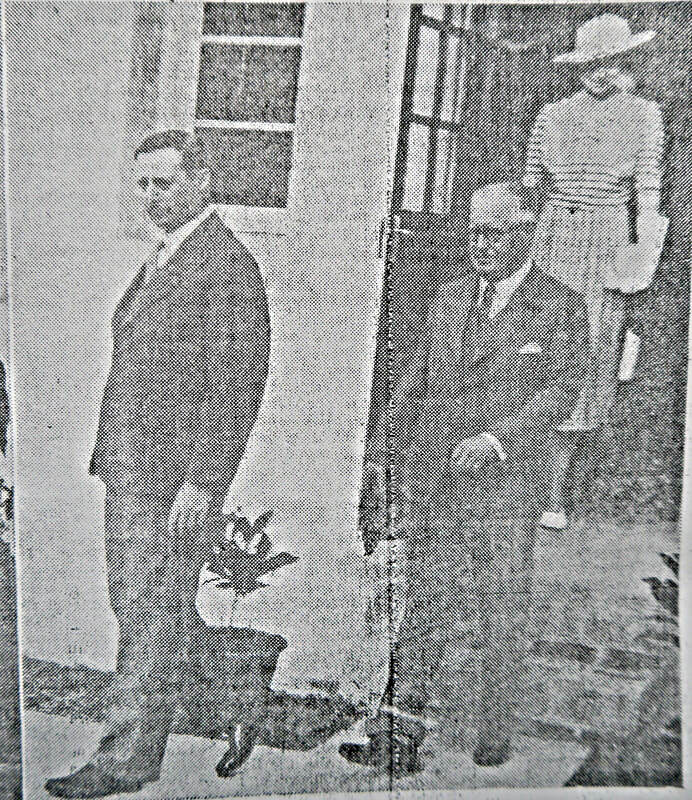 De Souza - At Chindoo Roy’s Clinic, on February 12th 1940, to Rosey, wife of Mr M. Joseph de Souza, Port Commissioners, Rangoon, a son. Donald - At Mandalay on February 15th 1940, to Rosamund (nee Matthews) wife of A.A. Donald, Imperial Police, a son. Hayden - On February 11th 1940, to Joan (Watson) wife of D.J. Hayden, a daughter. D’Rosario – to Marie, (nee Gonsavles) wife of J.M. D’Rosario, of Messrs. Chas. R. Cowie & XCO., Rangoon, on Wednesday, February 21st 1940, at the Rangoon Dufferin Hospital, the gift of a son. Both well. Menon - At Chindoo Roy’s Clinic on February 15th 1940 to Dhakshayani, wife of Mr C. Gopal Menon, Port Commissioner Office, Rangoon, a daughter. At Rangoon on February 17th 1940, Derek Watkin Parry to Beryl Dorothea Inez Jackson. ​U Sein, Manager, Saithan Press, and Ma Nyun Khin, daughter of Dr. J.D. Rodreguez, of The Grange, Payagone, Syriam. Mrs Atkinson (Daw May) dearly loved wife of J.W. Atkinson, at her residence at no. 9 Keighley Ave., on February 16th 1940 at 6 p.m. Funeral at 4.30 today [17th Feb.] from the above address to the new Kemmendine Cemetery. At Maymyo on February 12th 1940, Franck Alfred William Coutts, Driver, Burma Railways, suddenly of heart failure, husband of O.L. Coutts. Mrs Godber and family thank all friends for their messages of sympathy and floral tributes sent in their recent bereavement and regret their not being able to reply to them individually. The family of the late R.H. White sincerely thank all relatives and friends for their kind assistance, also the officials and office staff of the Chief Railway Commissioner’s office for their messages of condolences and for all floral tributes received in their recent bereavement. Whittam - In loving memory of Vernon Hector, who departed this life on February 17th 1929. Inserted by his parents, brothers and sister. De Lastic - Sacred to the memory of my brother Sandow. 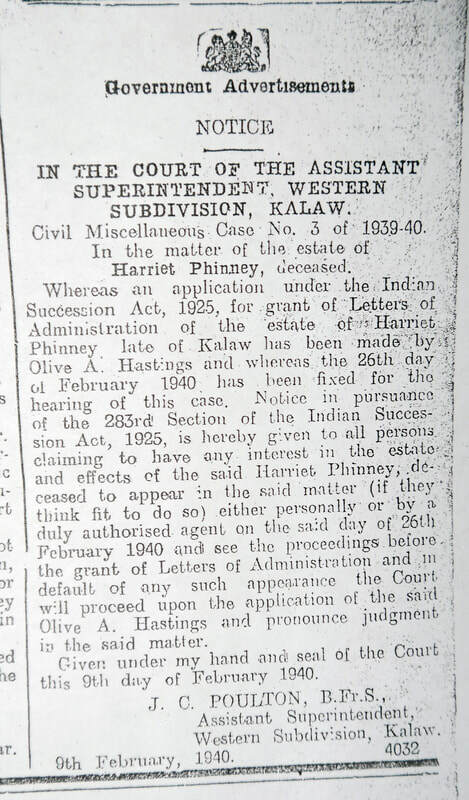 ​Estate of Harreit Phinney, deceased. ​Letters of Administration have been made by Olive A. Hastings. 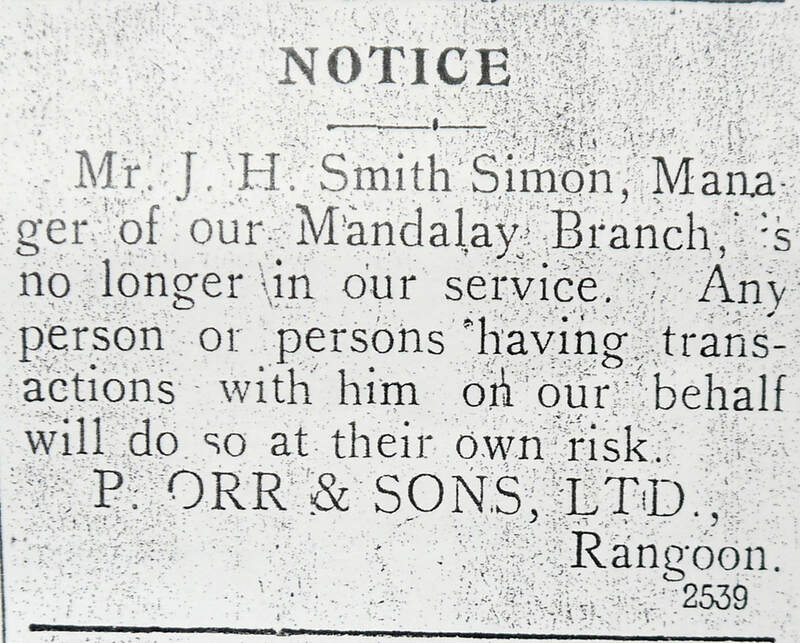 Notice placed by J.C. Poulton, B. Fr. S., Kalaw. held on Mar. 8th ​at the Jubilee Hall in aid of war and local charities. Left to Right: K. White, A.M. Joshua, V. Archer, L. Marcel and D. King. White, Marcel and King are champions at their respective weights. 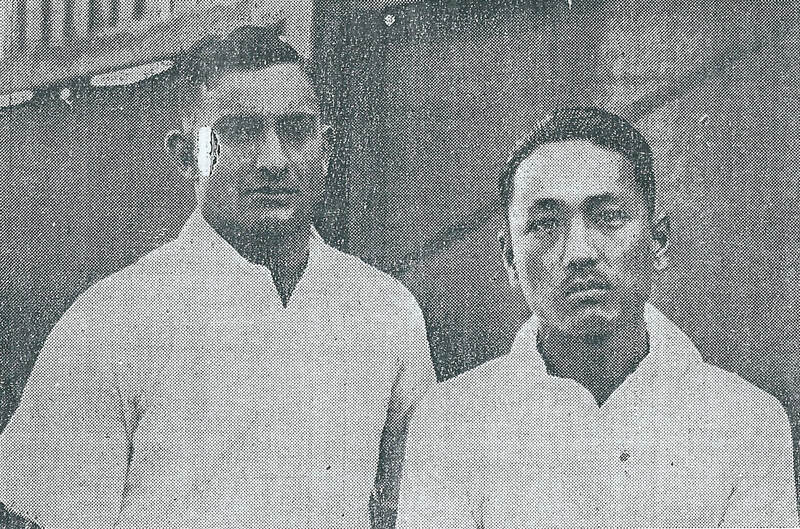 V. Archer, (left) of the Rangoon Gazette Sports Club, meets L.-Cpl. Morton, of the Glosters, on Mar. 8th at the Jubilee Hall. 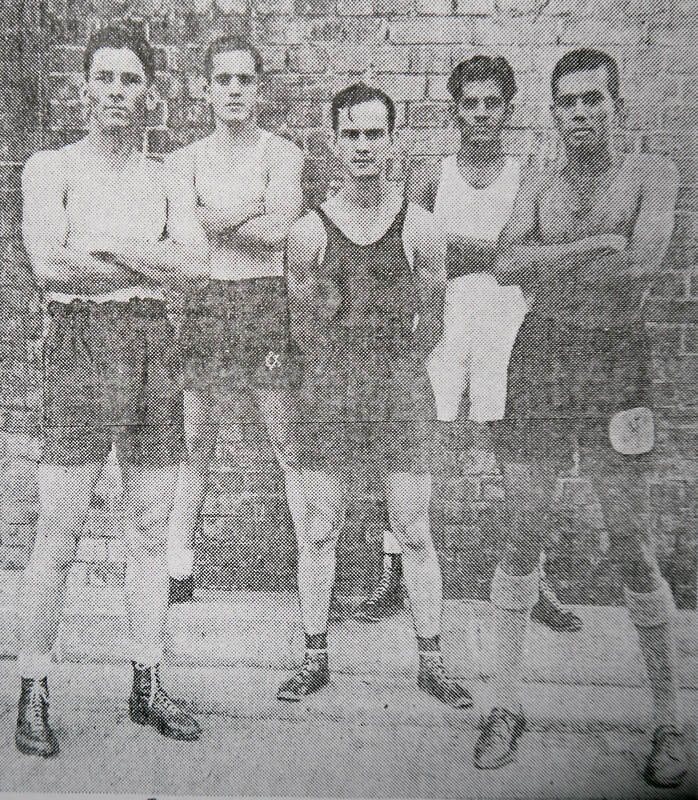 Boxers from the Gloucestershire Regt. who will participate in the forthcoming Amateur Boxing Tournament which is being organised in aid of war and local charities. Standing:- L-R: Bandsman Fudge, Pte. George, Pte Sparrow and Pte. Small. Seated:- Pte. McKenzie, L.-Cpl. Herbert and Drum-Major Metcalfe. S.C. Johnstone of the City Fire Brigade who meets Saw Nena in the tournament in aid of war and local charities. Both are hard hitters and the contest should be interesting. at the tournament to be held on Mar. 8th at the Jubilee Hall in aid of war and local charities. P. Jackson, Unattached v Purma Bahadur, 1st Bn., B.M.P. L. Marcel, Rangoon Gazette S.C. v Gwa Bahadur, Insein Dist. Police. Saw Hardie, 2nd Bn. B.M.P. v K. Steele, Unattached. Saw Malaki, 2nd Bn. B.M.P. v Maung Soe Myint, Hanthawaddy Dist. Police. V. Archer, Rangoon Gazette S.C. v Sergt. Edwards, Glosters. J. Cotter, H.M. Customs v Pte. Lewis, Glosters. Al. Lutter, Rangoon Field Brigade v L.-Cpl. Gill, Glosters. A. Simpson, Irrawaddy Flotilla Co. v Pte. Small, Glosters. ​L.J. Hosie, Unattached v Pte. George, Glosters. R. Campagnac, Rangoon Field Brigade v Drum Major Metcalfe, Glosters. H.C.G Brown v Pte. McKenzie, Gloters. J. Allan, Rangoon Field Brigade v L.-Cpl. Herbert, Glosters. K. White, Rangoon Gazette S.C. v L.-Cpl. Fitzsimmons, Glosters. 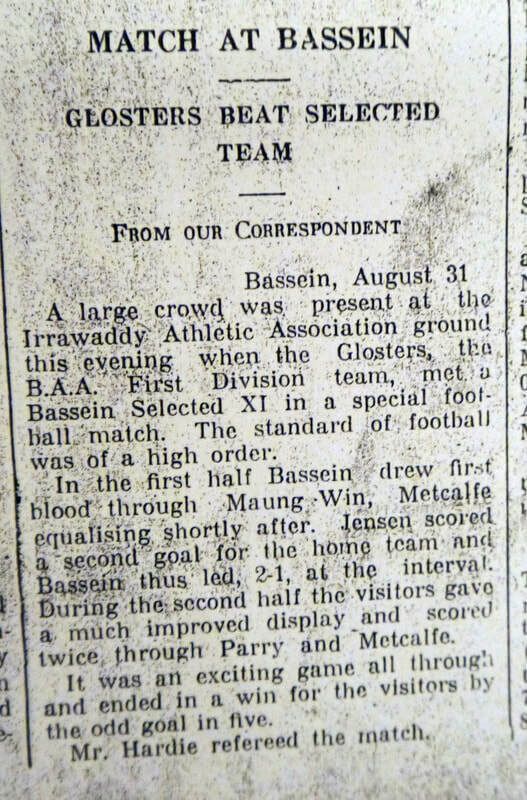 D. King, Rangoon Gazette S.C. v Bandsman Fudge, Glosters. Sergt. Morton, Glosters v Pte Shipway, Glosters. J. Writer, Unattached v Pte. Haines, Glosters. The Kokine Swimming Club’s annual half mile race took place in the Club’s pool on Saturday. J. Burgess Barnett (left) was the winner, creating a new record of 14 mins. 15 secs. T.J. Gibson (right) was second. The third competitor was L. McK Taylor. 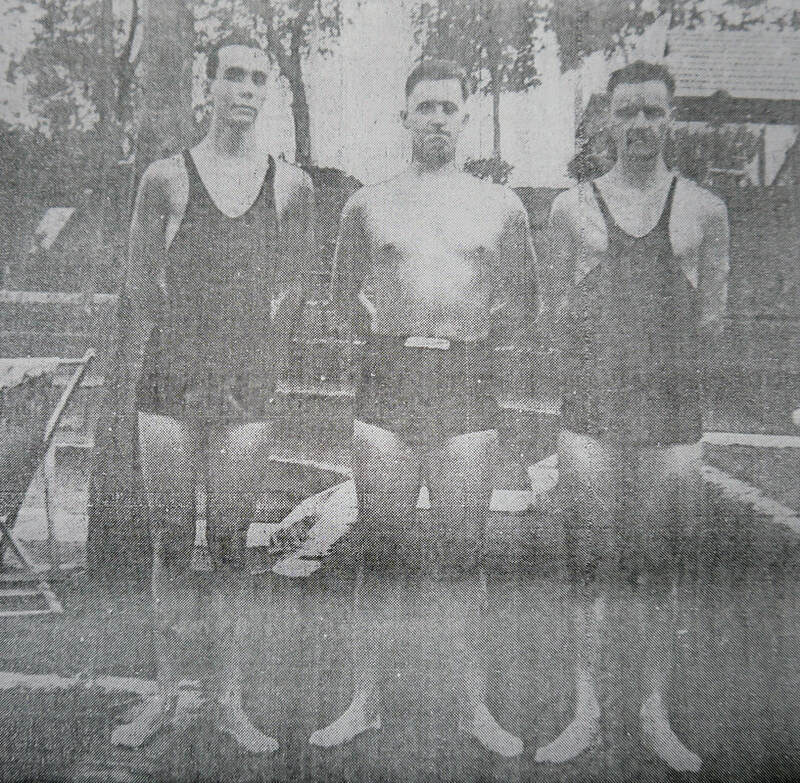 ​With J. Burgess Barnett winning the Kokine Swimming Club’s annual half-mile event in the Club’s pool in 14 mins. 15 secs. on Saturday evening, a record of eleven years’ standing was broken. The former record stood at 15 mins. 7 secs. created by B.E. 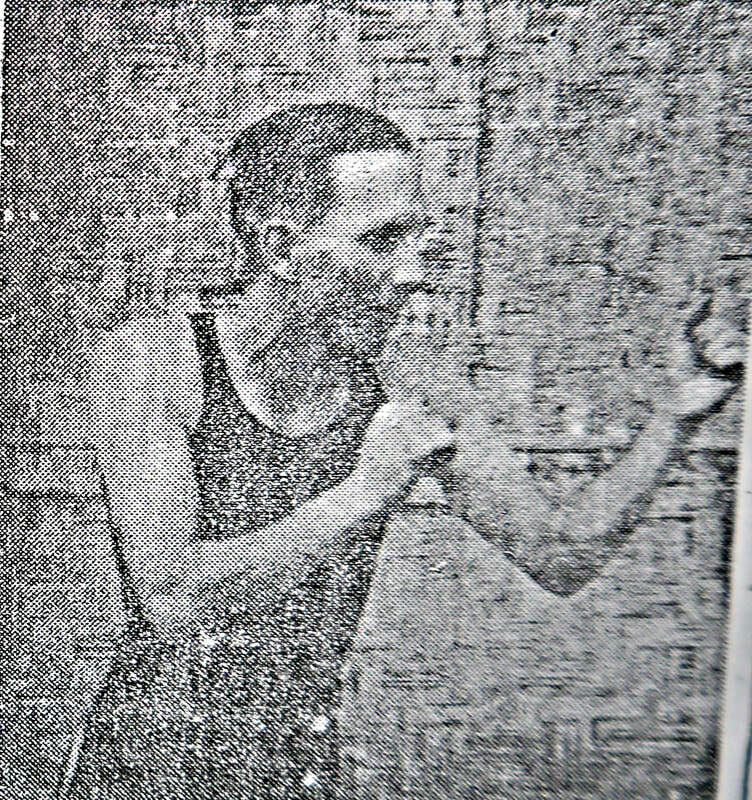 Jackson in 1929 when the half-mile swim was done in the Kokine Lake. The second man home, T.J. Gibson, also covered the distance in better time than Jackson, clocking 14 mins. 50 secs. He finished about a length behind Burgess Barnett. The course was 26½ lengths of the Club’s pool. Three competitors lined up for the start, Burgess Barnett, Gibson and L. McK Taylor. Burgess Barnett, taking the lead from the start, received little or no competition and led from start to finish. Throughout he swam strongly and with confidence and gradually increased the distance between himself and Gibson to a full length. Taylor was never in the race at all, but sportingly continued to swim even though the other two men had completed the course. He began his 21st length as Gibson came home. His effort was recognised by the spectators who applauded him warmly. San Win and H. Tin Ogh beat U Cho and D. Cho, 6-1, 3-6 6-1. Chit Ko Ko and Reg. Simons beat M. Wooten and V. Simons, 6-1, 6-2. D. Westrap and B.K. Berry beat Ba Aye and Khin Maung, 6-3, 6-4. J.H. Diekmann will meet G. Kyi Maung in the second semi-final of the Men’s Singles. Mr & Mrs F.A.I. 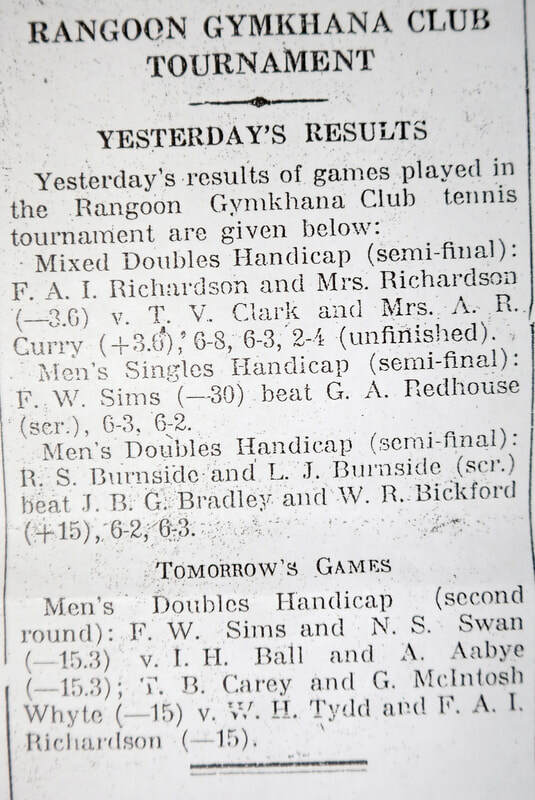 Richardson beat Mrs H. St John Clay and H.C. Baker, 6-2, 6-3. R. Schultz beat G. McIntosh Whyte, 9-7, 6-0. R.H. Tasker beat S.C. Bryant, 5-7, 6-3, 6-2. R.S. Burnside and L.J. Burnside v S.C. Bryant and A. Conway. Dawson and Aseevatham beat Thudmee and Lall, 6-0, 6-1. Dawson beat R. Singham, 6-3, 8-6 & Maybury beat Peachey, 6-0, 6-1. San Win and H. Tin Ogh beat D. Westrap and B.K. Berry 7-5, 6-0. ​Chit Ko Ko and Reg. Simons beat Dr. J.V. Roberts and Ba Kyi 1-6, 6-2, 6-2. Today’s Game - Men’s Singles - Reg. Simons v G. Kyi Maung. Mrs R.C. Morris and F.G. Bestall beat Mrs W.M. Hodge and Capt. H.B. MacEvoy, 6-3, 6-4. T.B. Carey beat R.H. Tasker, 6-3, 6-2. R. Schultz beat L.F. Cantlay, 6-0, 6-3. Men’s Doubles – Winners, San Win and H. Thin Ogh; runners-up Chit Ko Ko and Reg. Simons. Mixed Doubles – Winners, D.H. Hopkins and Miss M. Thorpe: runners-up W.R. Pears and Mrs B. Lidbetter. F.A.I. Richard and Mrs Richardson and T.V. Clark and Mrs A.R. Curry. F.W. Sims and G.A. Redhouse. R.S. Burnside and L.J. Burnside and J.B.G. Bradley and W.R. Bickford. Asirvatham beat Eusoof, 6-3, 7-5 ; Wren beat Everden, 6-2, 6-4 ; Mayberry beat Asirvatham, 6-2, 6-4. W.H. Tydd and F.A.I. Richardson beat T.B. Carey and G. McIntosh Whyte. Today's game - Men's Singles Handicap (final) F.W. Sims v R. Schultz. 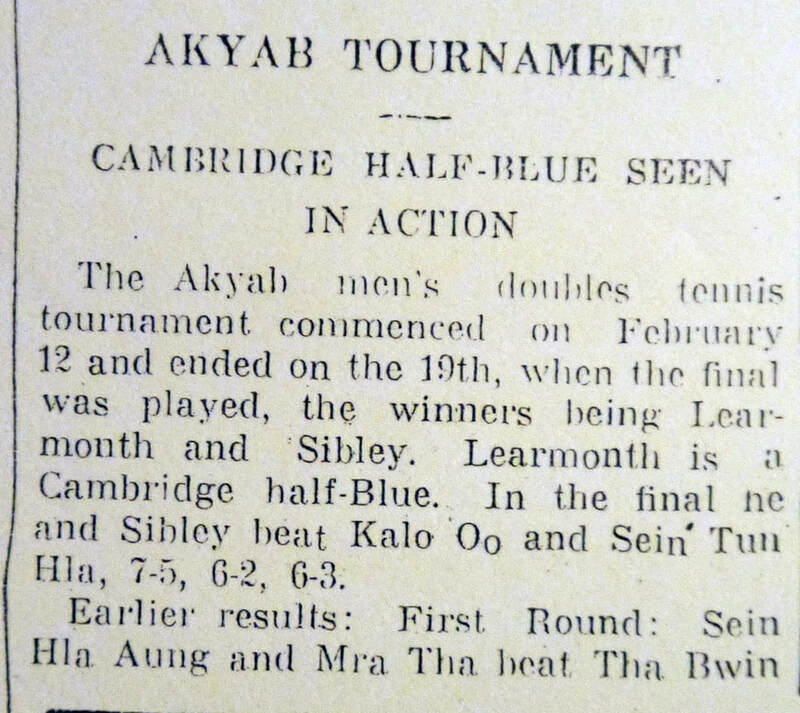 The Men's Doubles Tennis Tournament commenced on Feb. 12th and ended on the 19th, when the final was played, the winners being Learmonth and Sibley. Learmonth is a Cambridge half-Blue. Murrel and Brooks beat Michel and Seal - Kala Oo and Sein Tun Hla beat Marden-Ranger and Kyaw Ban. The results of marches in the second round .. In the final of the Fleming Trophy, A. McLaren and Mrs McLaren beat G.S. Nicoll and Mrs Nicoll. Mrs J.G. Clarke, 35 points. A Farewell Competition and Tea for Mrs J.H. Willson will be held on Thursday, 29th February. Members wishing to attend should communicate with the Hony. Secy., Mrs A. McLaren, 11, Churchill Ave. Tel: Central 1039. ​Heaton, Dawson, Ferguson, Geraghty, Johnson, Stone, Hamilton x 2, Trutwein, Walker, Richardson, Tripp, Bush, David T. Hla, Carey, Milne, Oxbury, Marsh, Bruce, Campbell, McLaren x 2, Butcher, Stewart, Hunter, Murray, Smart, Drinkall, Clare, McDowall, Pyatt, Ponsford, Crabbe, Edmeades, Horrocks x 2, Jones, Peek, Valentine, Wetherfield, Treston, Millar, Martin, Bush, Philips, Wright, Panton x 2, Polglase, Brodie, Thom x 2, Hall, Columbine, Groves x 2, Willson x 2, Houlding x 2, Gibson x 2, Edwards x 2, Ford, Owen, Kirkwood x 2, Otter, Irving, Althorpe, Fleming, Lusk, Grant, McDonald, Muir, Pudden, Petch, Rennick, Yarnold, Needham, Ferguson, Gaunt, McCulloch, Nunn, Hodgson, Loveland, Walker, Gilmour, Campbell, Burgess, Parson, Stewart-Smith, MacQueen, Major Smith, Stone, Millar, Ponsford, Pyatt, Grey, Conway, Richardson, Oxbury, Steer, Cheyen, Young, Everard, Cree, Holmes, Panton, Crabbe, Mitchell, Frame, Fraser, Geraghty, Murray, Martin, Bush, Brodie, Hepburn, Tweedie, Morton, Davidson, Ford, Pendrich, Waters, McLaren, Marsh, McConochie, Bush, Hall, Smart, Irving, Columbine, Drinkall, Millar, Smith, Penn, Heaton, Butcher, Lee, Watson, Stewart, Swan, McDowall, Hunter, Murray, Dunkley, Forrest, Strong, Wise, Tait, Jones, Mitchell and Otter. 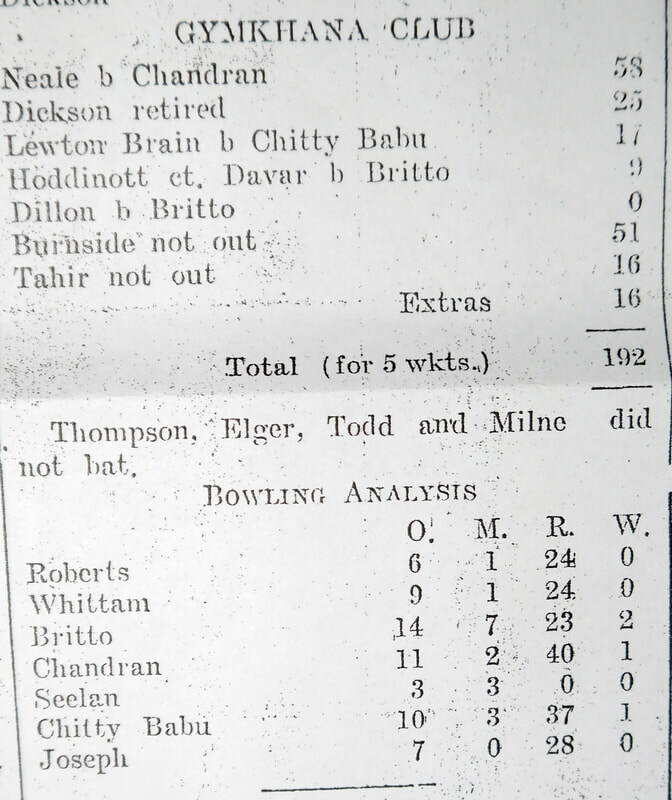 Whittam, Elger, Chitty Baboo, Milne, Neale, Dickson, Chandran, Burnside, Britto, Roberts, Tahir, Sivaraj, Joseph, Davar, Barucha, Sylvester, Thompson, Lewton Brain, Hoddinott, Dillon, Todd and Seelan. 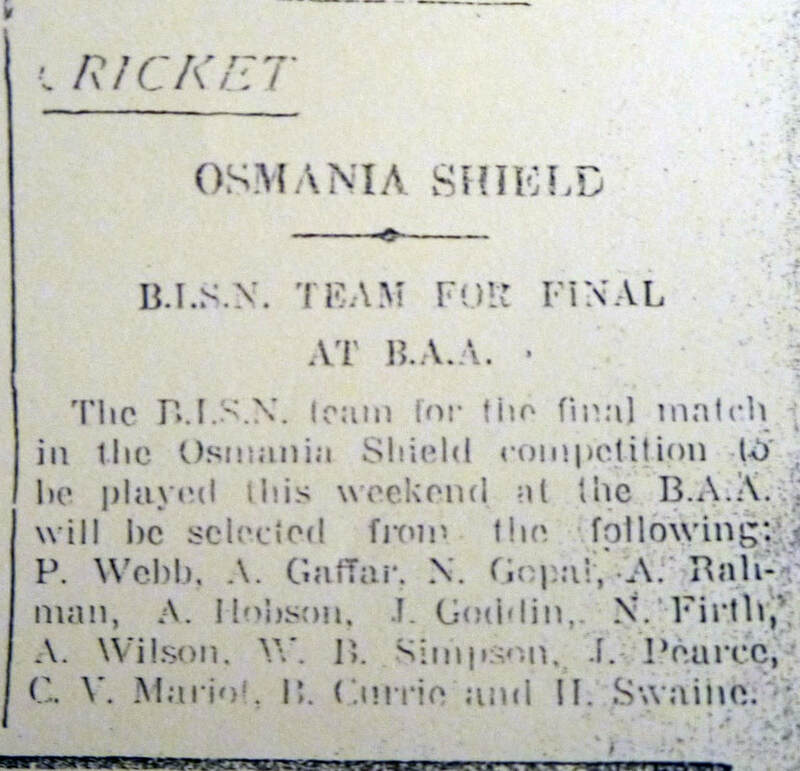 The match between the B.I.S.N. 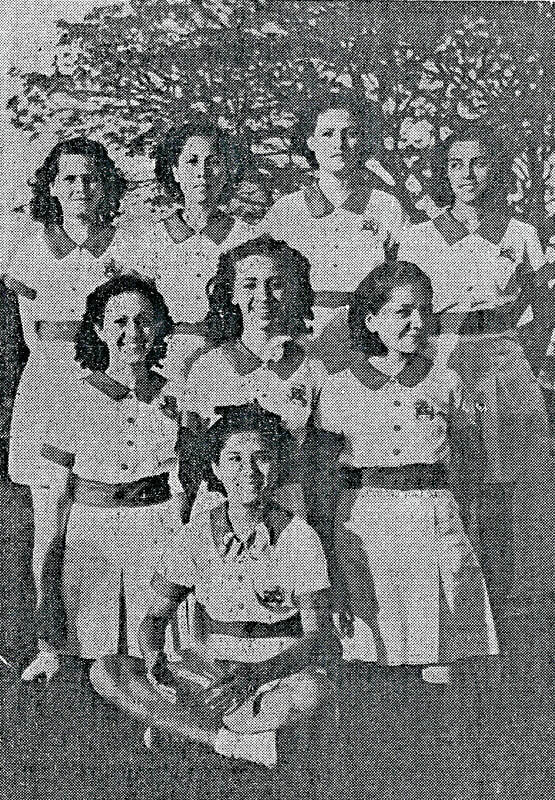 S.C. and Randeria S.C.
P. Webb, A. Gaffar, N. Gopal, A. Raliman, A. Hobson, J. Goddin, N. Firth, A. Wilson, W.B. Simpson, J. Pearce, C.V. Mariot, B. Currie and H. Swaine. Mr Greenep, who was injured has since ​been admitted into hospital. Mr D. Patrick’s “Polly Flinders” Ba Yin Glay up, which won the McDonnell Cup at the races on Saturday. High Jump – 5ft. 4in. Putting the weight – 31ft. 3in. Representatives of “B” Coy. 12th Battn. Burma Rifles, B.T.F. winners of the Inter-company basketball. ​winners of the Inter-School Scout Swimming and Diving competition at Moulmein. When the primary competition opened, it was with the expectation that all of the fifteen choirs were competing for one cup, the Y.M.C.A. Musical Cup, kindly offered by Mr M.G. Brookes, but Lady Paw Tun very kindly offered to present a second cup for the highest primary age-group and her offer was most enthusiastically received. The shield for the English High School section was donated by Mr V. E. Martin, in memory of Doris Lackersteen Martin, and the shield for the Anglo-Vernacular High School section by Miss M. Bowlby. The two shields for the Anglo-Vernacular and English Middle School sections were donated by Mr P.B. Quinlan. The following judges very kindly served both the forenoon and afternoon competitions: Miss M. Franklin, Inspectress of schools, Mrs Rickard and Mrs Q. Wisehan. Mrs Rickard spoke briefly on the improvement made by the choirs since the competition was first held two years ago and offered suggestions for further improvement. Lady Paw Tun expressed her appreciation of the work done by the choirs and presented the awards. ​St. Philomena’s Convent - Prome Rd. won the Seniors’ flat race. ​swimming under water (open) and style and stroke (novelty) events. Re-opening Ceremony of newly re-built premises. C.W. Carleton, c/o Fairweather Richards & Co.
F. Allsop, Divnl. Forest Officer, Insein Divn. Bungalow no. 15, Highland Ave., with electric lights and sanitation. Apply no. 119 Judah Ezekiel St.
Dachshund male dog over eight months. To buy or willing to give home whilst owner on leave. Apply, Glover, University Avenue. Thomson's Art Gallery, 376, Dalhousie St.
Blake, "Russell Sq.," Forest Rd., Maymyo​. Adverts. placed anonymously and by Blake "Russell Sq." Forest Rd., Maymyo. ​E.L. 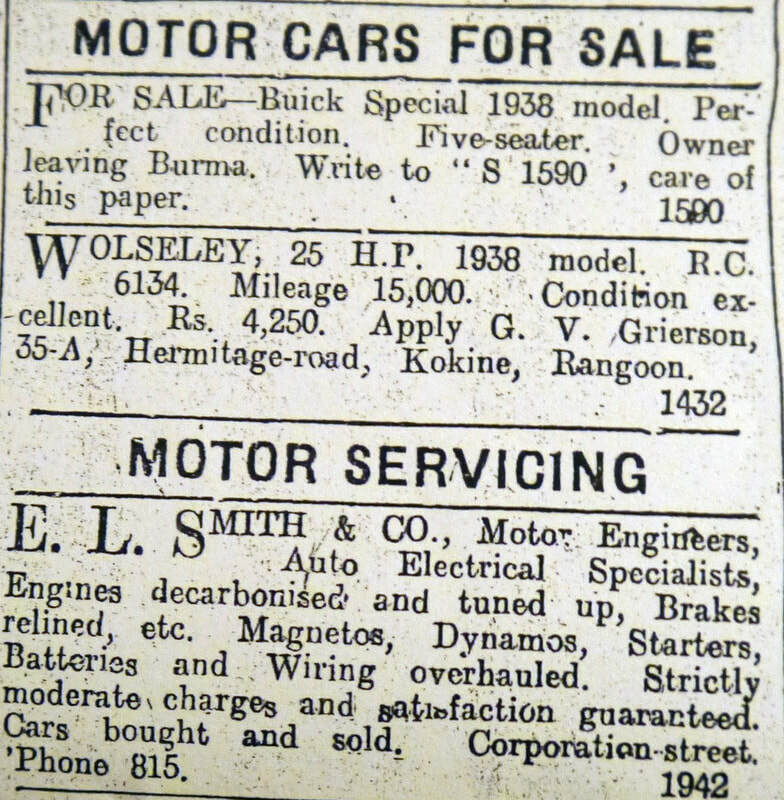 Smith & Co. also have cars for sale. Property to let, by C. Khay Gwan Bros. J.W. 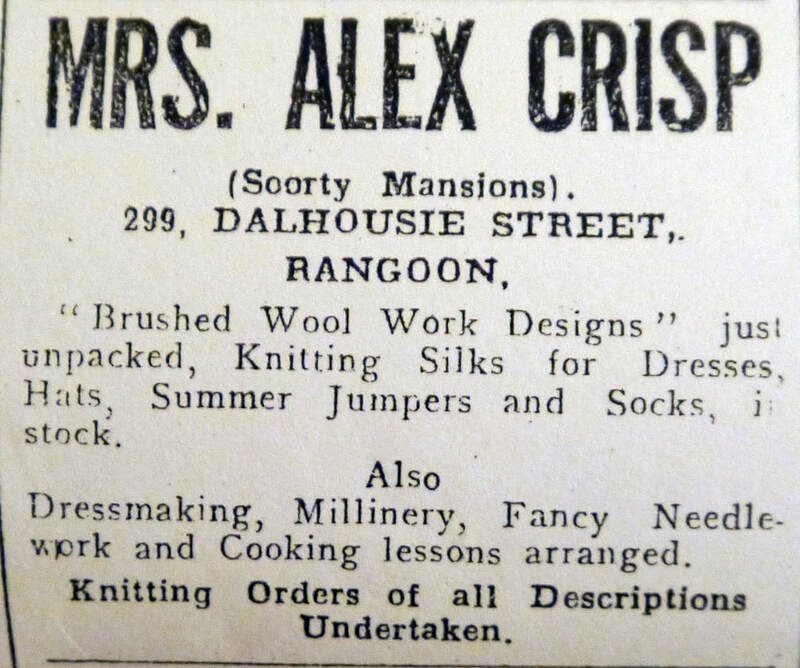 Darwood & Co.
​Finlay Fleming & Co. and Mrs A.V. Joseph. Apply to:- G.V. 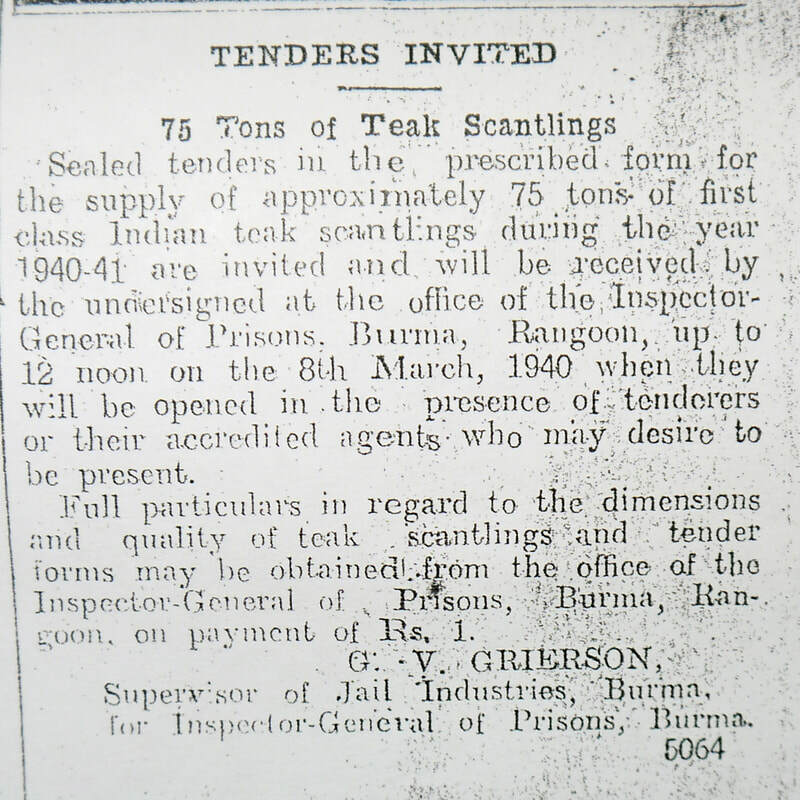 Grierson, Supervisor of Jail Industries, Burma, for Inspector-Genl. of Prisons, Burma. Apply to:- G.V. Grierson, for Inspector-General of Prisons, Burma. 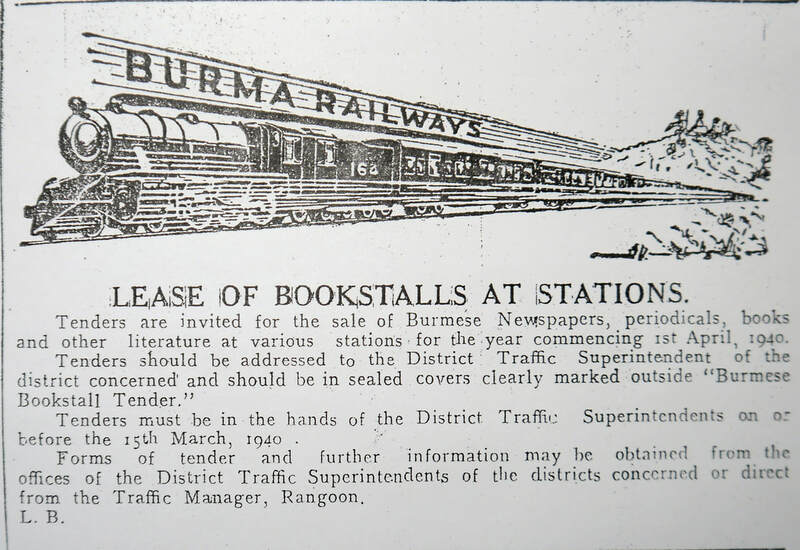 Apply to:- H. Rose, Superintendent of Stores, Burma Railways. Apply to:- Collins, Villiers St., Mingaladon. Apply to:- D.P. 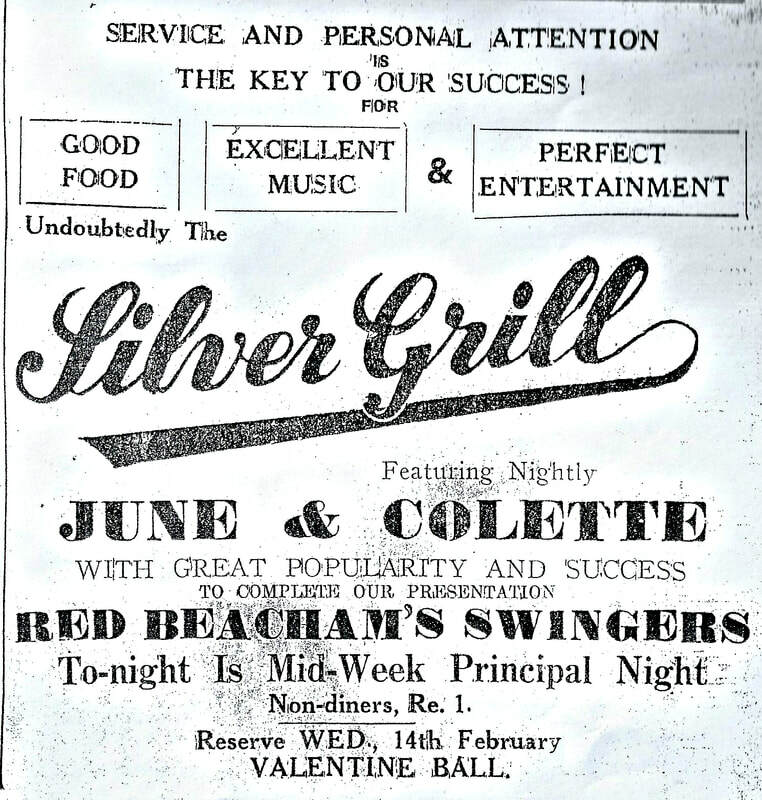 Kenny, Steel Bros.
& Belvedere, R. & B., Prome Rd. Geologist and Mining Engr. seeks employment. Apply to:- N.G. Raye? Silver Grill. 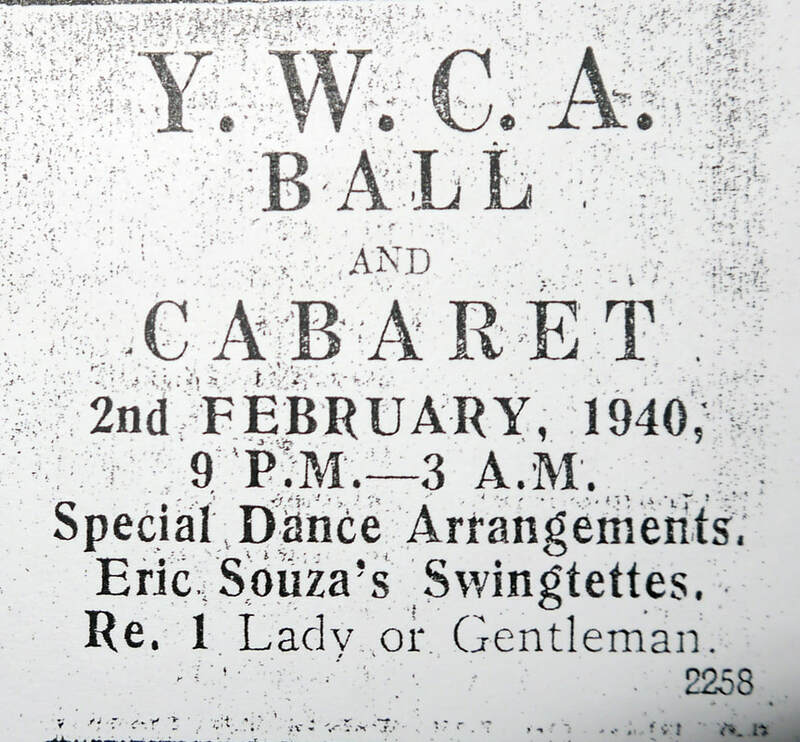 The Valentine Ball, with floor show and dancing, ​arranged by Mr Pete Arratoon. E.J. Hawkins, Sub-divnl. Officer, Telegraphs, Bassein, from Jan. 16th: P. Lazarus, Sub-divnl. Officer, Telegraphs, Rangoon, will hold charge of the Bassein Sub-divn. in addition to that of the Rangoon Sub-divn. with immediate effect. J.F. Evans, Engineering Supervisor, Construction, Toungoo, is appointed to officiate as Asst. Engineer, Telegraphs, and posted as Sub-divnl. 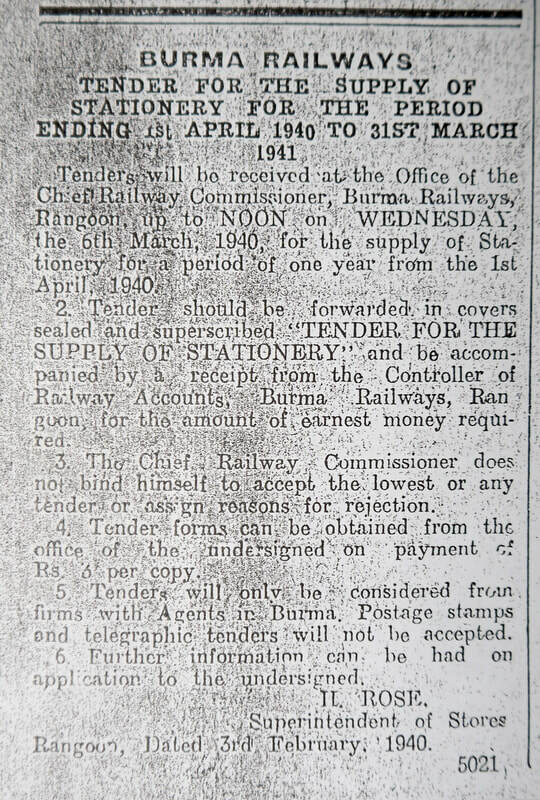 Officer, Telegraphs, Bassein, from February 1st 1940. C.M. Maurice, Deputy Myook, (on probation) who has been posed to the Pegu Divn., is posted to the Headquarters of the Hanthawaddy Dist. for training. O.H. Molloy, B.C.S., Class 1, Asst. Commissioner, is transferred from Meiktila and posted to the headquarters of the Myingyan Dist. to continue his training. O.H. Molloy, B.C.S., Class 1, Asst. Commissioner, is transferred from Myingyan and reposted to the headquarters of the Meiktila Dist. to continue his training. E.I. Bennellick, Extra Asst. Commissioner, being a Magistrate of the first class, is appointed to be an Additional Dist. Magistrate of the Tharrawaddy Dist. as a temporary measure in place of U Tun Maung, T.D.M., Extra Asst. Commissioner, transferred. C. Sutherland, Extra Asst. Commissioner, is transferred from Toungoo and posted to the headquarters of the Mergui Dist. as Headquarters Asst., in place of A.P. Rosemeyer, Extra Asst. Commissioner, transferred. A.P. Rosemeyer, Extra Asst. Commissioner, is, on relief by C. Sutherland, transferred from Mergui and posted to the headquarters of the Toungoo Dist. as Headquarters Asst. P.R.H. Molloy, B.C.S., Class 1, Asst. Commissioner, is transferred from Pyapon and posted to the charge of the Homalin Sub-divn. Upper Chindwin Dist., in place of U Tun Pe, B. Fr. S., Asst Superintendent. On relief by A. Subrahmanyam Aiyar, U Thaung Tin is appointed to officiate as a temporary measure as Registrar, Home and Judicial Dept., in place of W.C. Fuller, transferred. Leave for a total period of two years and four months, including leave on average pay for three month and fourteen days and in continuation thereof leave on half average pay for the remaining period, is granted to R. Hardie, Deputy Inspector General of Police, from Mar. 9th or the subsequent date on which he avails himself of it. T.P. Doyle, Myook, is transferred from Pyinmana, Yamethin Dist., and posted to Lashio, N. Shan States, as Treasury Officer and Headquarters Magistrate, in place of U Kyi Shwe, Myook, proceeding on leave. Capt. E.C. Simmons, A.B.R.O., is appointed to be an Asst. Commandant in the Burma Frontier Force and is posted to the S. Shan States Battalion, with headquarters at Taunggyi. Capt. G.N. Richmond, A.B.R.O., is appointed to be Asst. Commandant in the Burma Frontier Force and is posted to the N. Shan States Battalion with headquarters at Lashio. Capt. S.P. Fearon, I.A., Asst. Commandant in the Burma Frontier Force, is transferred from Taunggyi and is posted to the N. Shan States Battalion with headquarters at Lashio. On relief by Capt. S.P. Fearon, I.A., Lieut. A.G. Sandeman, I.A., Asst. 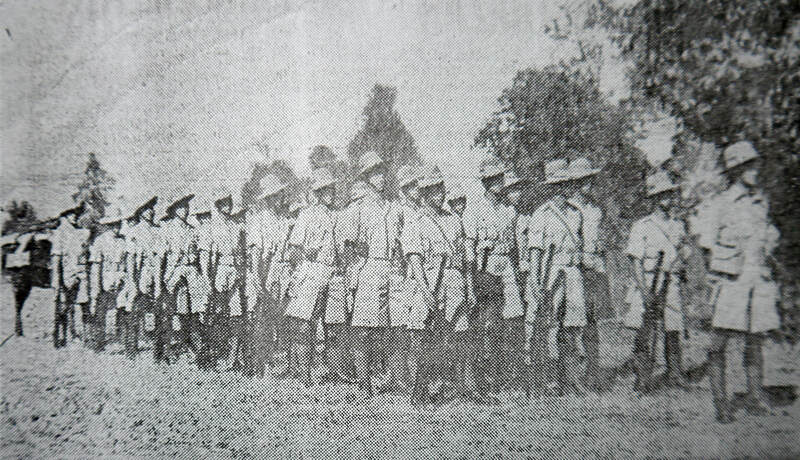 Commandant, Burma Frontier Force, is transferred from Lashio and is posted to the Reserve Battalion, with headquarters at Pyawbwe. Dr. L.N. Seth, B.A.S. Class II, is, on completion of the duties to which he was posted in the Federated Shan States, reposted as Mycologist, Burma, with headquarters at Mandalay, in place of G.C. D’Souza, officiating Burma Agricultural Service, Class II, who, on reversion to the Burma Agricultural Assistants Service, remains as Research Asst. in Mycology at the Agricultural College, Mandalay, with headquarters at Mandalay. V.W. Fenn, L.S.M.F., C.P.H., officiating Dist. Health Officer, Insein, is appointed to officiate as Dist. Health Officer, Pyapon, vice Saw Kya Zit, M.B., D.P.H., Dist. Health Officer, Pyapon, proceeding on leave, preparatory to retirement. A list of names of the guests who stayed at the Strand Hotel during the week ended Feb. 14th. The following are the conditions and results of the Rangoon Battn. B.A.F. annual weapon training competitions which were concluded at No. 1 Okkyin Range on Sunday morning. The winning team was represented by:- C.Q.M.S. E. Foster ; Sergt. D’Arachy ; S.S. I. Blake ; Cpl. G.W. Anderson ; Cpl. Russell ; L-Cpl. Le Geois. Apply to:- F.H.C. Mullerworth, President Tharrawaddy Town Committee. Staff Representative - Dr. O.N. Hillman, Ph.D. Under the patronage of His Excellency the Governor the eighteenth Rangoon Championship Dog Show scheduled for November 24th will be held at the B.A.A. grounds. ... proceeds from this Dog Show are to be donated to the Burma War Fund ... The judging will be in the hands of Miss G. Pearce, ... A short time ago Miss Pearce judged all breeds at a large show held by the Ceylon Kennel Club ... U Ba E has been elected President of the Show and the following members appointed to the Committee:- Mrs M. MacQueen ; H.F. Gourlie ; G.E. DuBern ; B.R. Peacock ; W.O. Tatton ; E.R.S. Durrad ; P. Palmerino ; J.W. O’Reilly ; S.A. Christopher ; Dr. R. Clarke Glover, M.R.C.V.S., Hony. Veterinary Surgeon ; Mrs M. Durrad, Hony. Show Secretary. The carnival dance organised by the Royal Antediluvian Order of Buffaloes in aid of the Burma War Fund ... takes place at the City Hall tonight. The R.A.O.B. are members of the Imperial Lodge 7510, which is a Grand Lodge of England. At tonight’s dance the officers of the Lodge will wear their regalia while member of the Order attending the dance will wear their jewels. Variety turns will be given during the night with several well-known local artists taking part. These include:- Miss Joan Bower, Miss Hazyl Clarke and Miss Celia Millar, Mrs Gladys Beggs, Mr Allan Clarke, Drum-Major Metcalfe, of the Glosters, Bandsman Rogers, of the Glosters, the Three Aces and members of the R.A.T.S. ... The Glosters band will supply a programme of dance music. The Rangoon Rotary Club celebrated its eleventh birthday anniversary with a dinner meeting at the Strand Hotel last night. There was a large gathering. Rotarian U Ba Lwin, President of the club, presided. ... read messages from His Excellency the Governor, who is an honorary member, Rotarian B.T. Thakur, Rotary Governor of District 88 and Rotarian H.W. 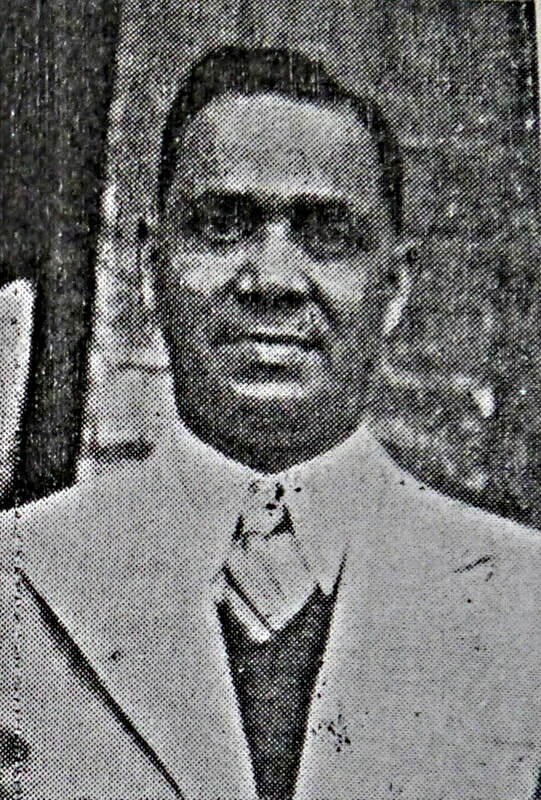 Bryant, M.B.E., Secretary of the Middle Asia Office in Bombay. Rotarian E.J. Dunkley read a message from Rotarian Mackay, President of the Chungming Rotary Club, who is in Rangoon but was unable to be present. On Rotarian Mackay’s behalf he presented Chungming Rotary Club flags to Rotarian U Ba Lwin, Rotarian Ganga Singh and Rotarian S. Chatterjee, Honorary Secretary of the club. Rotarian S. Chatterjee then read a short history of the Rotary movement since its commencement in Chicago in 1905. The movement, he said, was introduced into Burma in 1920. It flourished for some time before going into a decline, but had recovered under the Presidency of Professor D.H. Peacock and had since not looked back. Three original charter members were present – U Ba Sin, Mt W.T. McIntyre and Professor D.H. Peacock. The next speaker was Rotarian J.D.M. Francis, who spoke on “Community Service.” He touched on the past activities and undertakings of the club’s Community Service Committee and its present interest in the beggar problem in Rangoon. The committee had put forward a scheme which it hoped would solve the problem. Rotarian C.M. Alibhoy, Chairman of the club’s International Service Committee spoke on "International Service.” The last speaker was U Ba Lwin. He gave an illuminating address on “Service to Youth.” After the speeches a few educational films were shown in the dining hall. At the British Victory Club Fancy Dress Dance held at the City Hall on Tuesday night, Miss N. O’Hearn won one of the two prizes given for the best dressed lady. She wore Chinese Court dress. An inter-college debate among the students of Judson and University College was held on Wednesday, Aug. 21st in the Judson College Assembly Hall. The former moved that "College education for ladies is an economic waste," while the University day students opposed the motion. U Myo Min, Dr. Hillman and Mr P.M. Isaac, who acted as judges, gave their unanimous verdict in favour of the movers. The first of the series of debates for the Andrus Challenge Cup was held on Friday, Aug. 30th in the Assembly Hall. 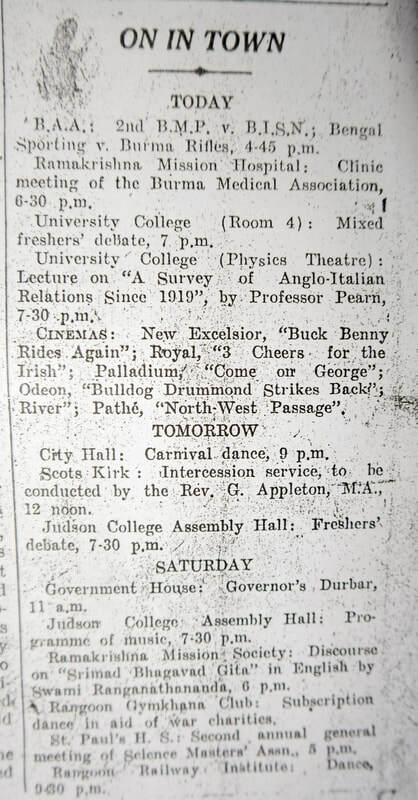 Miss Whittam, Mr Chipchase and Mr Moorthy, representing he Junior Intermediates moved that "University education in Burma is a luxury," while the Senior Intermediates represented by Miss Johns, Mr Alexander and Mr Edward L. Mya, opposed the motion. The debate was voted to be of a high standard and the judges, Principal U Hla Bu, Miss Darrow and Dr. Hillman, gave the verdict in favour of the Junior Intermediates by 2 to 1. Between two and three o’clock on Tuesday morning Lt.-Col. W.T. Sandy, Chief Ordnance Officer, Rangoon Arsenal, was disturbed from sleep by a sound in his bedroom. Getting out of bed, he switched on the light to find a Burman, armed with a stick, in the room. Taken by surprise the Burman hesitated for a moment and then attacked Lt.-Col. Sandy. A short struggle ensued in the course of which the Burman was overpowered. In the meantime servants hurried to the scene and a search revealed, in a cloth bag slung under the intruders arm, cash and jewellery to the value of Rs. 1,235 belonging to Lt.-Col. Sandy, which had been rifled from a cash box. A police patrol party from the Mingaladon Police Station going on their rounds arrived on the scene and took the Burman into custody. The arrested man gave his name as Maung Khin alias Ba Khin of Thamaing-kon village. It is stated that Maung Khin was formerly employed as a workman in a mechanical department at Mingaladon. 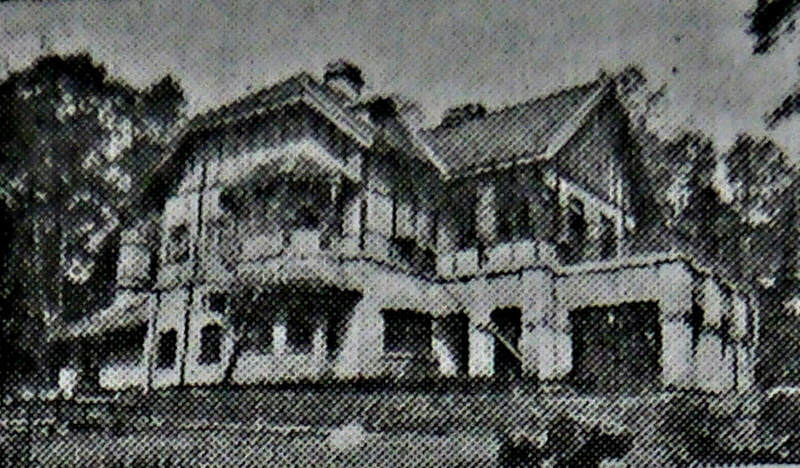 At 30 Kokine Rd., Rangoon to Nell (nee Beynon) wife of T.L. Hughes, I.C.S., (ret’d.) on September 2nd 1940, a son. To Janaki (nee Nallapa) wife of D.D. Edwards, A.B.M. 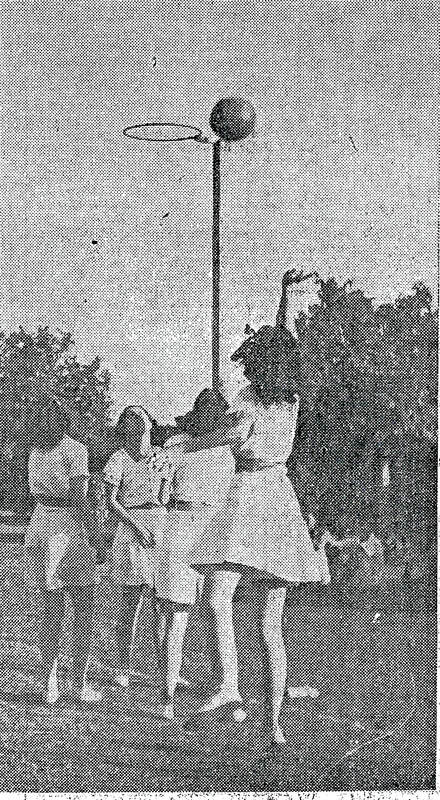 Union Hall High School, Rangoon, at “Shamrock” Maymyo on Sept. 4th 1940, a son. Both well. At St. Mary’s Cathedral, Sparks St., on Aug. 29th 1940 Harold, son of Mr & Mrs T. Robeson Byers of Sunderland, to Patricia Lilian, eldest daughter of Mr & Mrs B. Culbert of Rangoon. ABL note :- A photo of the married couple can be found below. 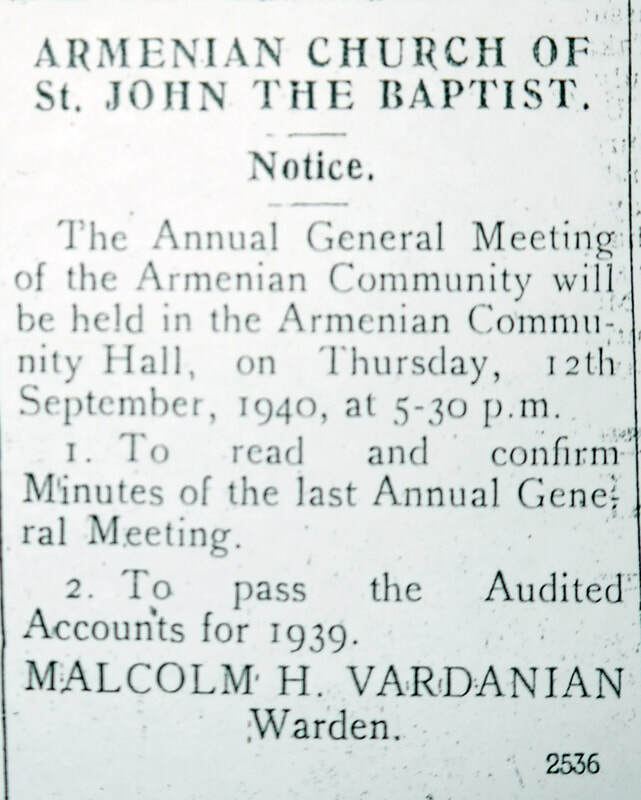 At the Methodist English Church on September 2nd 1940 by the Rev’d. Manton and the Rev’d. Mr Harwood, George McPherson to Doreen Ashworth, eldest daughter of Major G.K.A. Bartels, J.M.D. (ret’d.) and Mrs Bartel. On Tuesday September 3rd 1940 at Christ Church, Cantonment and Garrison Church of Rangoon, Harold Wilfred to Valerie Elsie. A marriage has been arranged and will take place at 3 p.m. on September 28th 1940 between Elliot Lorenz Rayfield, son of Mr and Mrs G.E. 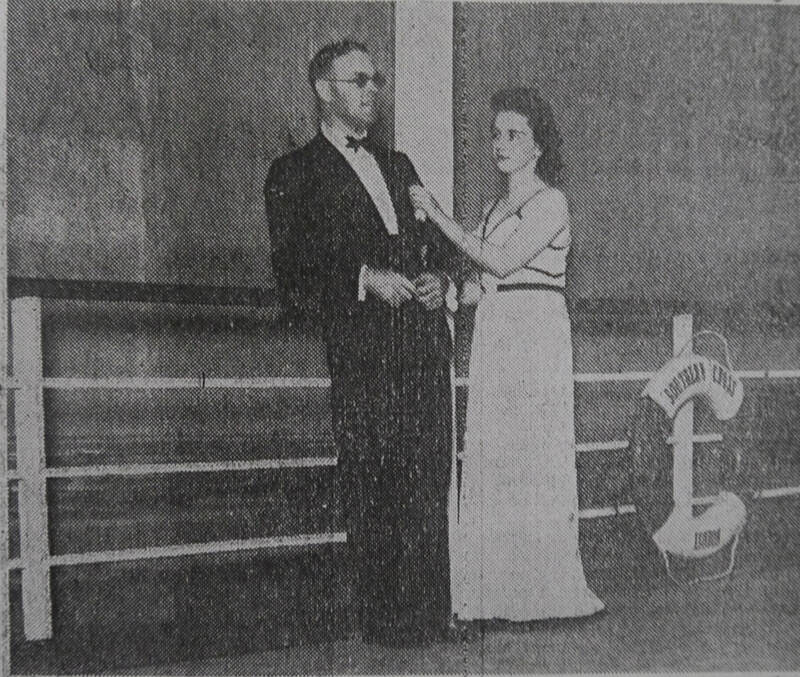 Rayfield of Thebawlaik Tin Dredging Co., Thebawlaik and Miss Phyllis Jubb, eldest daughter of Mr and Mrs B.B. Jubb of the Mergui Crown Rubber Estate, Mergui. Mr Harold Byers, son of Mr & Mrs T. Robeson Byers, of Sunderland, to Miss Patricia Lilian Culbert, eldest daughter of Mr and Mrs B. Culbert of Rangoon. 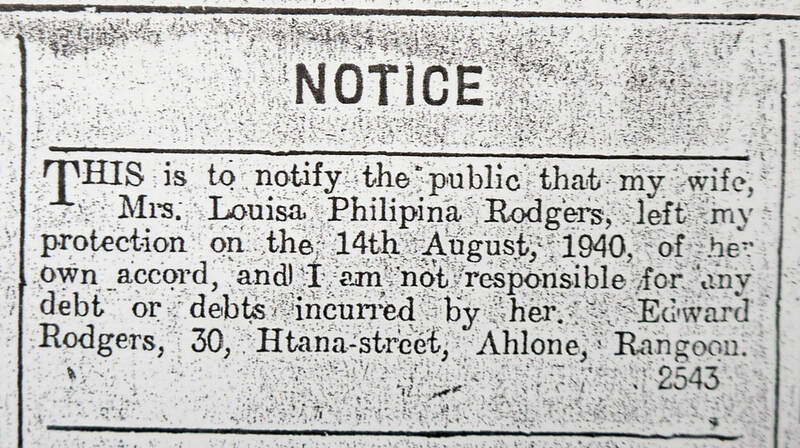 14th Aug. 1940 - Mrs Louisa Philipina Rodgers has left her husband Edward Rodgers, 30 Htana St., Ahlone, Rangoon. ​A second notice gives the surname as Rogers. Mr H.G. Sancho, the Anglo-Indian driver of the 3 Up Express which was deliberately wrecked at 1 a.m. on August 13th between Daiku and Pyuntaza and who was admitted into the Nyaunglebin hospital, died of his injuries yesterday [Sept. 1st] at 3.12 p.m. His remains were brought to Toungoo this morning and the burial took place at four o’clock this afternoon in the St. Lazarus Cemetery. The late Mr Sancho was 49 years of age and had served the Railways for 33 years. He leaves a widow and eleven children, seven of whom, including Robert, the eldest, who is a pupil of St. Paul’s, H.S., Rangoon, are in school. Sergt. K.D. Macpherson, born at Maymyo. Dr. C.G. Philip, on Wednesday September 4th 1940 at 11 p.m., after a short illness. ​Mr and Mrs LeCerf and family desire to thank their relatives, friends, members of the Congregation of the Most Holy Infant Jesus, staff and students of the Wireless Training Institute, for their condolences and kind sympathy in their recent sad bereavement and regret their inability to thank each one individually. ​Mrs A.r. Verchere thanks the Captain and Officers of the S.S. Sir Harvey Adamson and relatives and friends for their assistance and condolences during her recent sad bereavement. ​Fernandez - Edwin, who left us for his Heavenly Home on September 1st 1935, a dutiful father and a devoted husband. Johns - Love’s undying tribute to the very precious memory of my beloved wife, Grace Victoria, who departed this life at Bassein on September 6th 1926. A virtuous wife and a loving mother. Abreu - In ever loving memory of my beloved wife, Alberta Beatrice (nee Boudville) who passed away on September 5th 1938. Apply to:- G.V. Grierson, 35a Hermitage Rd., Kokine. E.L. Smith & Co. Auto Specialists, Corporation St.
Ave House, 151 Keighley St.
P.W.D. - Apply to R.S. Andrews, Executive Engr., Buildings & Roads Branch, Meiktila Divn. (B. & R.) Meiktila. Forests - Apply to H.V. Hinds, Divnl. Forest Officr, North Pegu Divn. 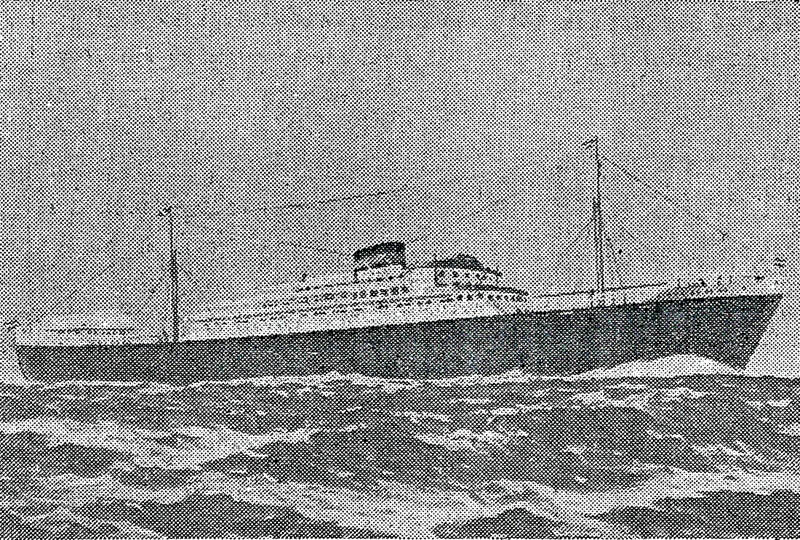 The S.S. Bolivar sank off the Arakan coast. 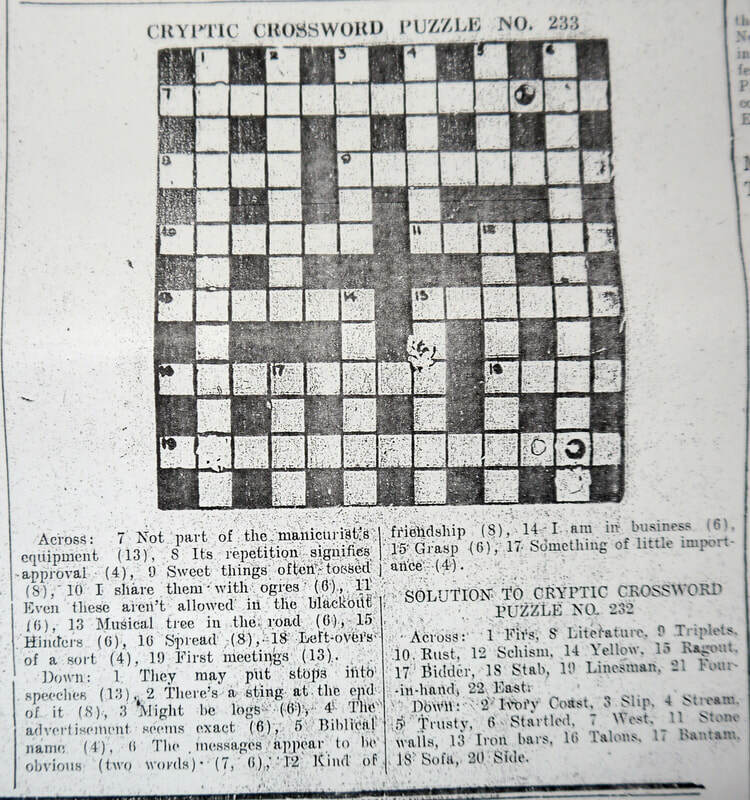 The articles, right, describes its loss and the survival of the crew. In a very brief interview given by four of the ship's Officers, Mr F. Hjillevik, the 3rd Officer, Mr S. Olsen, the Chief Engr., Mr B. Kristiansen, the 2nd Engr. and Mr Ip Wai Kun, the Chinese 3rd Engr. they relate their tale, some of which includes trekking "For thirteen hours we walked through forests and over hills." Captain Ulvik of the Bolivar arrived in Rangoon yesterday [2nd Sept.] from Bassein. An Anglo-Burman woman, Miss M. Fernando (20) who gave an address in Little Sisters Road, was yesterday admitted into the General Hospital suffering from the effects of permanganate of potassium poisoning. The prizes were distributed by Mr P.D. Patel ... Dancing was non-stop and two dance bands were in attendance – Trevor Mac’s Ambassadors and the Glosters band each of whom provided an excellent progamme of music. Yours etc. 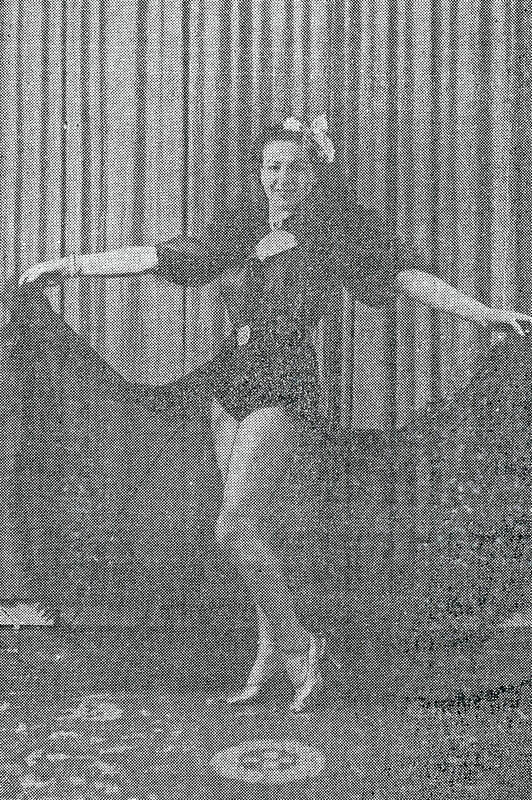 Hilma Barnard, President, Gymnastic Teachers’ Assoc. for Women in Burma. A remittance of £30,000 is today being sent to The Ministry of Aircraft Production, London. This, with five previous donations, makes a total of £132,000 sent to London. With the exception of £2,000 for the relief of suffering, this sum goes towards the cost of the Burma Squadron of Fighters. Saya Johnson Kangyi took charge of the Assembly period on Wednesday, August 28th and conducted a musical programme. 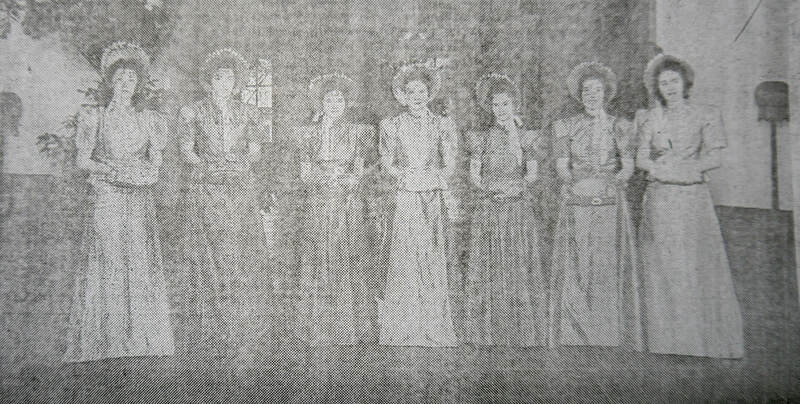 He introduced a college song composed by Mrs Crawford to commemorate the Judson College football team’s admission to the Senior League of the B.A.A. in 1925. Judson College has organised a programme of music for Saturday at 7.30 p.m. in the Judson College Assembly Hall. The soloists will be Mrs Rickard, Mr Johnson Kangyi, Miss Eileen Rorke and Miss Clarke. The violinist will be Peter Tun Aye and the pianist Mrs Rickard. Admission is public. As previously announced the bands of the 2nd Battn. The King’s Own Yorkshire Light Infantry at Maymyo are having fortnightly band performances in their gymnasium which attract a good number of the public. Under the baton of Mr J.C.J. Martin, A.R.C.M., the regimental band and the dance band alternatively provide programmes, which, since the end of June have been enjoyed by large numbers. A small collection is made which goes towards the Burma War Donation. 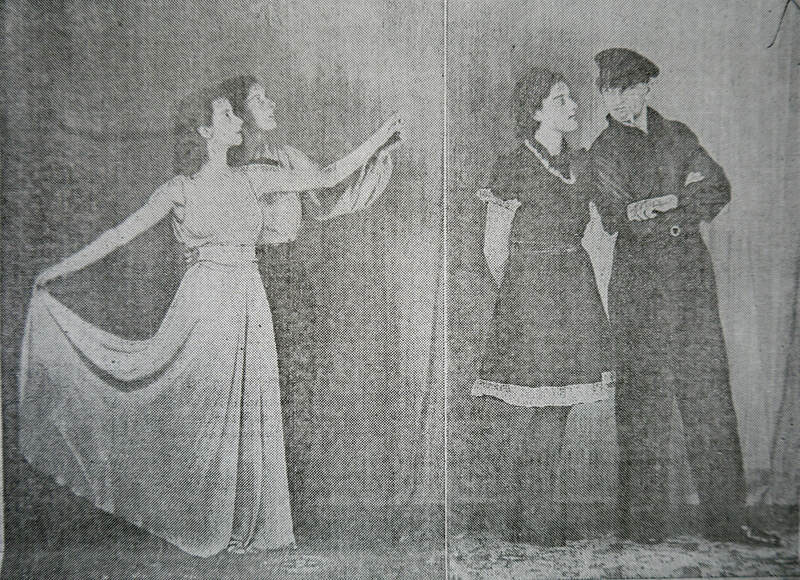 Last weekend all present were delighted with Horatio Nicholls’ “Serenade” from the “The Student Prince” (Romberg); a pianoforte solo (with orchestra) entitled “The Clock and the Dresden Prince” (Ketelbey) with bandsman H. Lee at the piano; several waltzes, foxtrots and a delightful medley dance. The next performance will be on September 12th. Schools, companies etc. and many individuals of all nationalities contributed to the fund, a list of some of their names can be found here. The Gymkhana Girls ​who will take part in tonight’s Cabaret at the Gymkhana Club. Mohammed Jan beat Maung San San on points. Wild hitting characterised this contest. S. Nott was too good for G. David and after meting out heavy punishment won on a t.k.o. in the last round. G. Andrews was too clever for P. Talbot and an uppercut during the first round cut Talbot’s lips badly and he retired. Andrews won on a t.k.o. R. Martin beat Saw Sandy on points. The contest was devoid of action and it was Martin’s forcing tactics that won him the fight. D. D’Cruz and B. Satur gave a sparkling display and Satur, whose defensive boxing was better and punching more accurate, was given the verdict on points. G. Oliver, who made a bad start having been floored in the first round rallied strongly to beat L. Hogan on points. N. D’Cruz gave a masterly exhibition of boxing and beat G. Anderson easily on points. Anderson, however, was a trier throughout. J. Mealin won on a foul in the first round against V. Vaughan, who was warned repeatedly for holding and hitting. H. Smith beat W. Avietick on points by judicious use of a straight left. 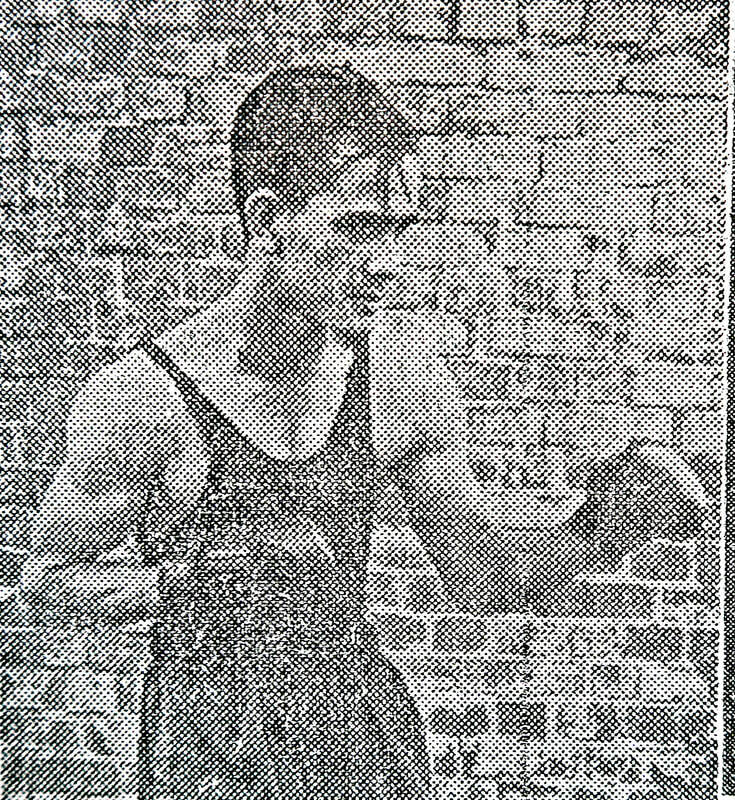 A. Everard threw one punch – a left hook to the face – and shook his opponent, Mohammed Jan, to win on a t.k.o. Mohammed Jan quit after he received the punch. Experience in the person of veteran G. Weidman paved the way to victory over S. Nott on points. Weidman, idol of a decade ago, showed his youthful opponent the finer points of the game. G. Andrews boxed cleverly to beat R. Martin on points decisively. Andrews was effective with his left leads and hooks. 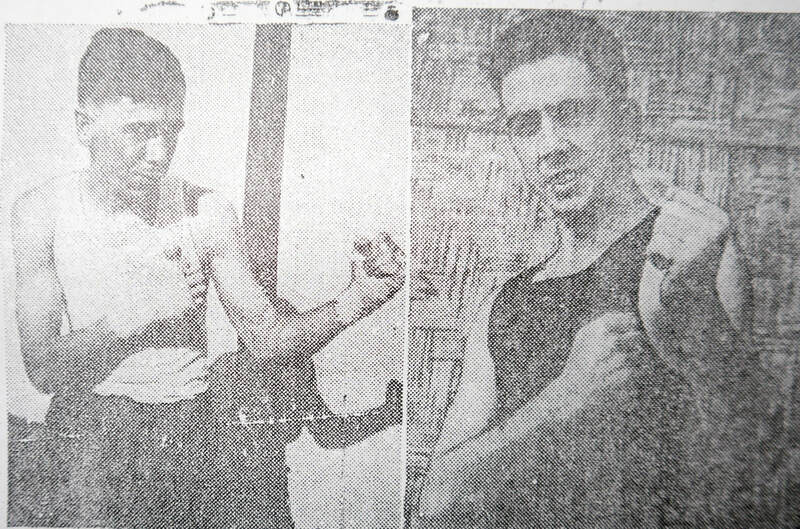 B. Satur carried too many guns for G. Oliver, who was sent to the boards repeatedly in the first round till the referee intervened and gave the fight to Satur on a t.k.o. N . D’Cruz beat J. Mealin on a t.k.o. in the 2nd round. G. David won the Best Loser’s Cup. A report on the match refereed by W. Wallace. 2nd Battn. 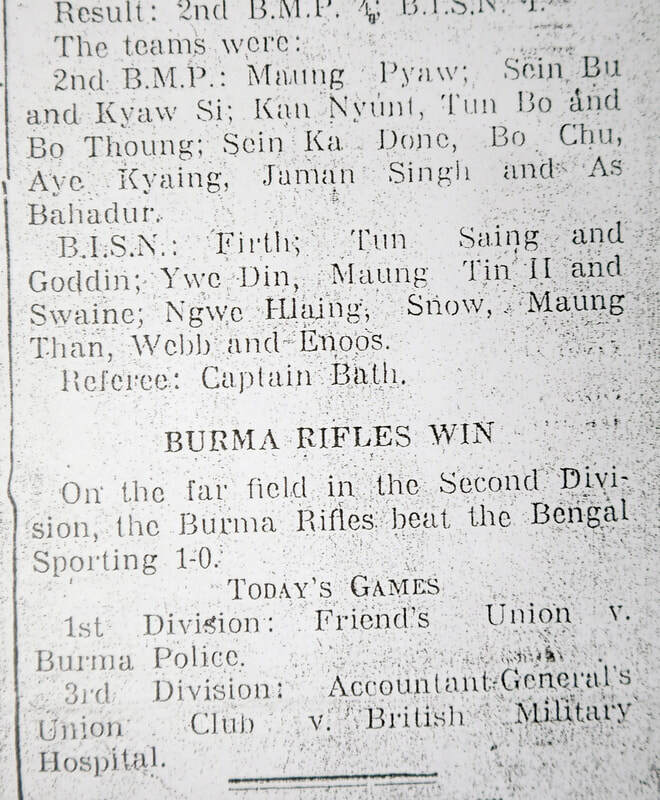 Burma Military Police v B.I.S.N. 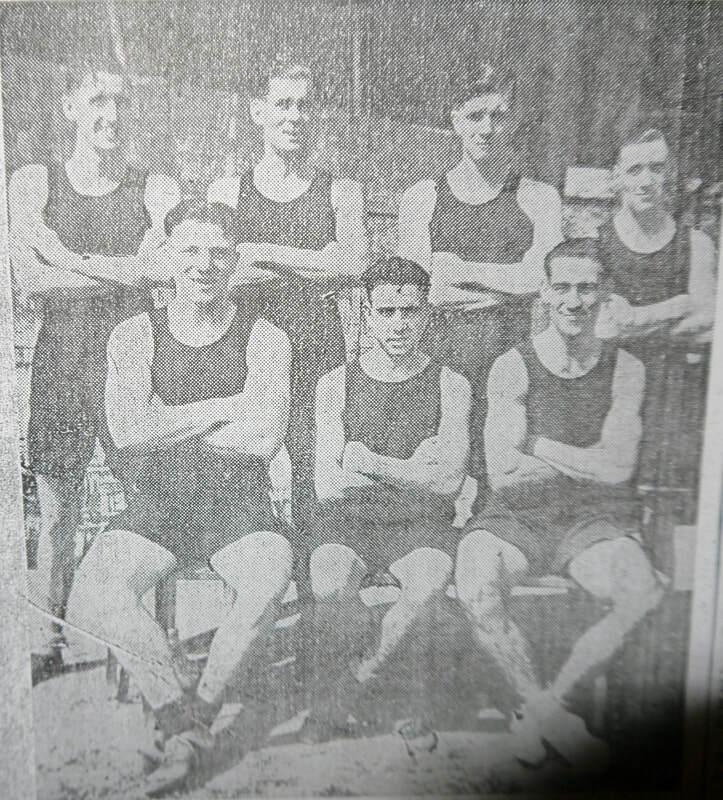 Flack ; Scott ; Glover ; Hutchison ; Archard ; Swan ; Harcourt-Cooze (sic) ; Burns ; K. Martin ; Humphreys ; L.R. Martin ; Gemmell ; MacDonald ; Clifford ; Spiers. Phillips ; Jurgenson ; Dickie ; Carey ; Coopey ; Dillon ; Young ; Lincoln ; Loxton ; Machlachlan (sic) ; Middleton-West ; Watkins ; Sims ; Andrews ; Barnard. C. Sutherland, Extra Asst. Commissioner, is transferred from Mergui and is posted to the headquarters of the Meiktila Dist. as Headquarters Asst. R.S. Rennis, B.C.S. Class I, Asst. Commissioner, is transferred from Maymyo and is posted to the charge of the Toungoo Sub-divn., Toungoo Dist. Leave for sixteen months including leave on full allowances for eight days and in continuation thereof, leave on half allowances for the remaining period, is granted to the Hon. Mr Justice H.H. Mackney, I.C.S., Judge, High Court of Judicature at Rangoon, from November 3rd. Leave on full allowances for two days is granted to the Hon. 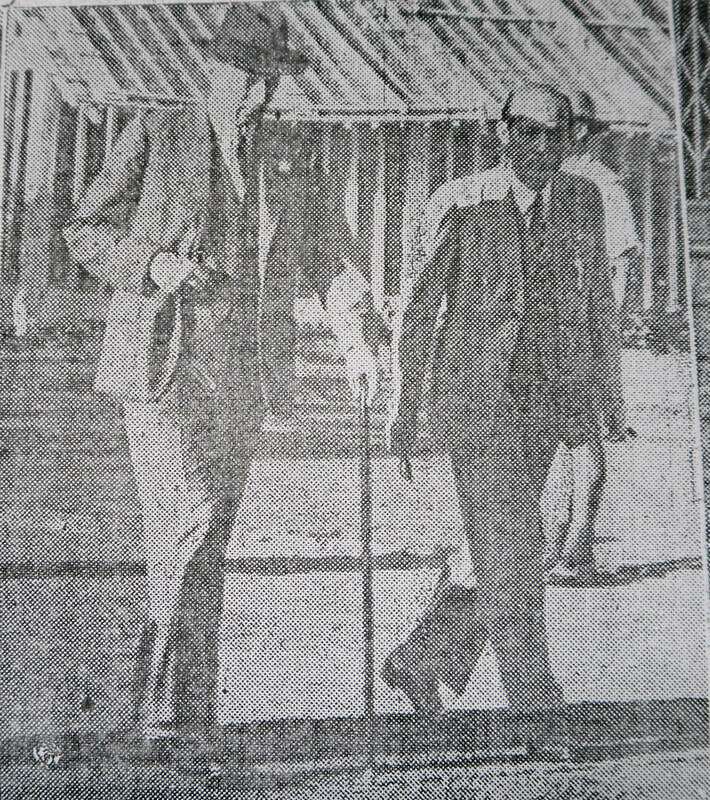 Sir Ernest Goodman Roberts, Kt., Bar-at-law, Chief Justice, High Court of Judicature at Rangoon, from November 4th. Second Lieut. N. Mitchell, A.B.R.O., is appointed to be an Asst. Commandant of the Burma Military Police and is posted to the Mandalay Battalion, with headquarters at Mandalay. Army in Burma Reserve of Officers - Capt. Robert Watson. Dated Aug. 1st with permission to retain the rank of Captain. The Burma Auxiliary Force - The Upper Burma Battalion: Lieut. Douglas Walker Lennie. Dated June 11th. The Burma Auxiliary Force – The Anti-Aircraft Machine Gun Battery, R.A.: To be Second Lieut. : Ryder Lawrence McMullen.. Dated Aug. 1st. 4th Battn. The Burma Rifles – To be Jemadar (on probation) Havildar Agu Di. Dated July 1st. Army in Burma Reserve of Officers - Capt. 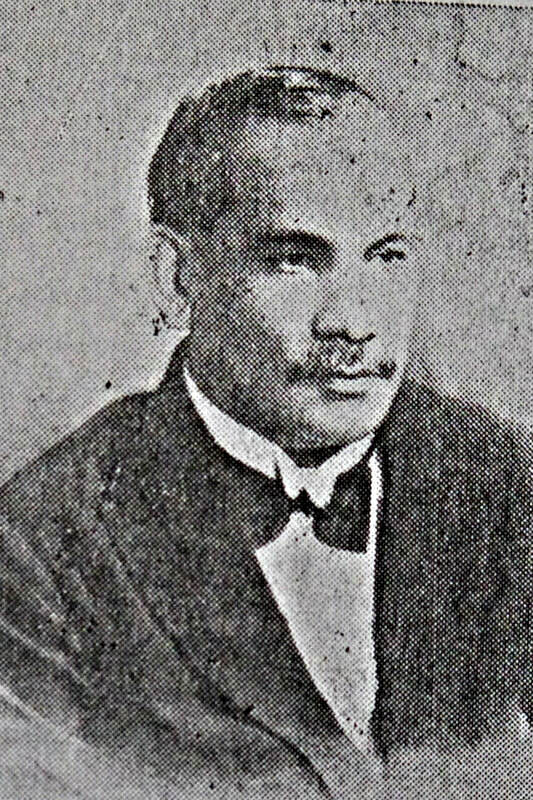 Maung Aye. Dated Aug. 27th. U Tun Pe, Myook is posted to Lashio, N. Shan States as Treasury Officer and Headquarters Magistrate in place of T.P. Doyle, Myook, proceeding on leave. C.W. North, Burma Frontier Service (on probation) is, on return from leave, posted to the charge of the Pyawbwe Township, Yamethin District. Leave for a total period of six months including leave on average pay for four months and in continuation thereof leave on private affairs on half average pay for two months, is granted to Mr G.S. Smith, Inspector of Boilers, (Senior Grade) from Sept. 10th or any subsequent date on which he may avail himself of it. 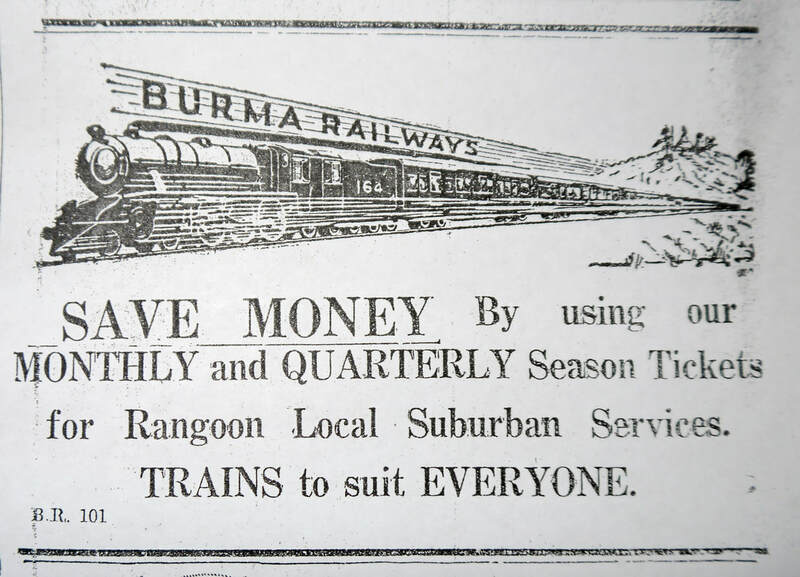 The leave will be spent out of Burma, India, Ceylon and Nepal. The under mentioned Extra Asst. 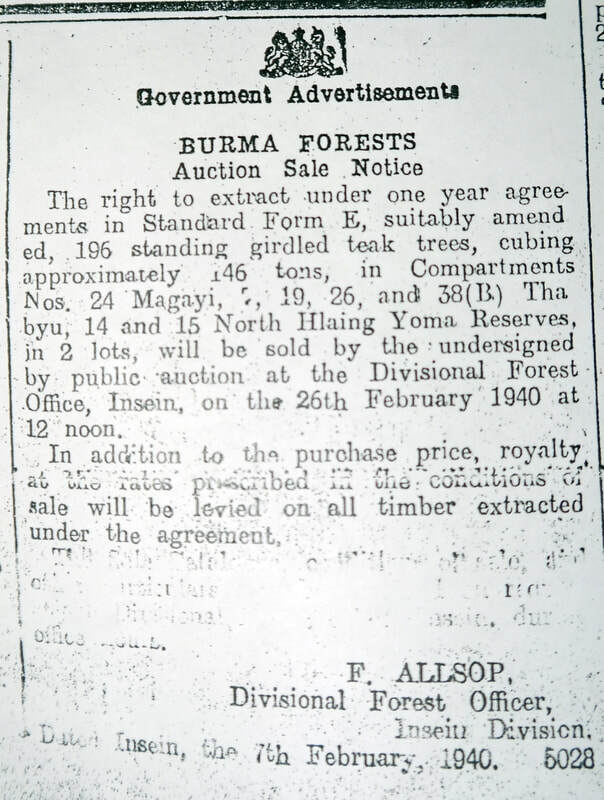 Conservators of Forests, are appointed to officiate in the selected posts in the Burma Forest Service, Class II, on the rates of pay shown against their names from April 11th 1940. G.J. Caldecourt, Rs. 1000 p.m. U Han, Rs. 900. J.W. Bickers was, on return from leave, reposted as Asst. Aerodrome Officer, Rangoon Airport, Mingaladon. U Ba Oo alias Mr F.J. Grimbers, Asst. Engineer (on probation) attached to the Prome Division, is transferred and posted to the charge of the Minbu Sub-divn., Magwe Divn. vice J.N. Martin Asst. Engr., transferred. Leave on average pay for four months is granted to T.P. Doyle, Myook, from Sept. 15th or subsequent date of relief. A. Samuel, L.M.P., Sub-Asst. Surgeon, Civil Hospital, Shwebo, is granted two months’ leave on average pay from the date on which he is relieved of his duties. On return from leave, Mr B. Dovedy, L.M.P., Sub-Asst. Surgeon, is posted to the Frontier Force Hospital, Loilem, S. Shan States, vice Mr Kishori Lal, L.M.P., Sub-Asst. Surgeon, proceeding on leave. T.P. Adam, L.M.P., Sub-Asst. Surgeon, on proceeding on eleven days leave on average pay on medical cert. relinquished charge of the Rangoon General Hospital on July 6th. G.E. Lashley, Asst. Jailor, is, on return from leave, posted to the Insein Central Jail for duty. ​Burma has her own naval force today and is proud of it. But it should not be thought that this is her first venture in combatant seamanship. Also, it is to be hoped, it will not be her last and that the keel laid down in time of war will be the foundation of a naval force for immediate defence and afterwards in time of peace. Burma has a coastline of about 1200 miles and it is on record that from the earliest times the maritime provinces, such as Arakan, Pegu and Tenasserim, produced many a stalwart seaman who braved the dangers of the deep for the purpose of trade and when the occasion demanded pursued the conquests of neighbouring countries or defended the attacks of invaders. Besides Burma being a land of many rivers, the Burmans, as many foreigners have observed are amphibians and are as much at home on water as on land. Indeed in her old days under the Burmese regime every riverine town and port of note was obliged to furnish a certain number of men and a number of boats or ships in proportion to the magnitude of the place. In the riverine towns the King could command, at very short notice, no fewer than 500 of these vessels, mounted with a six, a nine or even a twelve pounder. Besides the rowers, each armed with a sword and a lance, there were on board a detachment of thirty soldiers each armed with a musket. With the advent of the British and the coastline well guarded there was no ned for the Burmans to take part in the naval defence of the country. With the separation of Burma from India and indeed before it the Burmans have agitated for a separate Burmese navy and teh foundation for such a navy has now been well and truly laid by the establishment of tje Nurm R.N.V.R. The duty of the B.R.N.V.R. is to ensure that merchant shipping trading to and from Burma ports can do so in safety and therefore maintain the export and import trade of the country. Two of the most likely dangers which might arise are the laying of mines in the approaches to the port and the attacking of ships by hostile submarines and protection against these two dangers is the most important function of the Burma Naval Force. Mines are like very large bombs and they explode if hit by a ship. They are connected by a wire on the bottom of the sea and the length of the wire is so arranged that the mines are always a few feet under the surface of the water and are therefore invisible. If for instance there were no naval ships in Burma and an enemy laid mines in the approaches to the Rangoon river, the first indication of the presence of mines that we should hear would be the blowing up of a ship entering or leaving the river. So that this should not happen it is necessary to have what are called mine-sweepers searching the approaches to the river every day to see whether mines are there or not and the Burma Government is building ships for this purpose now. They are fitted with special apparatus which, if mines are found, will cut the wire rope connecting the mine to the heave weight on the bottom of the sea. It can then be sunk or exploded by rifle or machine-gun fire. If there were no mine-sweepers to remove the mines the port of Rangoon could not be used and no rice or teak or any other exports could leave Burma and all trade would be at a standstill and great poverty and distress would result throughout the country. The ship[s] that are being built will be able to attack any hostile submarines approaching the coast of Burma. They will do this with “depth charges” which are ... It is therefore necessary that the Burma Naval Force should be composed of clever men because they have a lot to learn, and strong and healthy men, because they have to work with their bodies, and brave men, because they will have to fight in defence of their country, and tenacious men, because they will have to endure hardship and discomfort. There are plenty of men like these in Burma who are ready to protect their wives and families against starvation and poverty and to defend the country that they love. It is hoped that they will take full advantage of the opportunity now offered to them. An important advance towards giving the Army in Burma a degree of mobility in accordance with modern requirements has recently been commenced. The initial stages of the formation of No. 1 Mechanical Transport Section of the Burma Army Service Corps have now been completed under the command of Major R.I. Shaw, 4th Battn. The Burma Rifles. 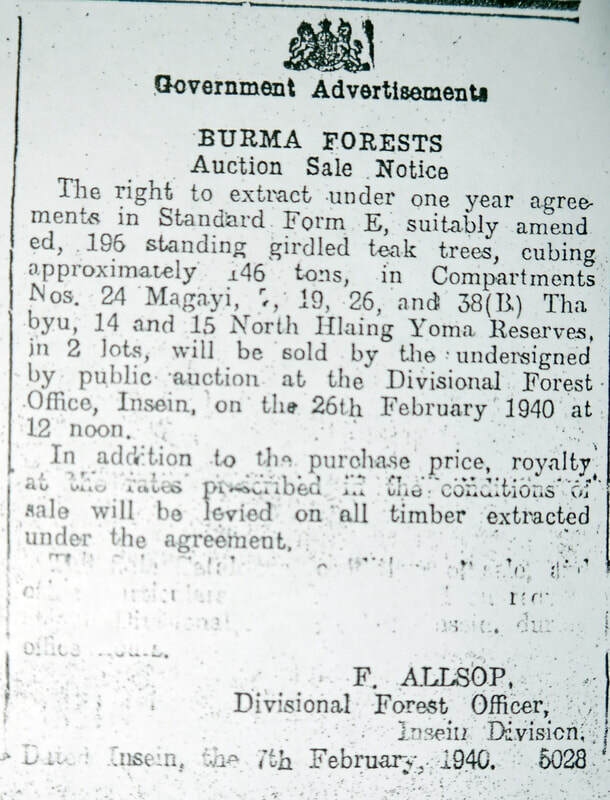 Apart from their Commanding Officer, who has served for the past seven years with the Burma Rifles, and one British Warrant Officer, the Unit is manned exclusively by Burmese and Karens. Their response to the call for recruits was prompt. The Unit was raised as recently as July 16th and is already fully recruited to its establishment of eighty, made up of a Burmese Subedar and Burman Warrant Officers, N.C.O’s, Drivers and Artificers. 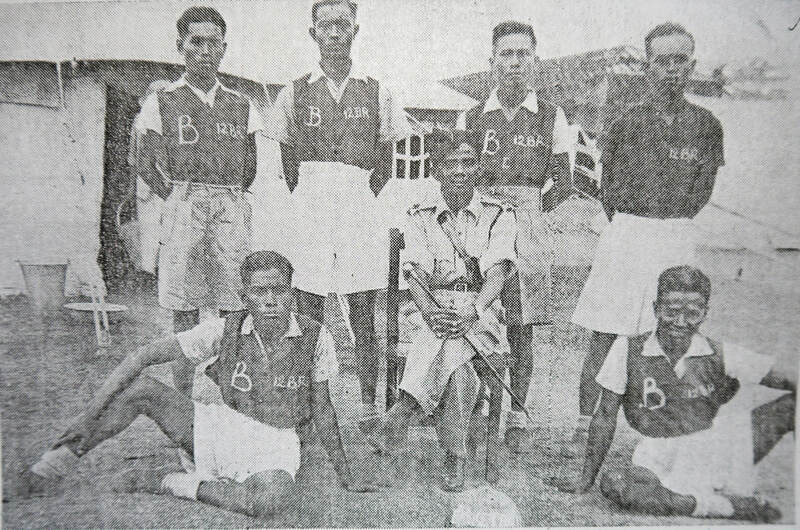 Apart from Subedar Bo Ba Tha, of Rangoon University, who was transferred from the Mandalay Battn., Burma Military Police and selected Warrant and Non-Commissioned Officers of the Burma Rifles, the Burma Military Police and the Burma Army Service Corps the remainder of the N.C.O.’s and recruits have no previous military service The majority however already hold driving licences while some of the N.C.O.’s were enlisted from among experienced employees of Rangoon motor firms. Although it would be possible so far as driving ability is concerned to put a percentage of the Mechanical Transport Section on the road tomorrow, it is not anticipated that the Unit will have completed the military part of its training for some little time to come. At the moment the recruits are fitting themselves for their essentially military duties and are making good progress towards efficiency. In the meantime Major Shaw together with the Subedar, Warrant Officers and Non-Commissioned Officers will visit India to again experience in their practical working of Mechanical Transport Companies. On their return the training of the recruits in their mechanical duties will be taken in hand. 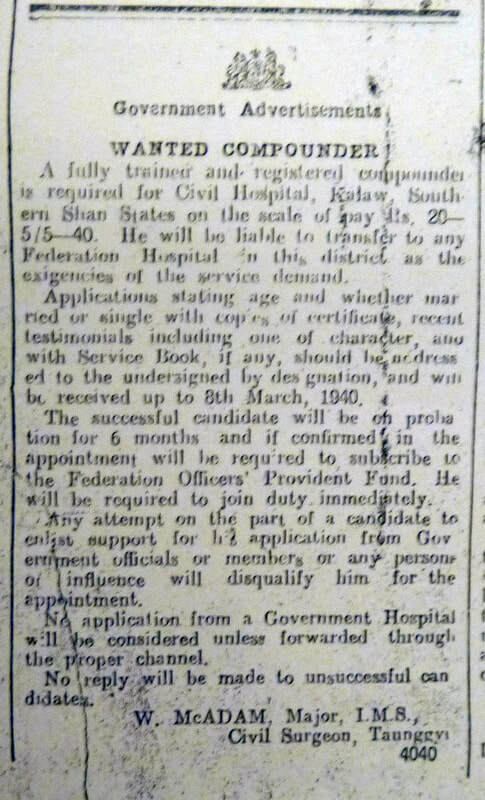 It is also proposed to train a number of Mechanical Transport Reservists and a considerable number of names of men for whom no vacancies at present exist have already been registered. 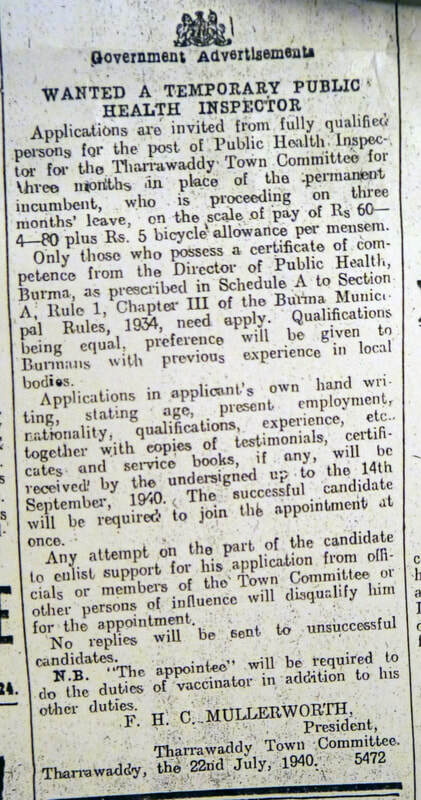 All those (Burmese and Karens) who are interested in this kind of service should apply in writing, stating age, address and qualifications, to the Officer Commanding No. 1 Mechanical Transport Section, B.A.S.C., Sule Barracks, Rangoon. Here are some details of qualifications and terms of service: Recruits as Combatants (M.T. Drivers) must be of good character and Burman in the broad sense. He must conform to the same medical and physical standards as for the Burma Rifles, except that the maximum age limit is thirty. Preference will be given to applicants in possession of driving experience. Non Combatants: Artificers (fitters etc.) will be enrolled without regard to the physical standards of combatants, but they must be medically fit in all respects and able bodied men and normally men of over 41 years of age will not be accepted. Enrolment will be for the duration of the present war and for twelve months thereafter, if so long required. This service will count towards pension in the case of any men subsequently retained on a regular peace establishment. Pay and Allowances - ... Messing is free ... Lighting is free ... All other conditions of service are similar to those of the Burma Rifles. .. At present the Unit will be raised and will start training operations at the Mingaladon aerodrome on October 1st. In the meantime applications for commissions and for enrolments are invited so that medical examinations and the selection of suitable personnel may be carried out during the current month. 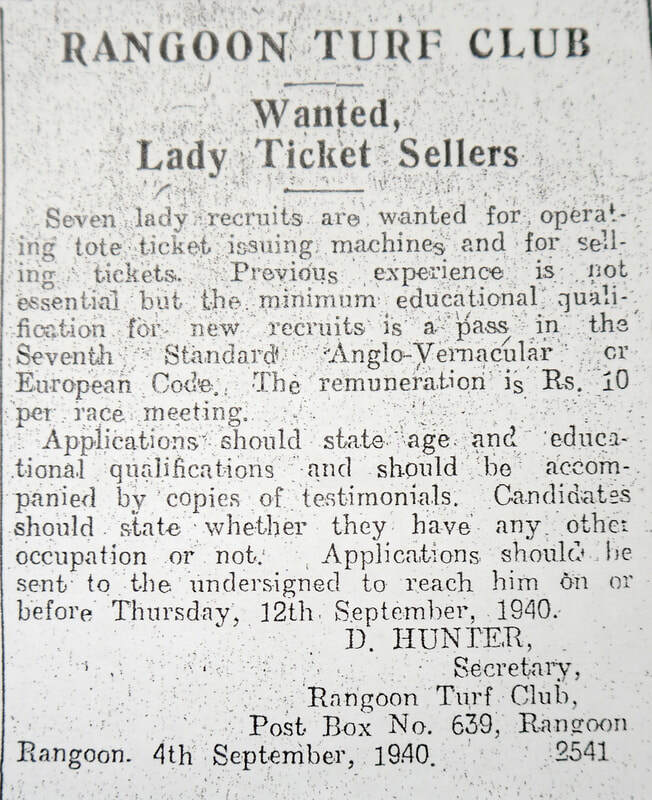 Application form may be obtained ... sent to the R.A.F., Liaison Officer, care of the Defence Department, Rangoon. 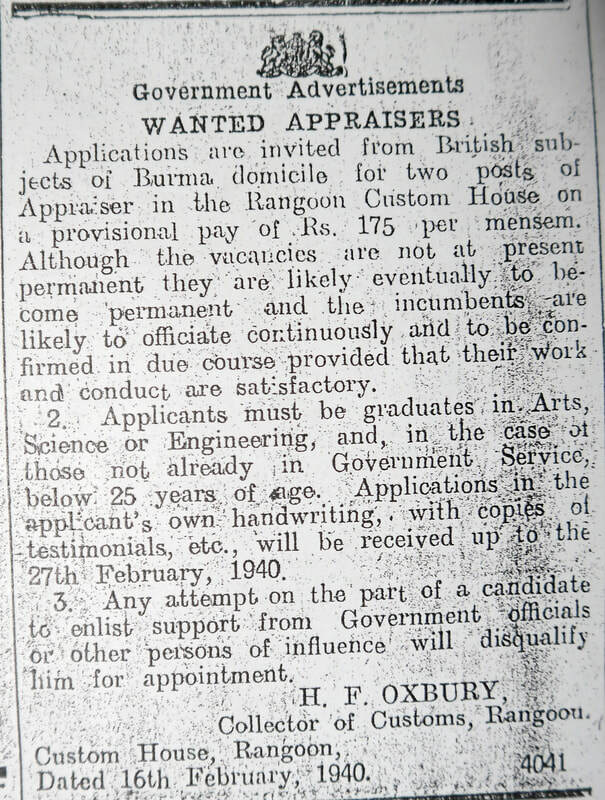 It is stressed that all British subjects resident in Burma and otherwise suitable are eligible. On first joining the unit both Officers and Airmen, with the exception of certain selected officers with previous experience, will be required to undergo a course of elementary training lasting approximately four months. This training will be on a full-time basis. After they have completed this elementary training officers and airmen may revert to service on a part-time basis but it is hoped that with the arrival of service equipment it will be possible for the unit to continue on a full-time basis for the duration of the war.